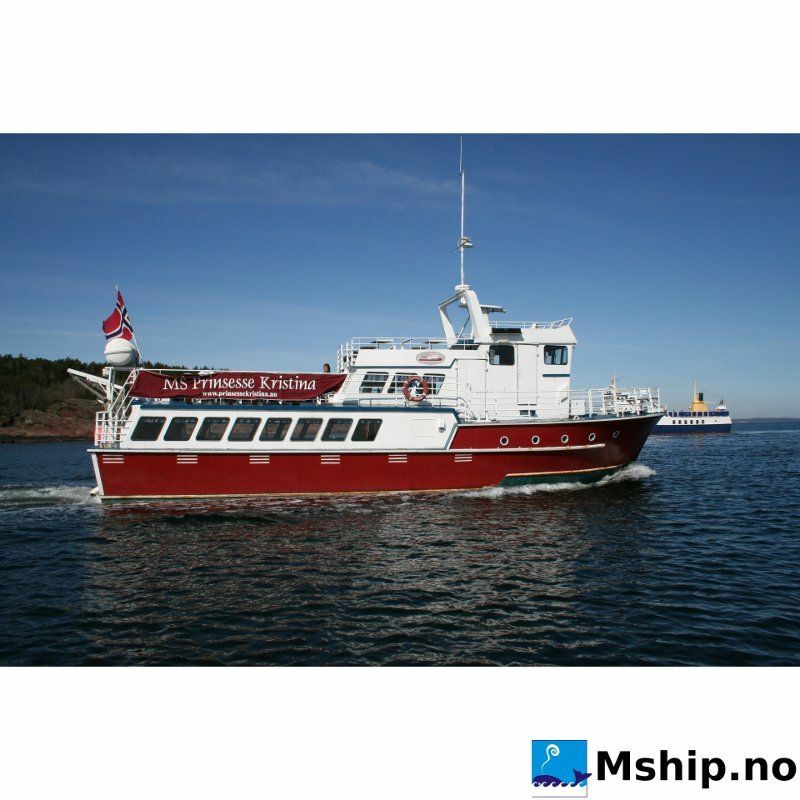 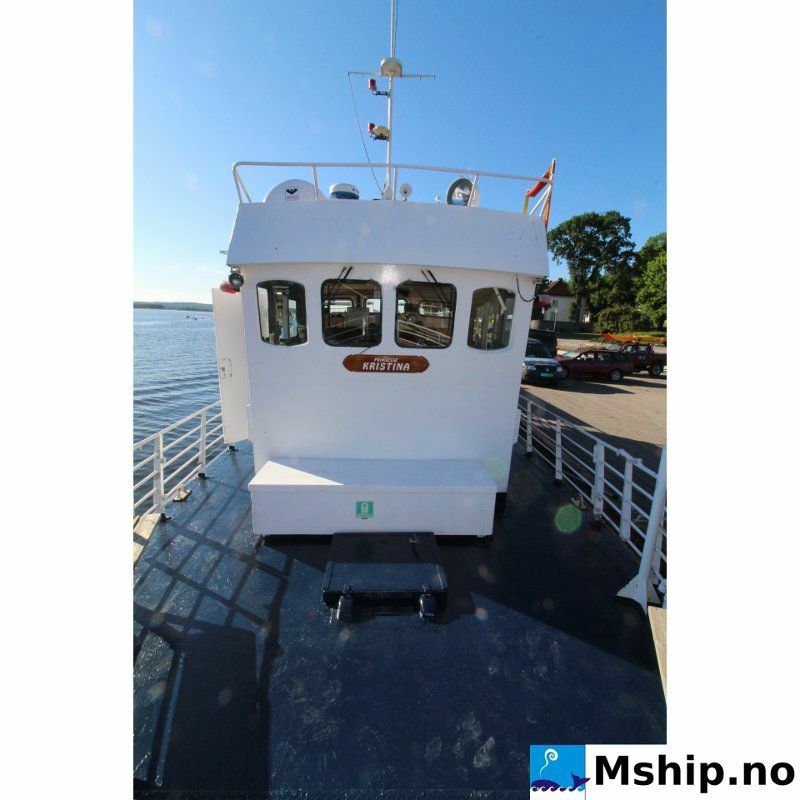 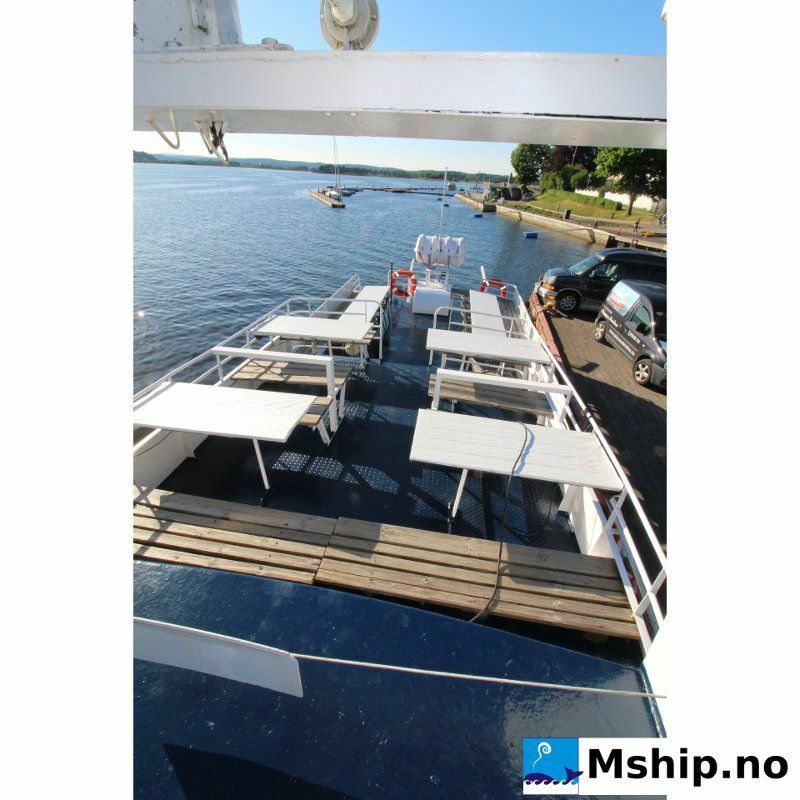 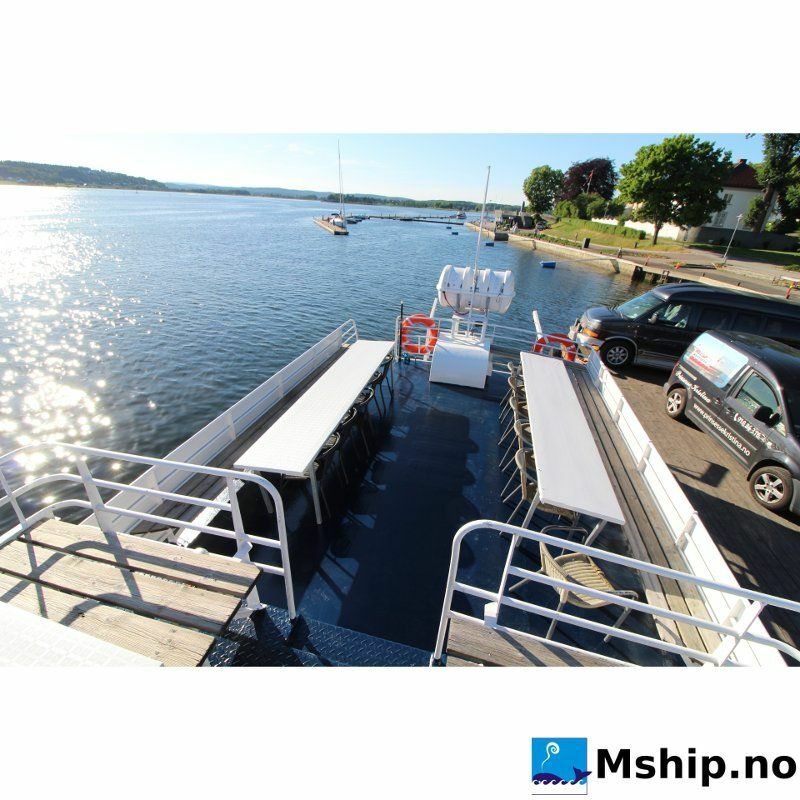 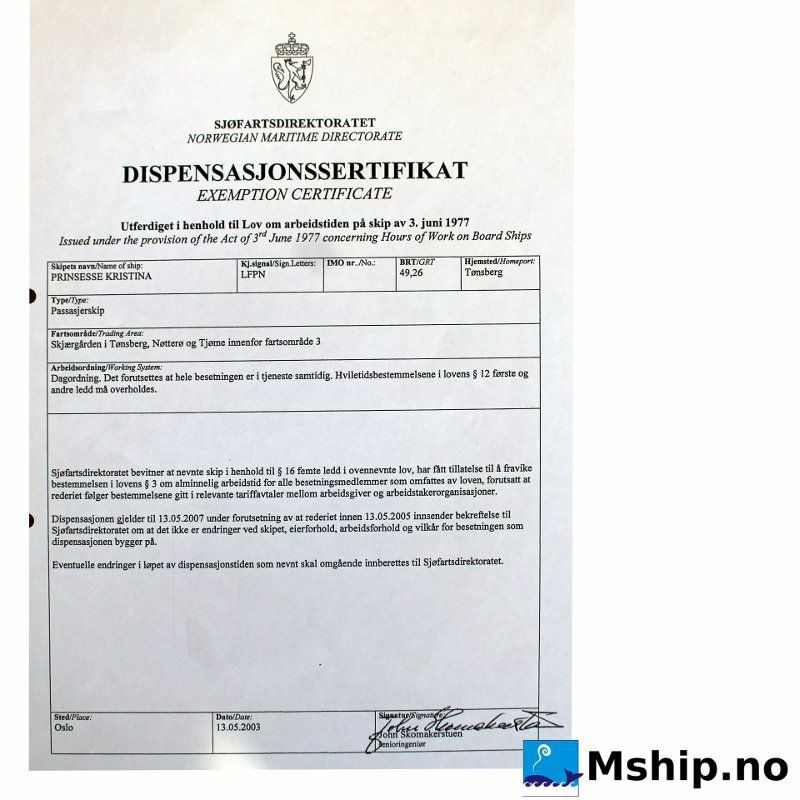 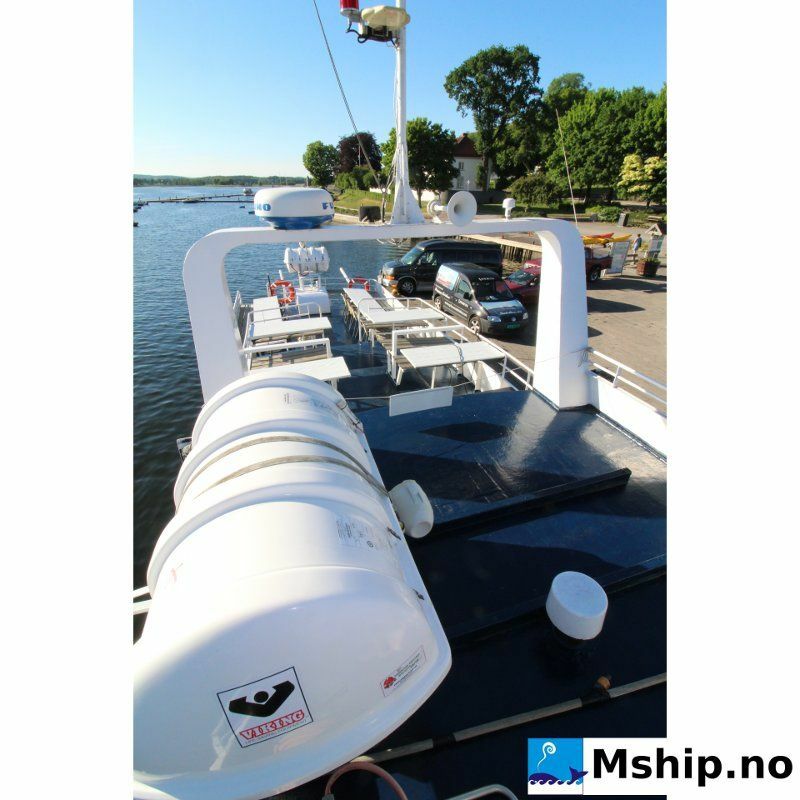 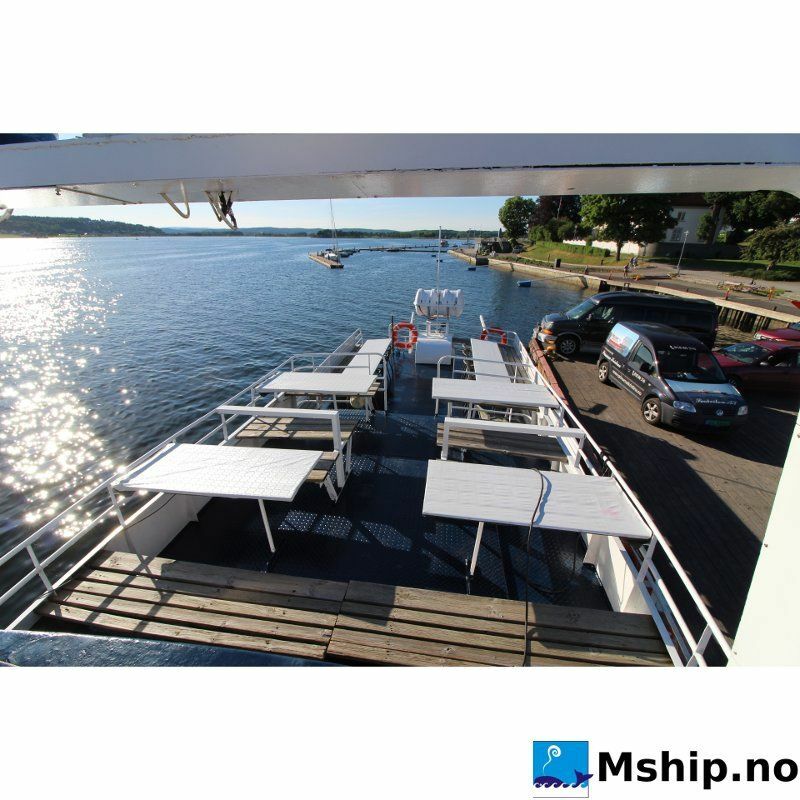 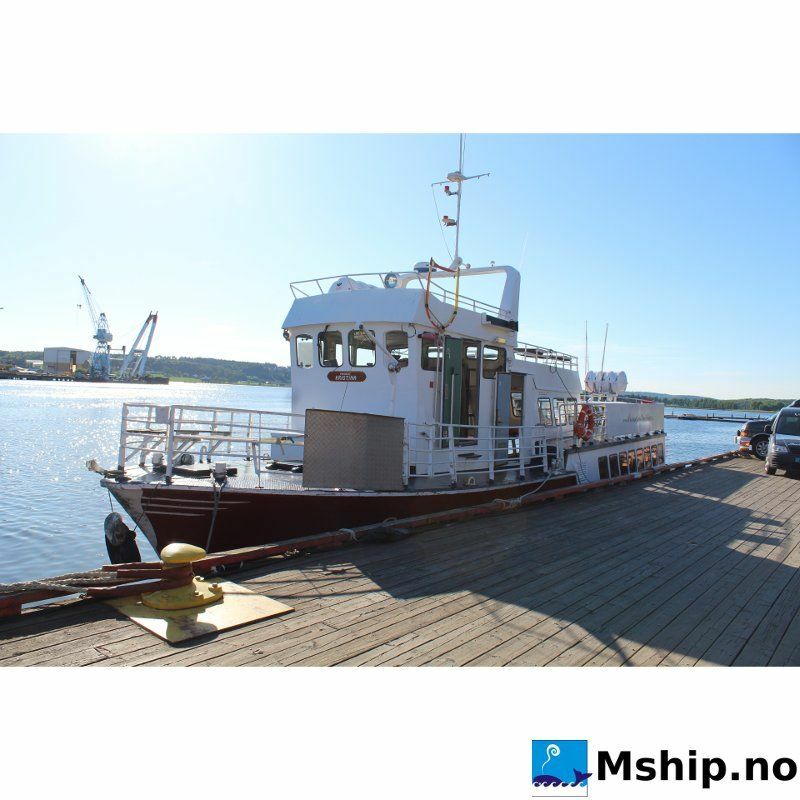 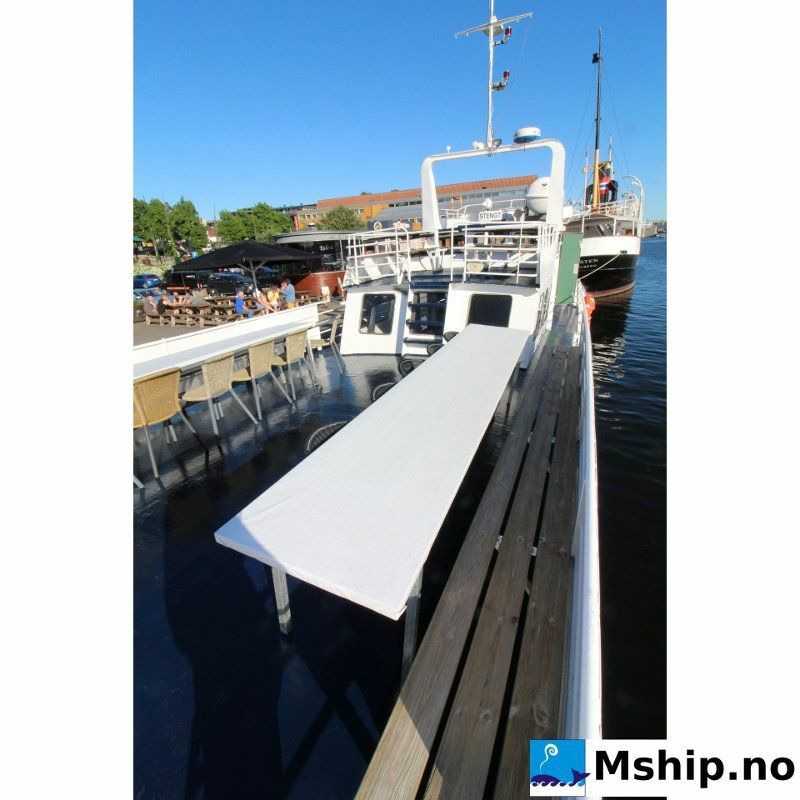 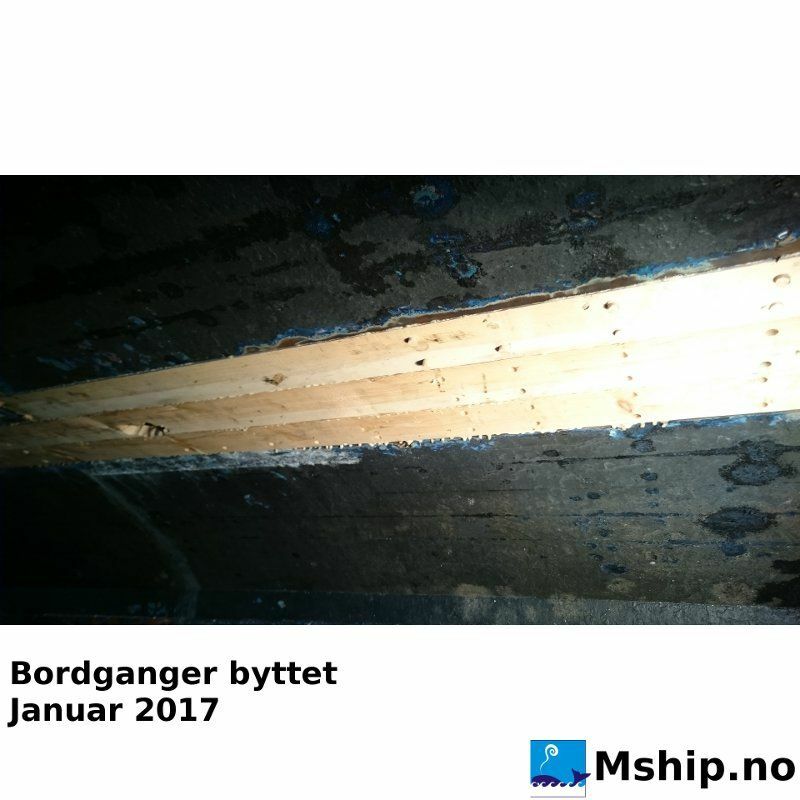 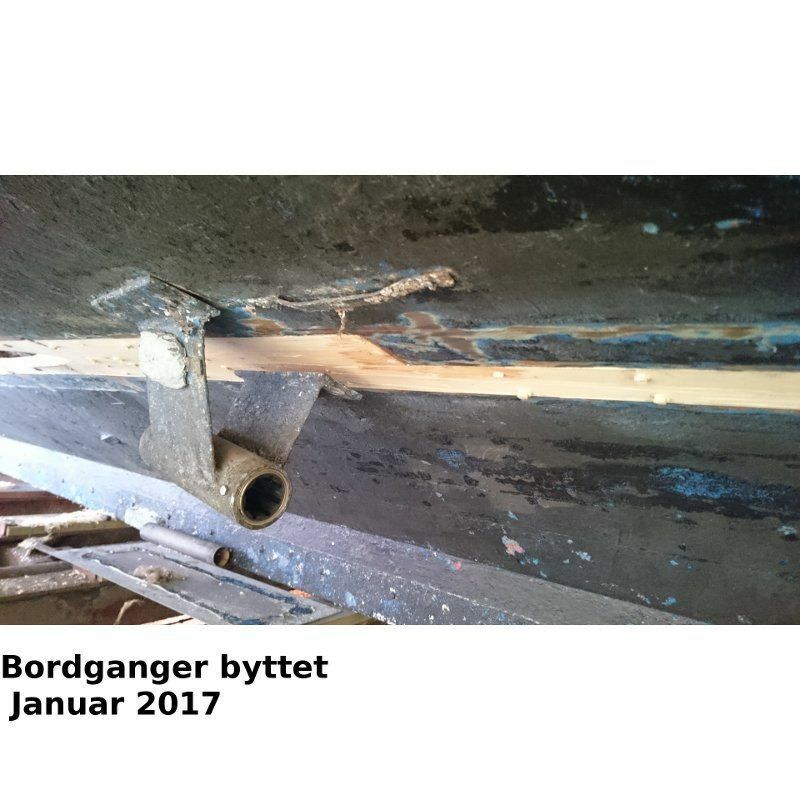 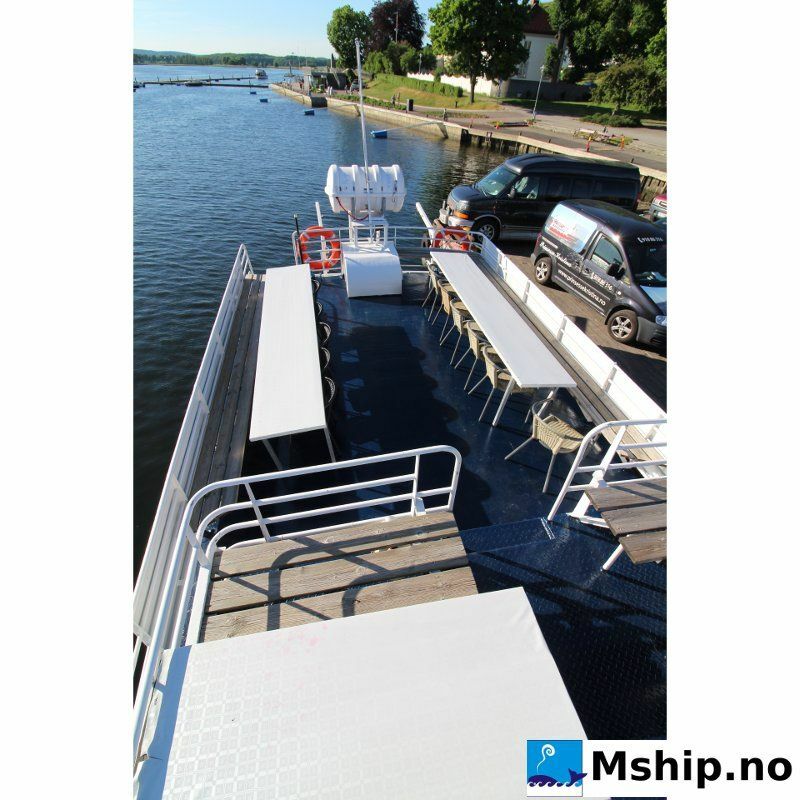 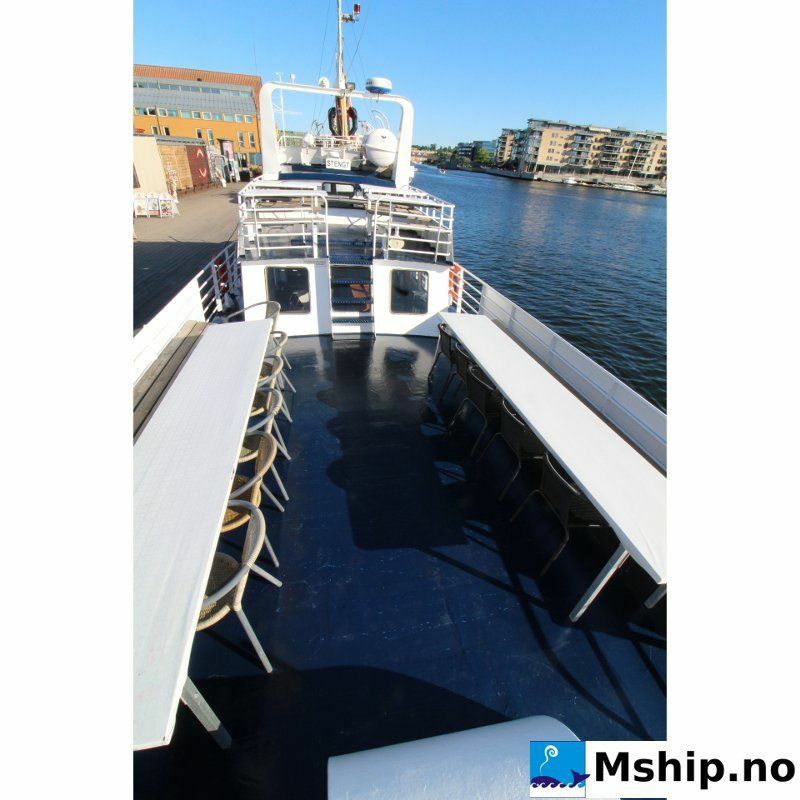 Nice 58 feet fjordcharter ferry with seating for 48 passengers on open deck and 50 passengers in total. 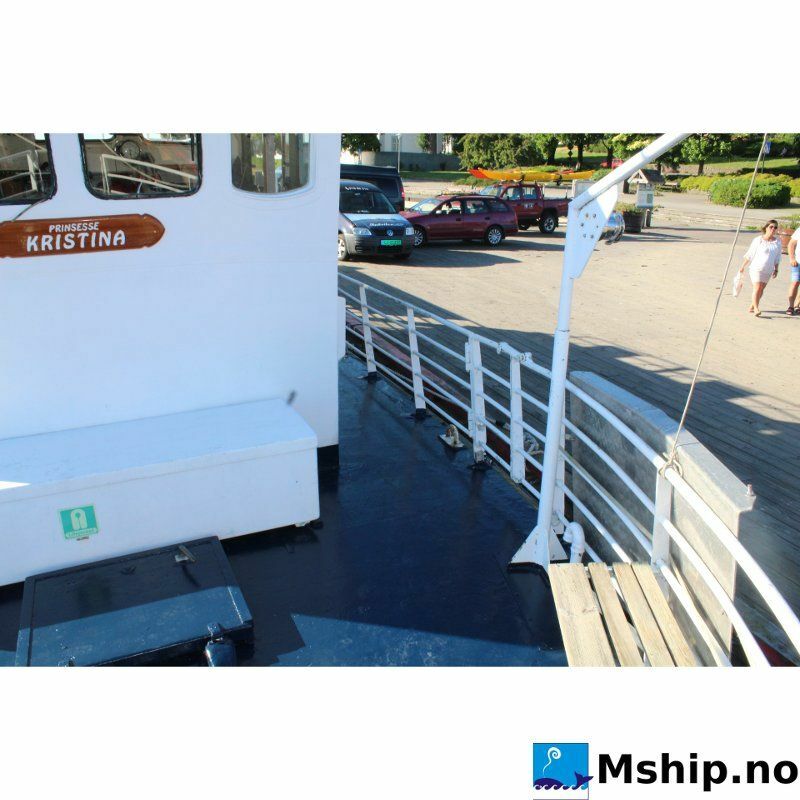 MS Princesse Kristina have total capacity for up to 65 passengers in total whereas maximum 48 passengers can be seated at the top outdoor sun deck at any time. 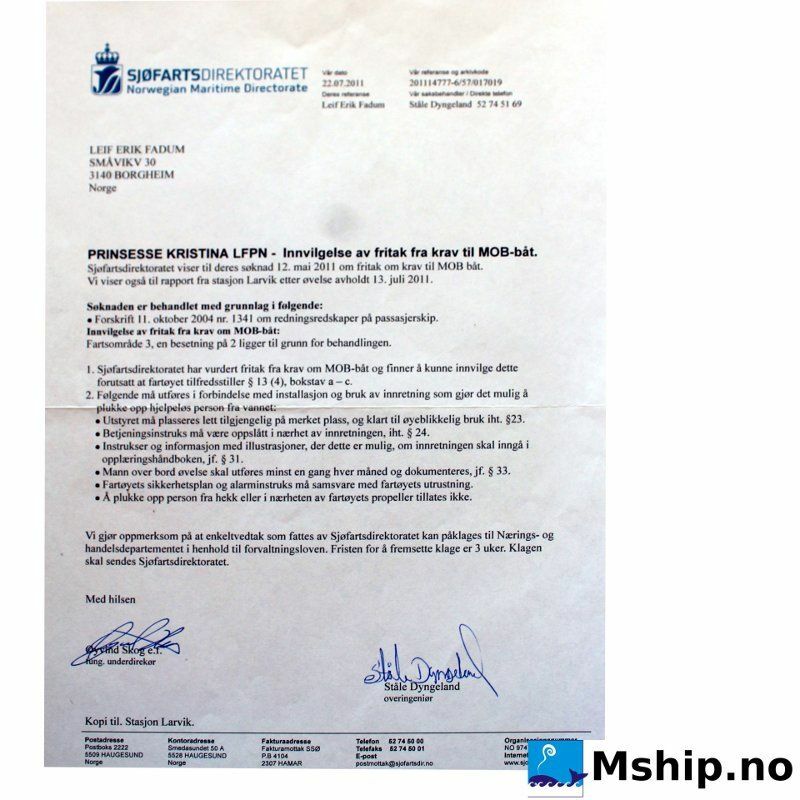 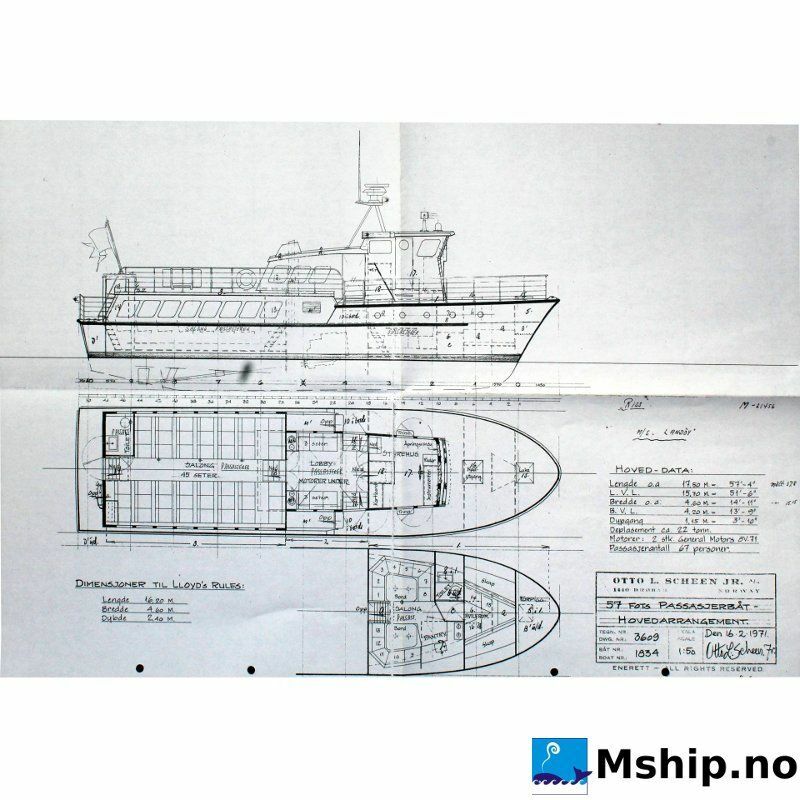 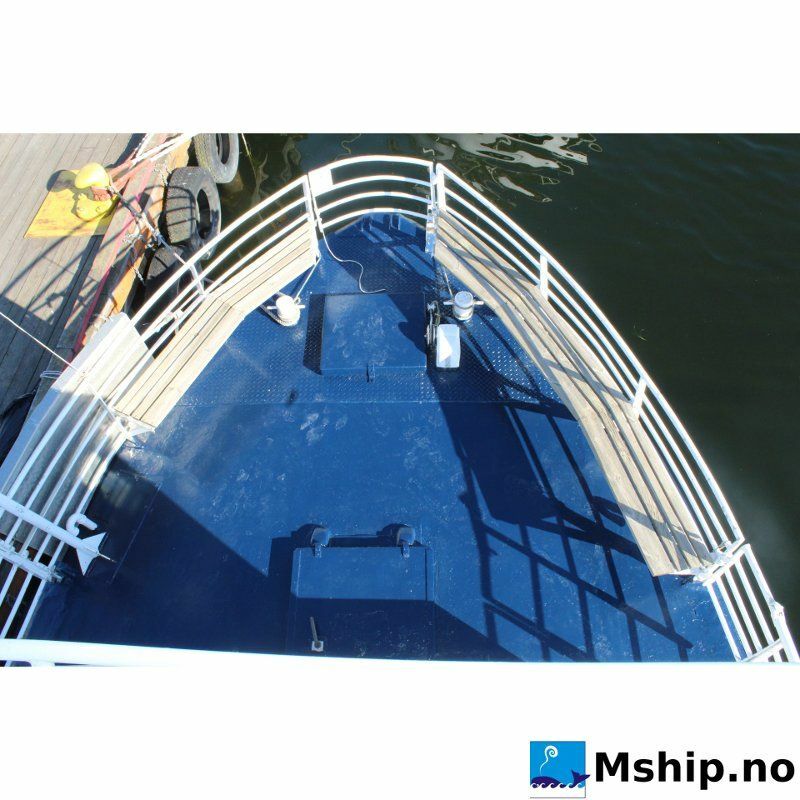 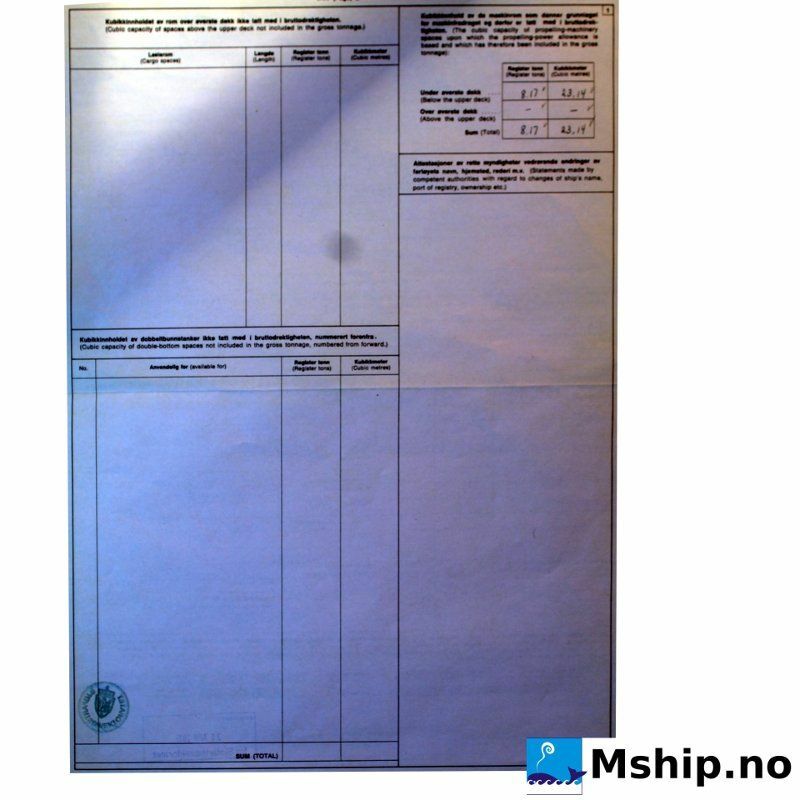 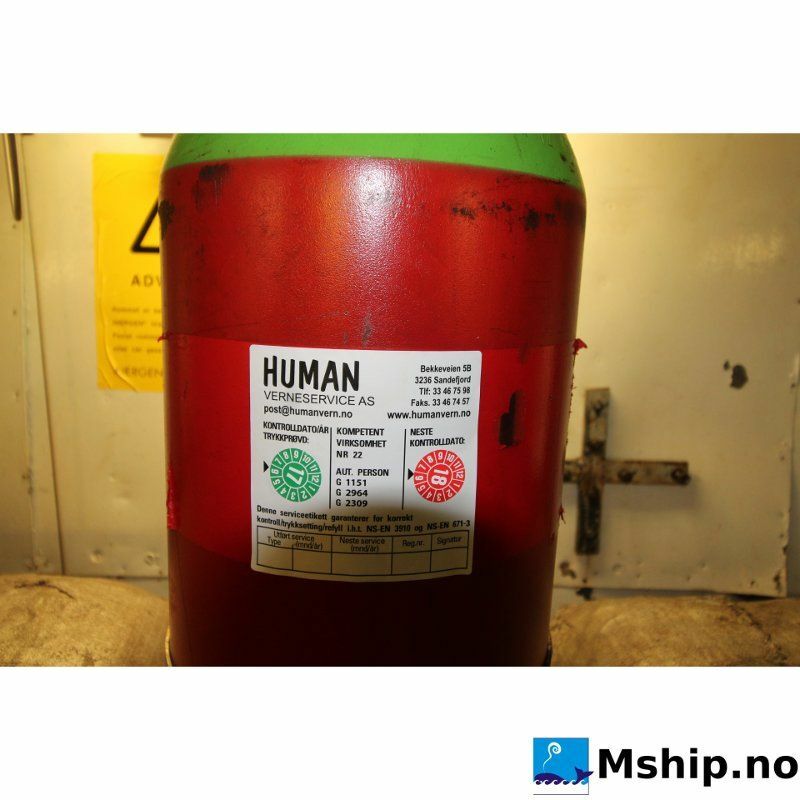 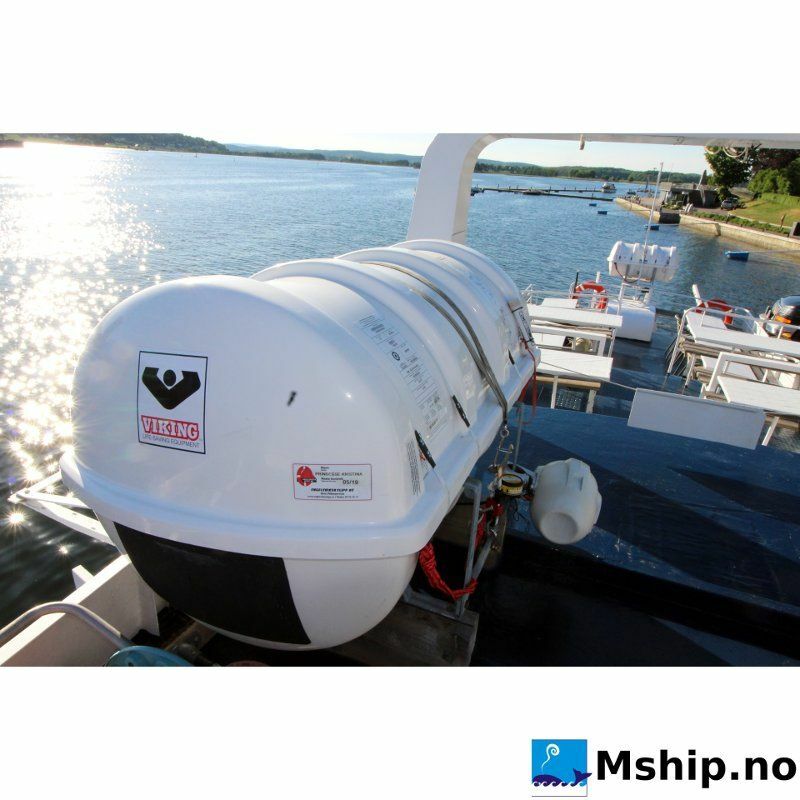 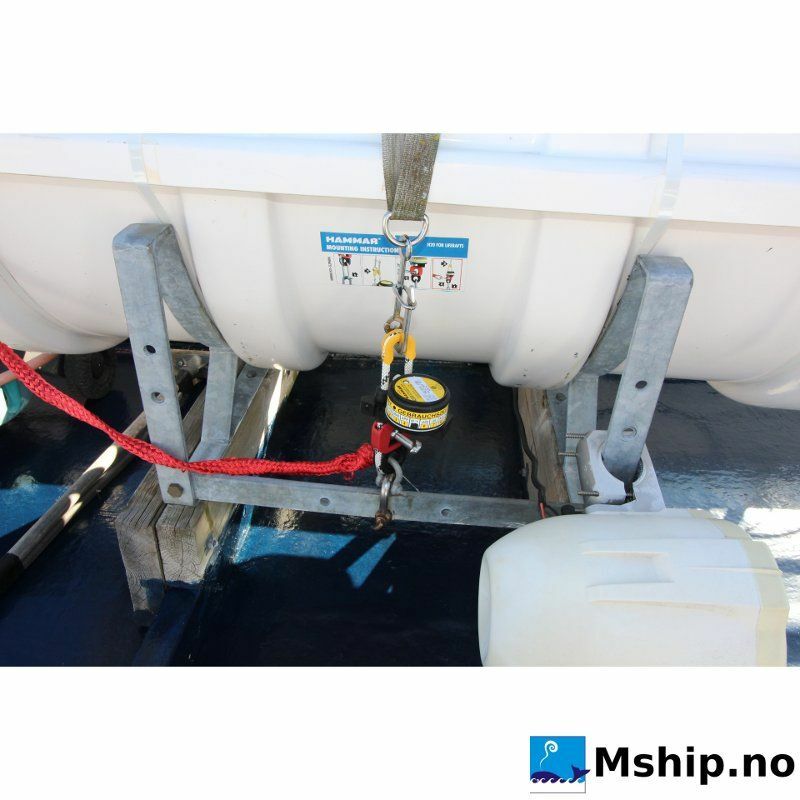 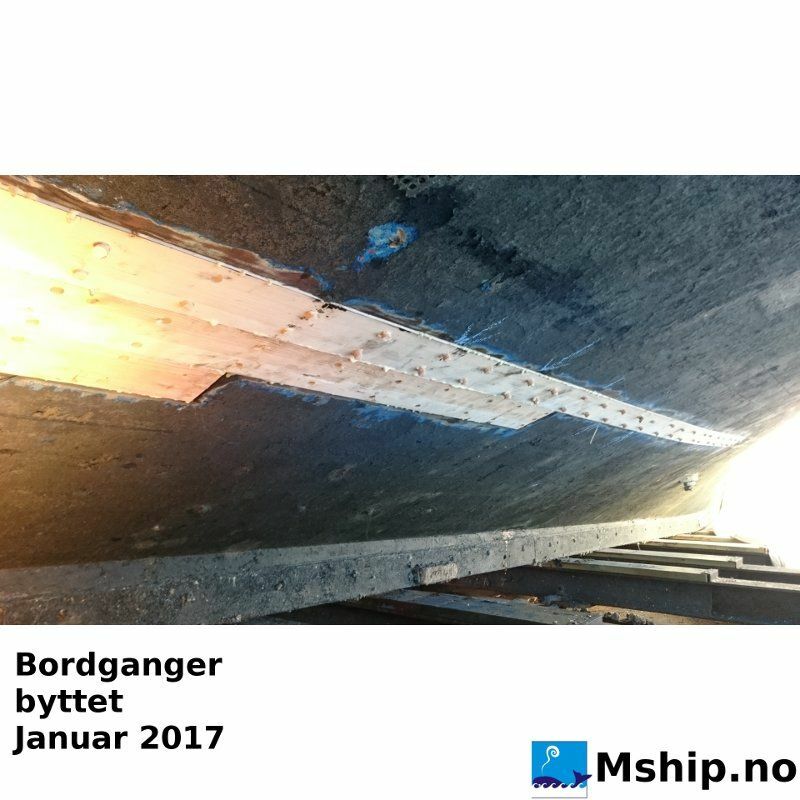 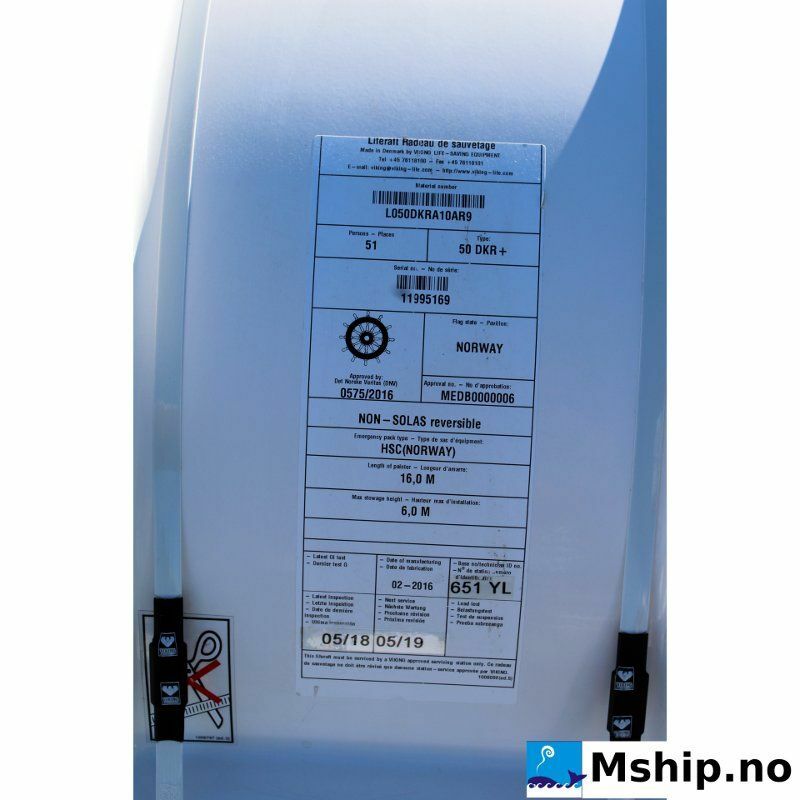 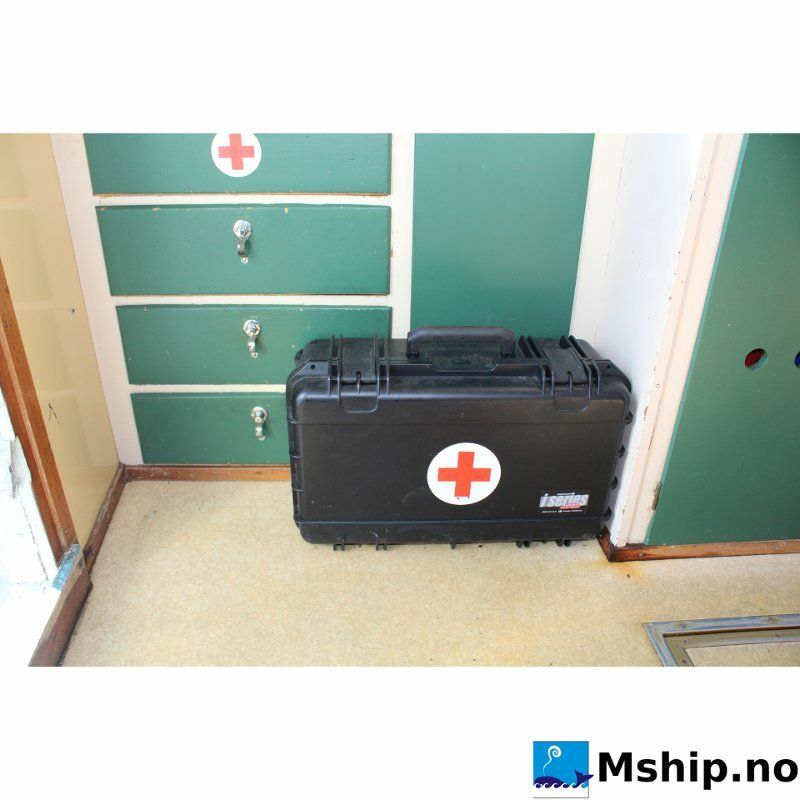 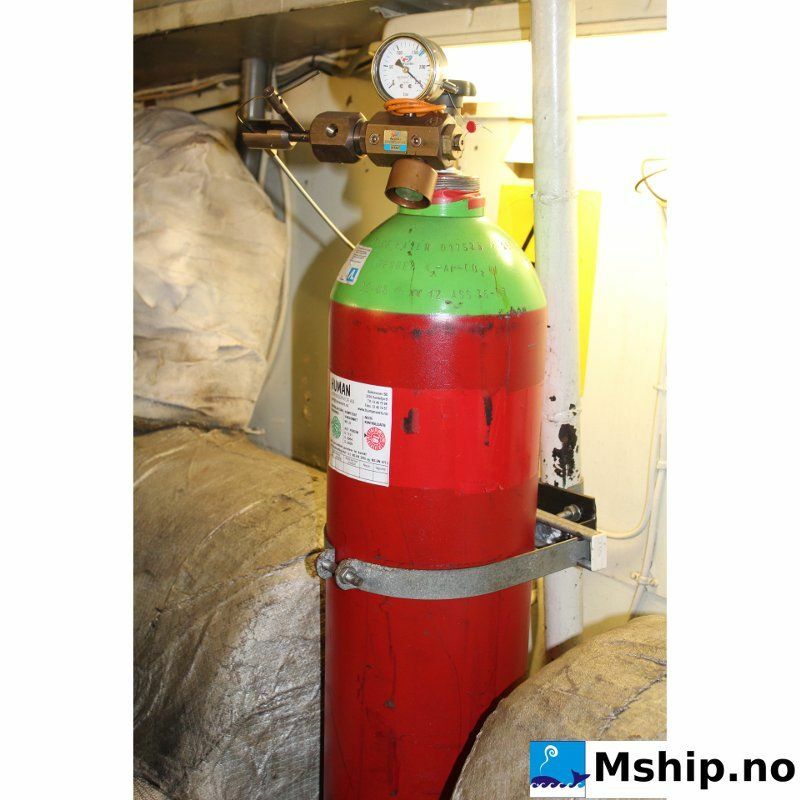 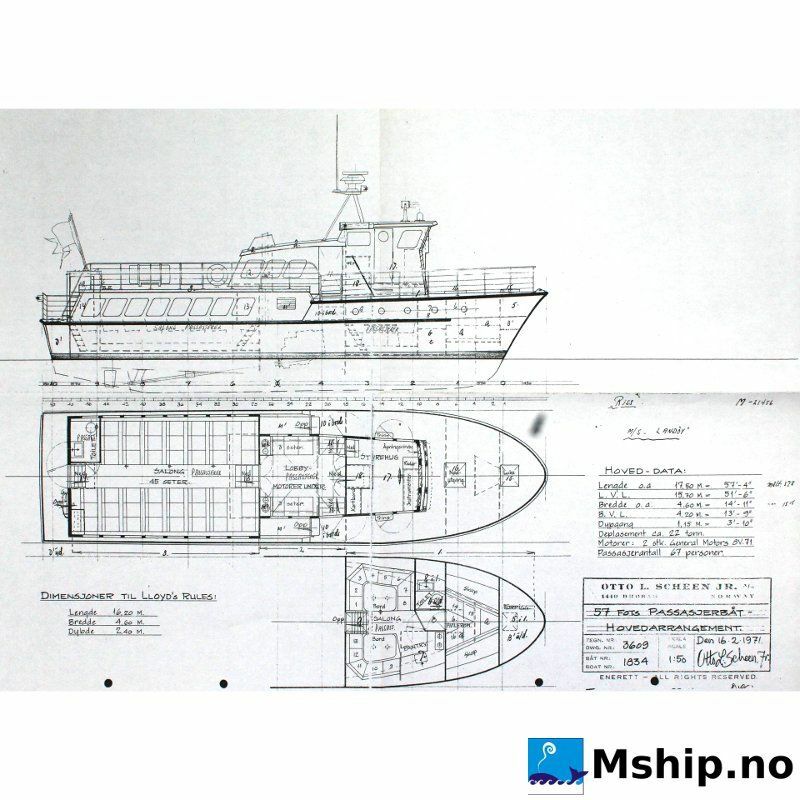 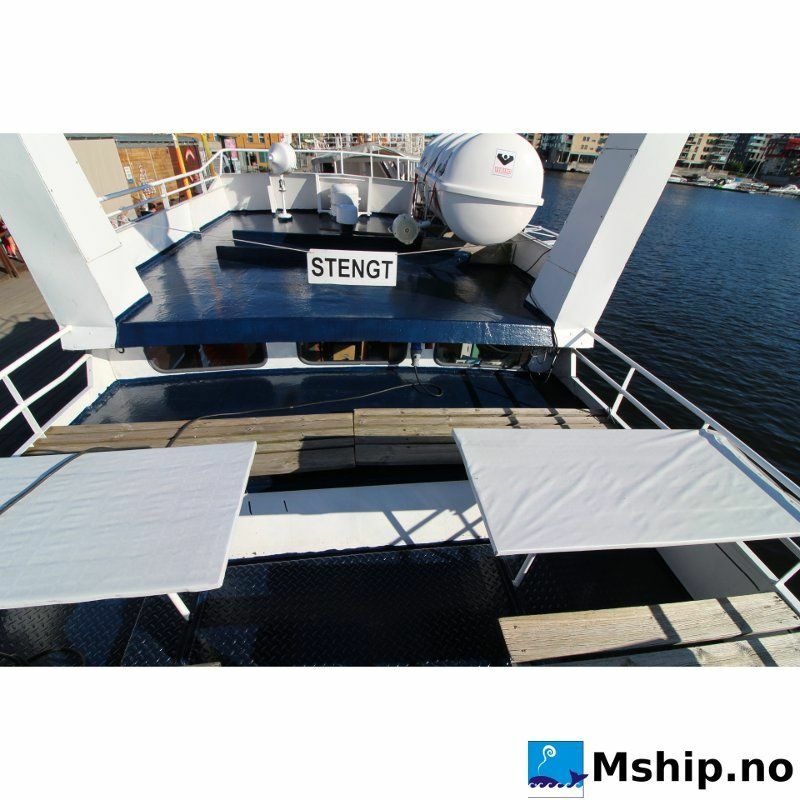 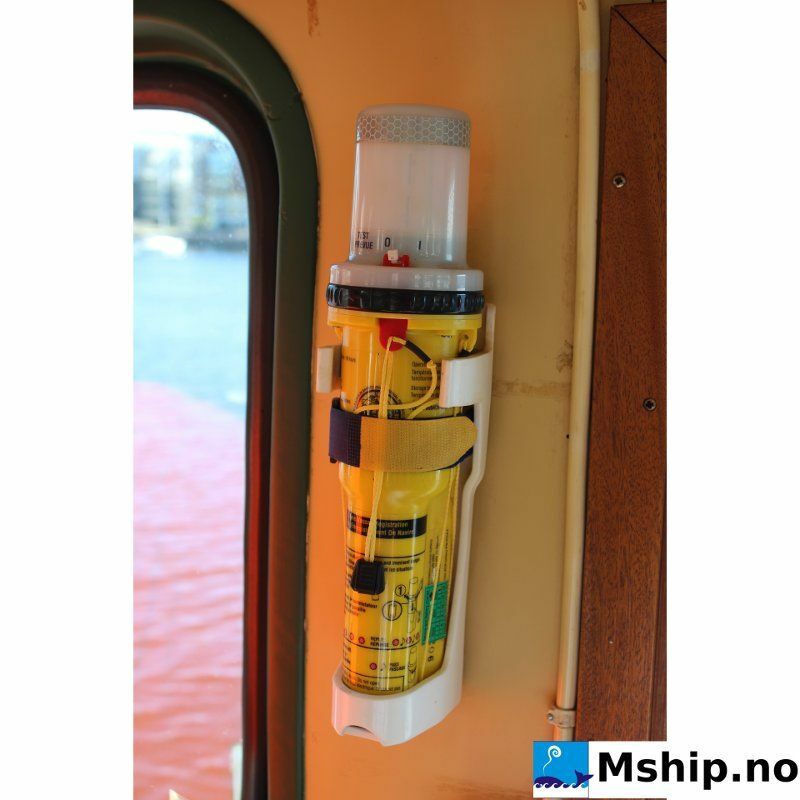 Today she is limited to a maximum total capacity of 49 passengers, but this can be reverted to 65 persons capacity by changing the life rafts to a larger model. 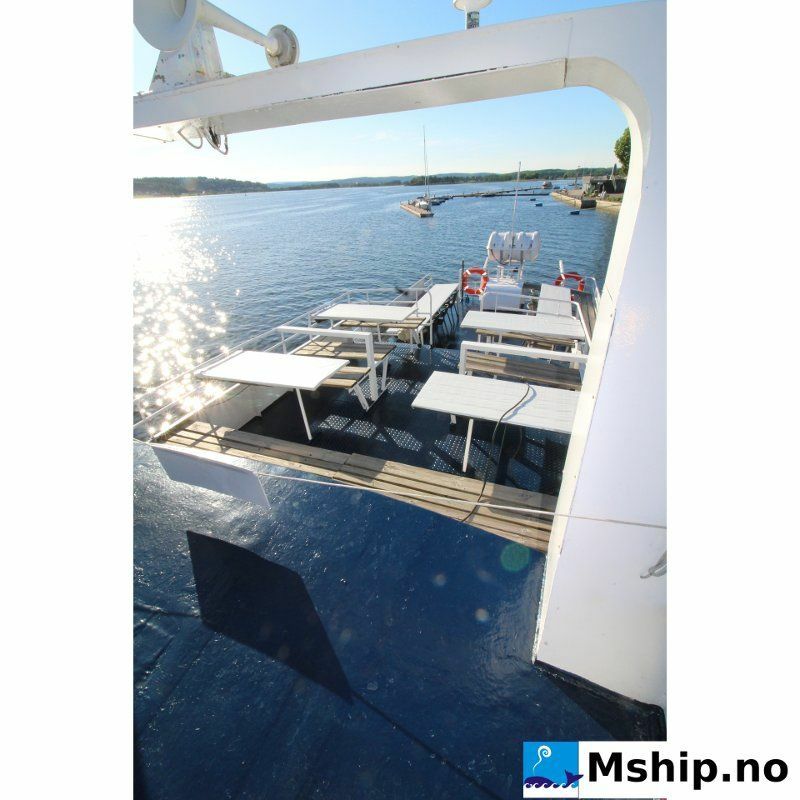 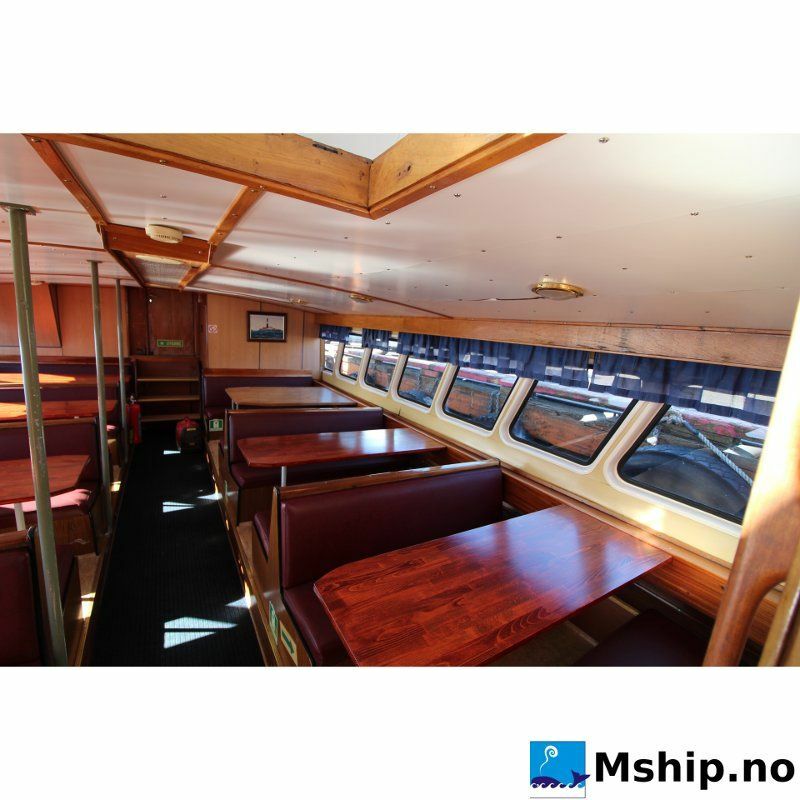 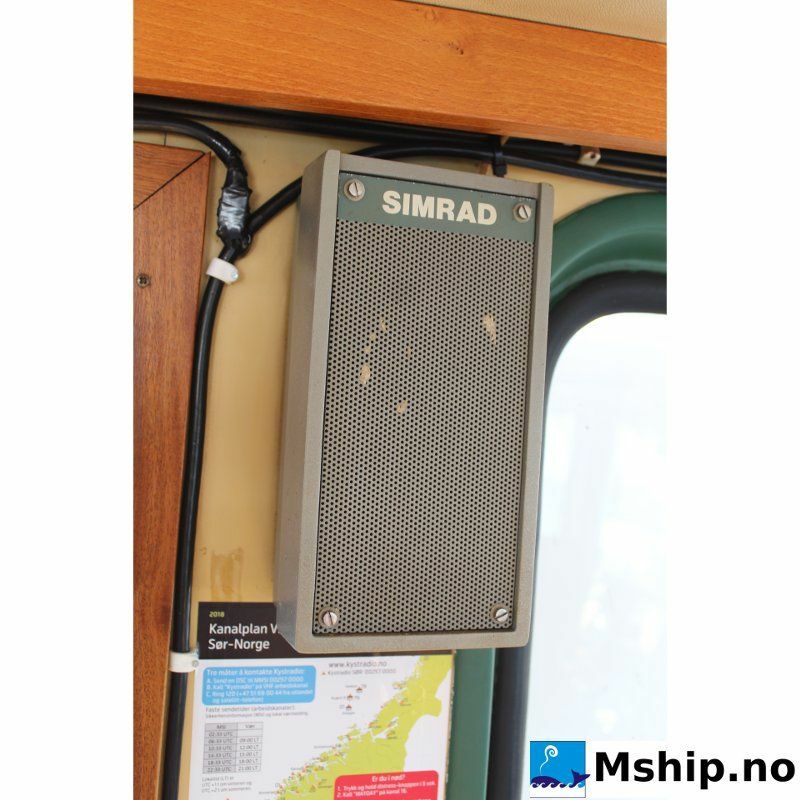 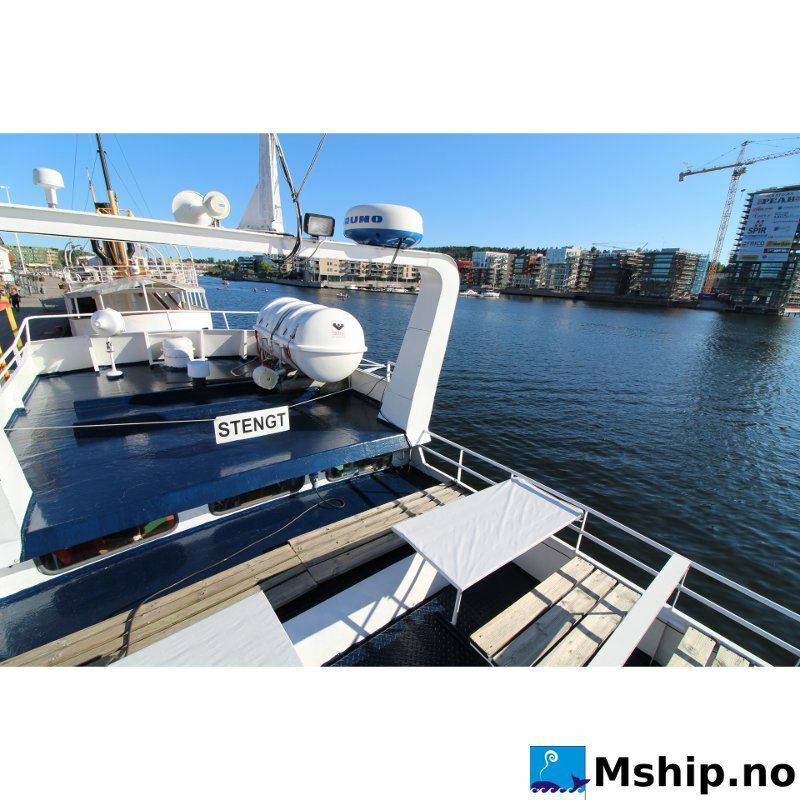 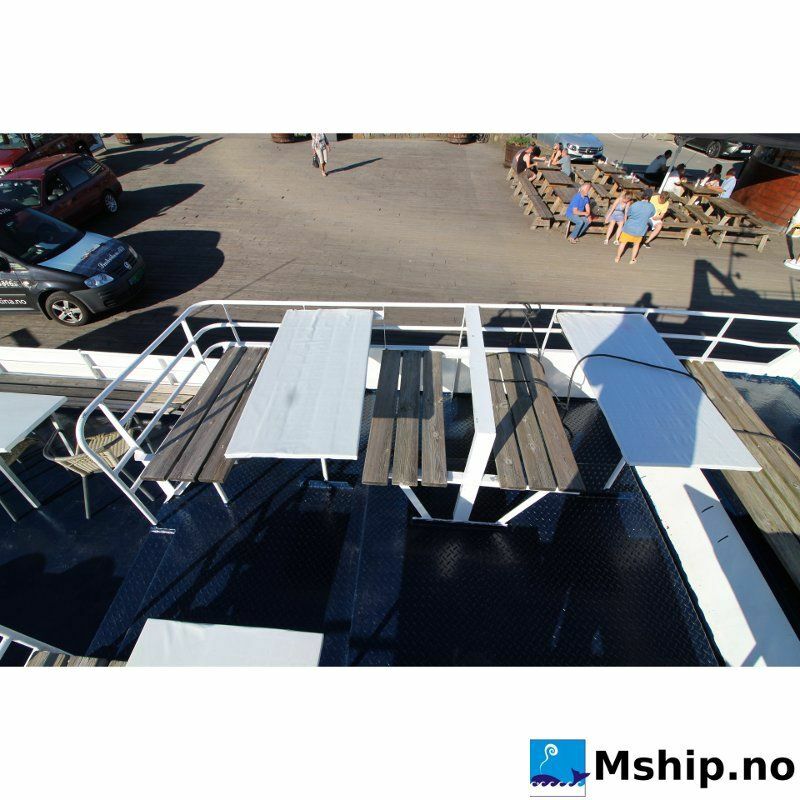 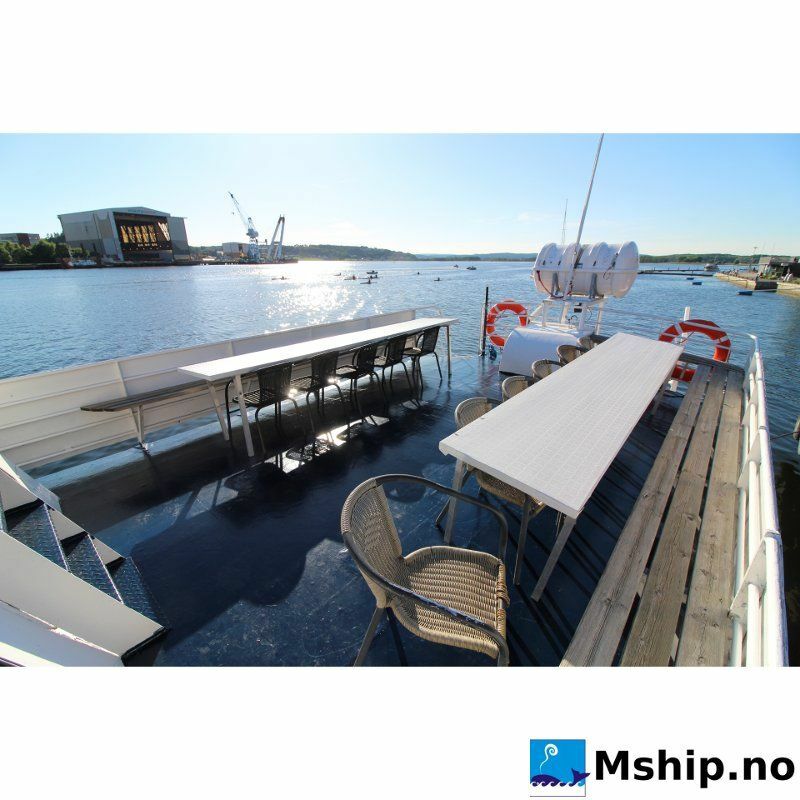 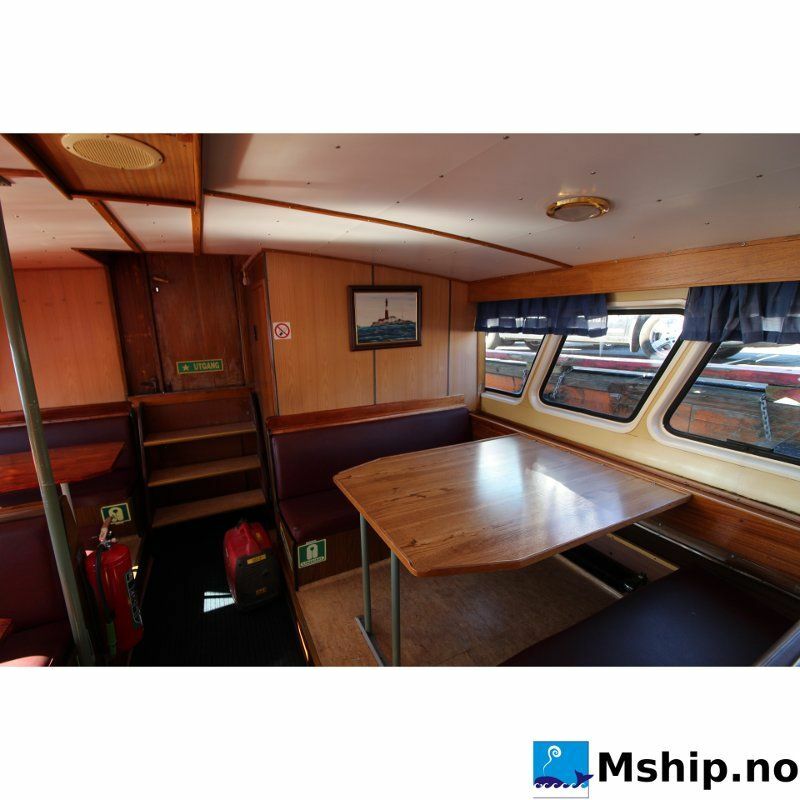 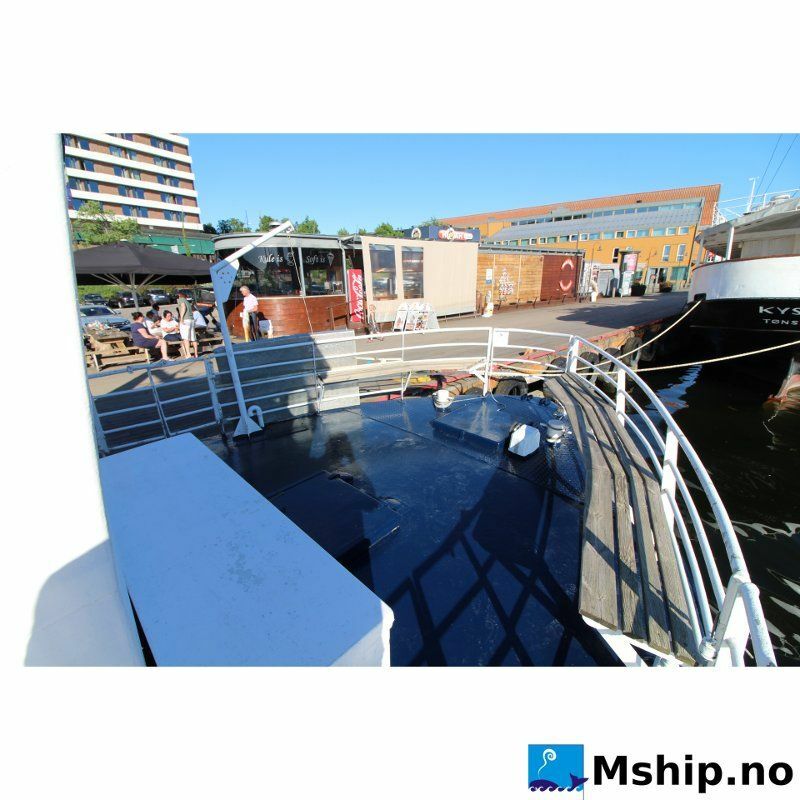 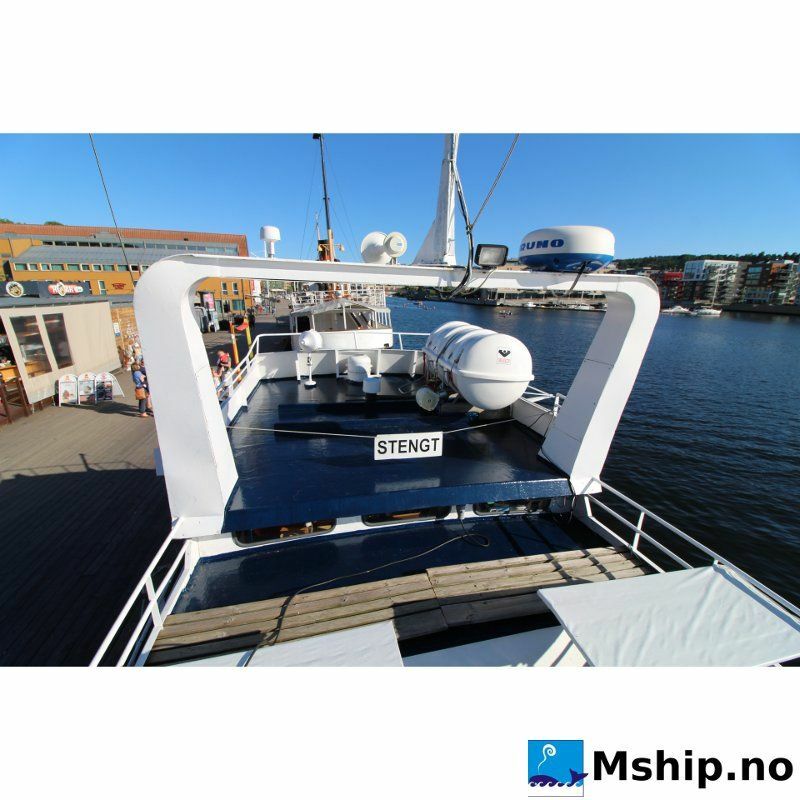 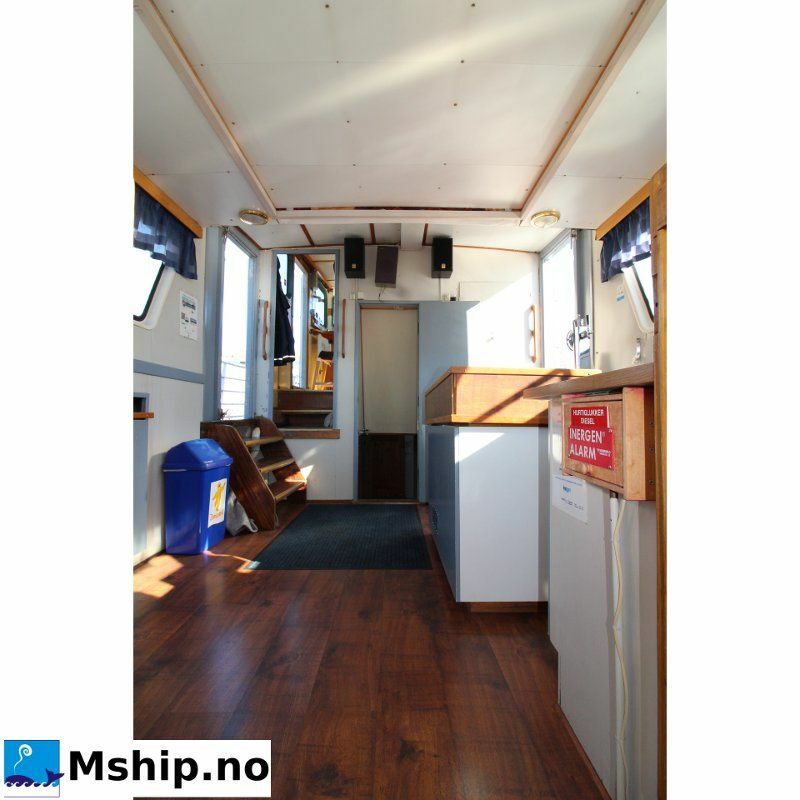 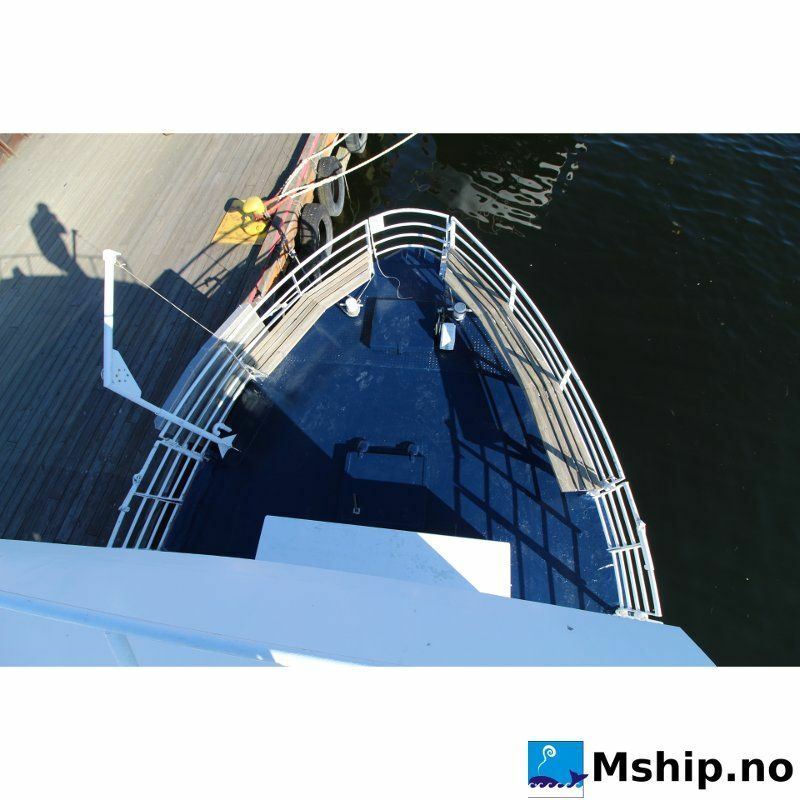 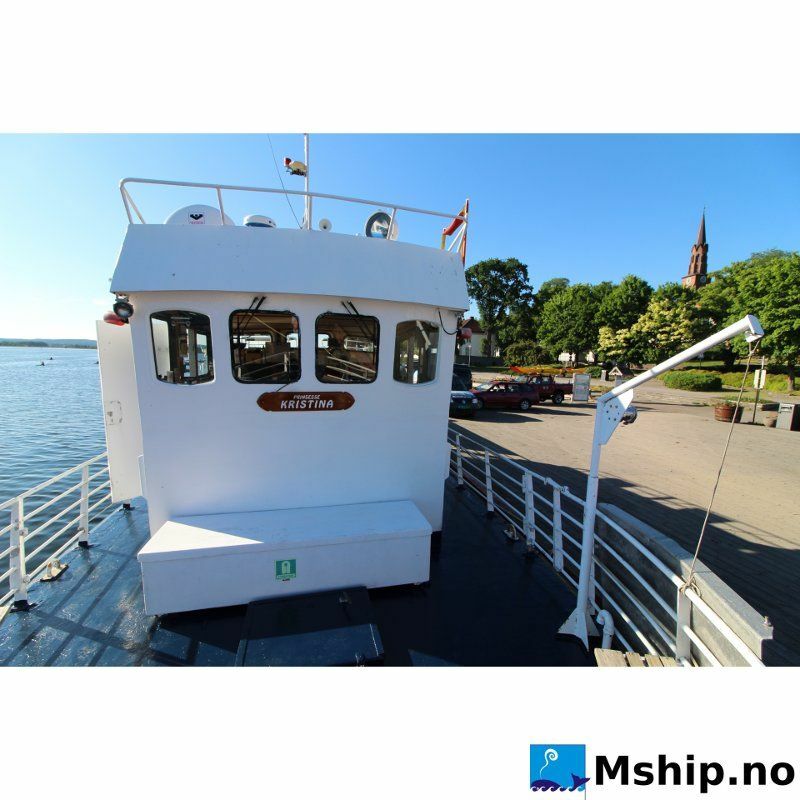 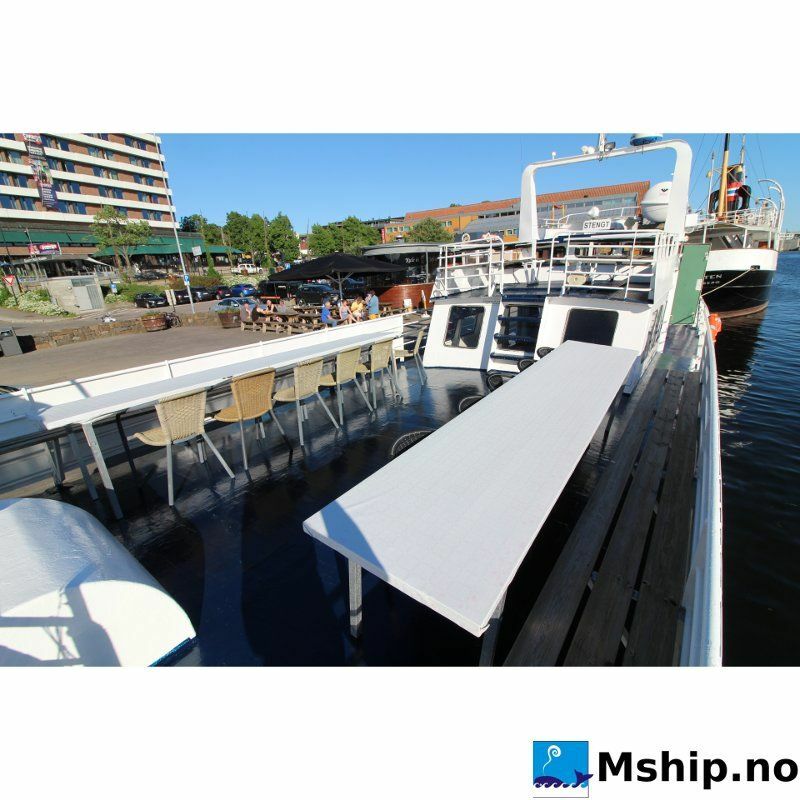 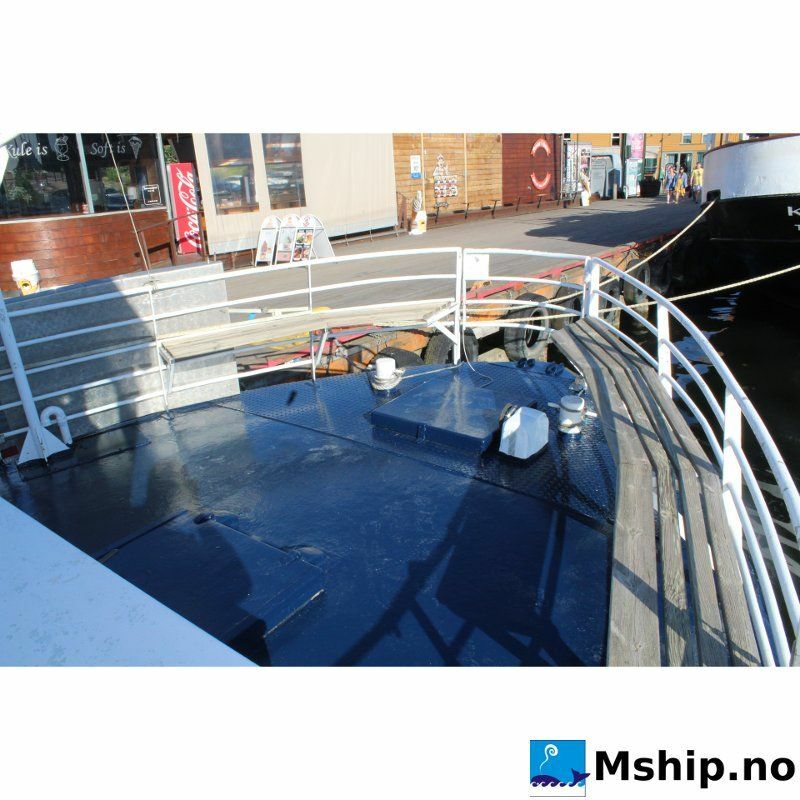 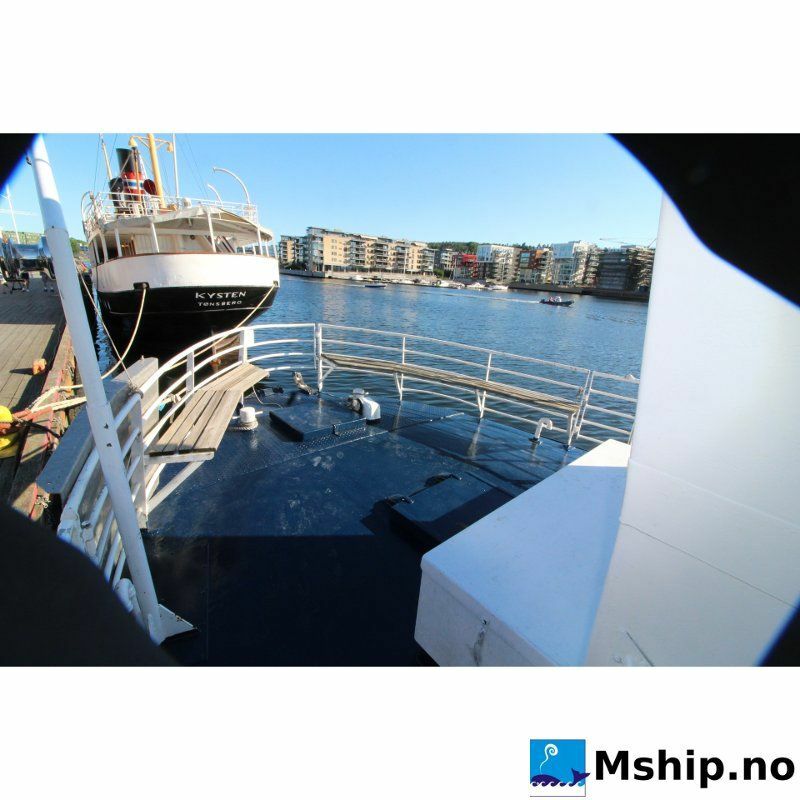 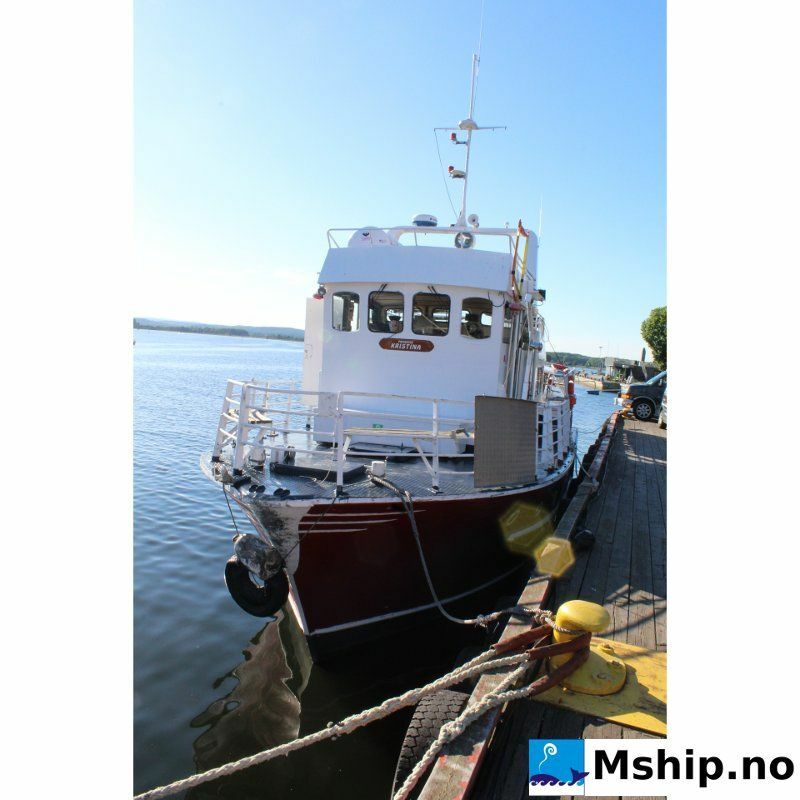 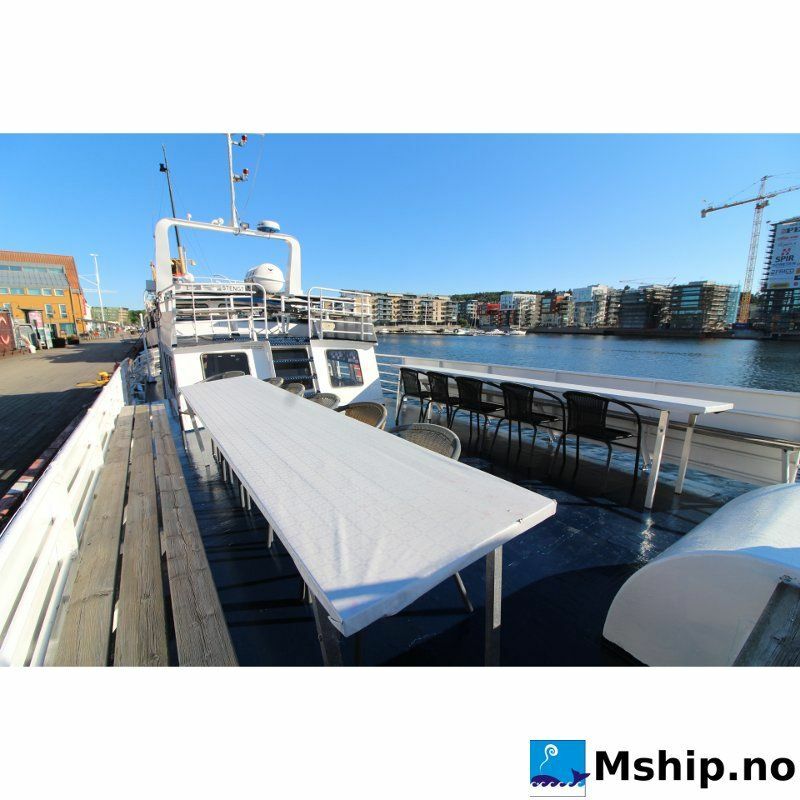 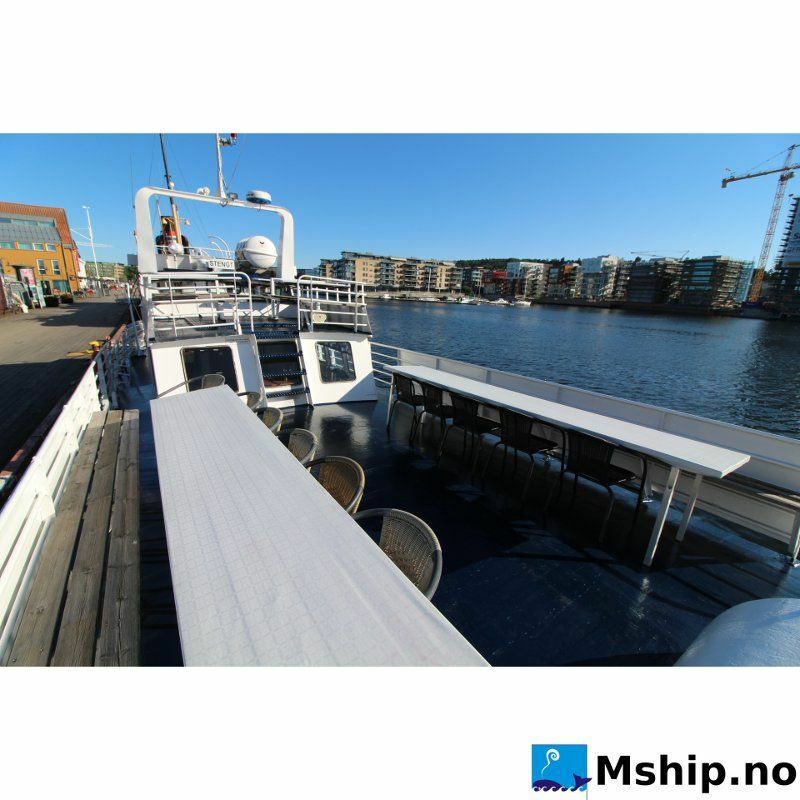 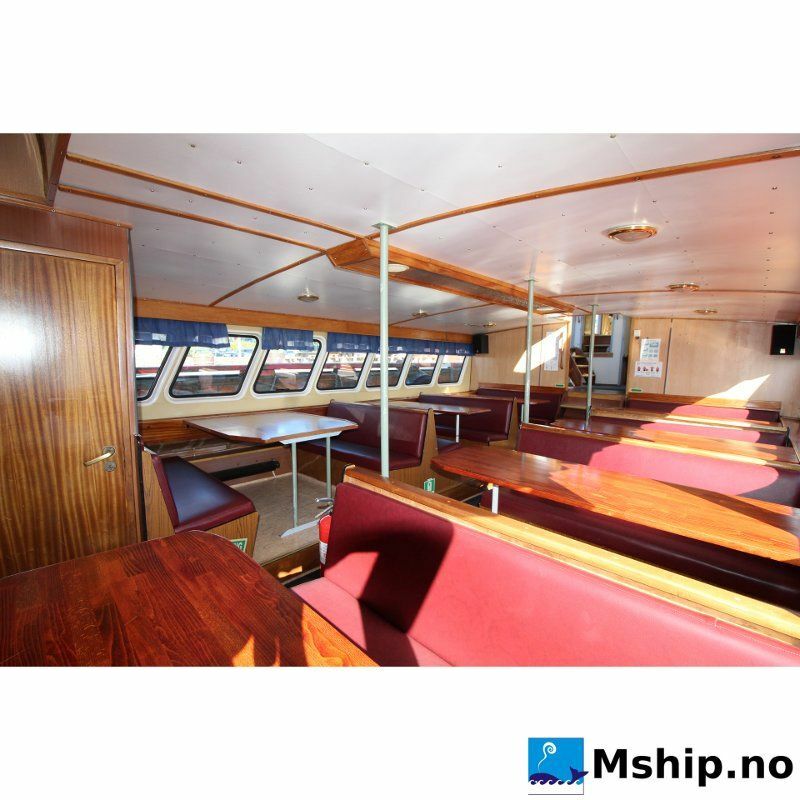 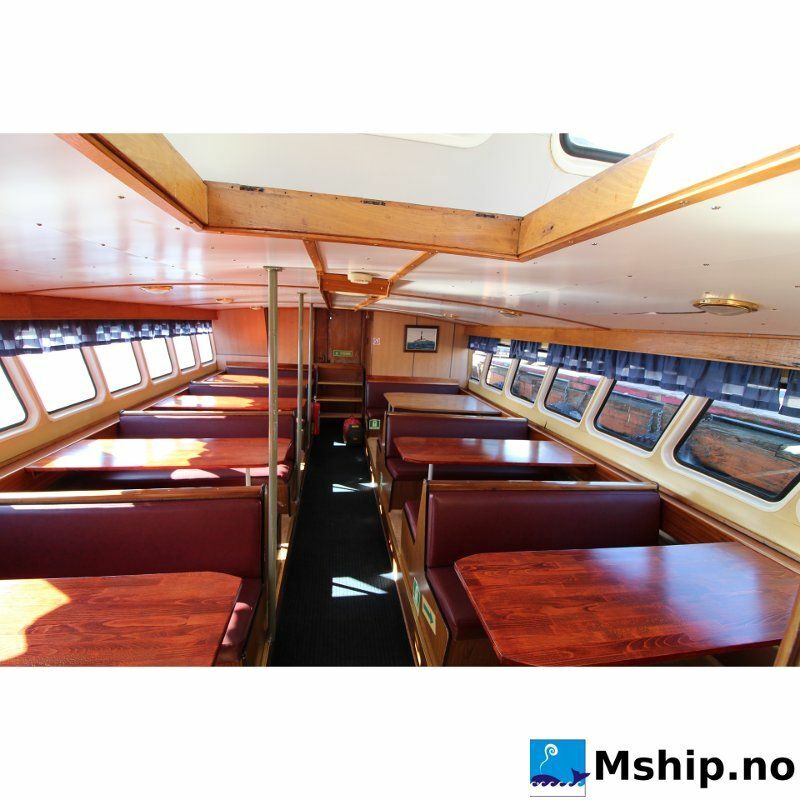 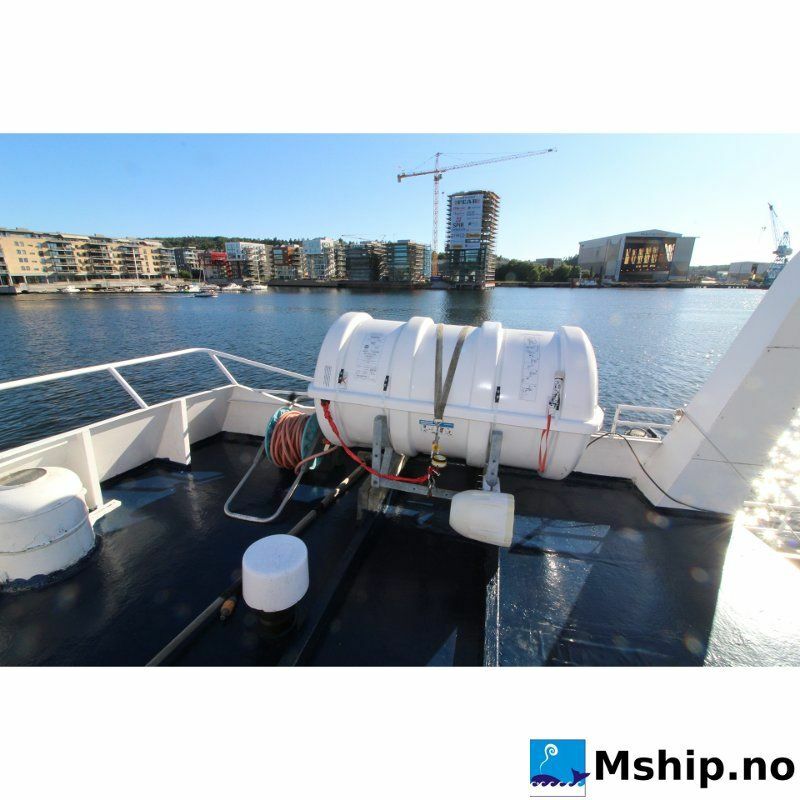 With a large nice outdoor deck area with seating for up to 48 passengers on the top deck, she is ideal for social events, fjord cruising and party. 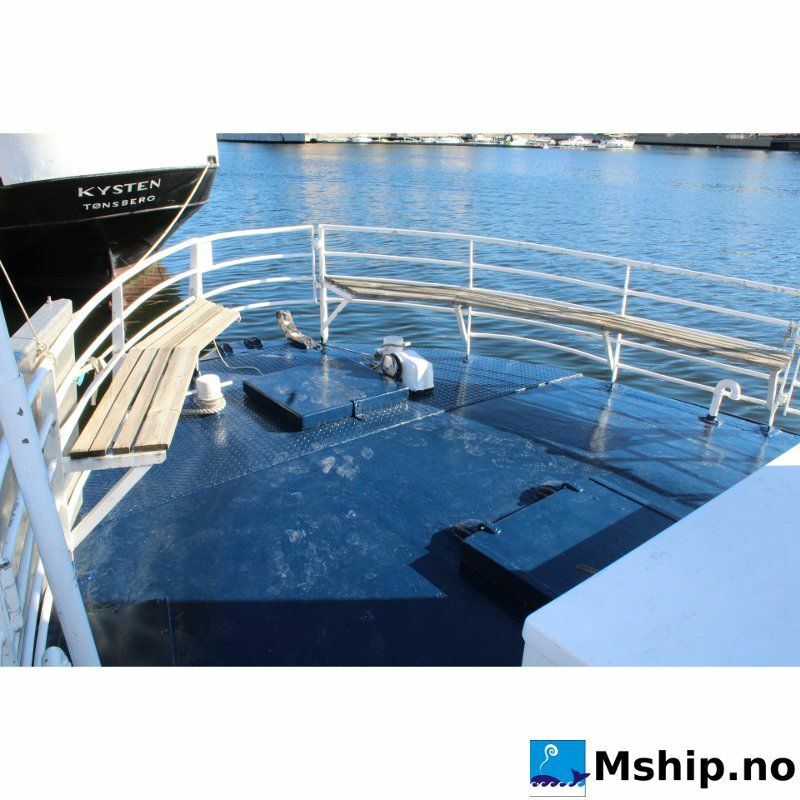 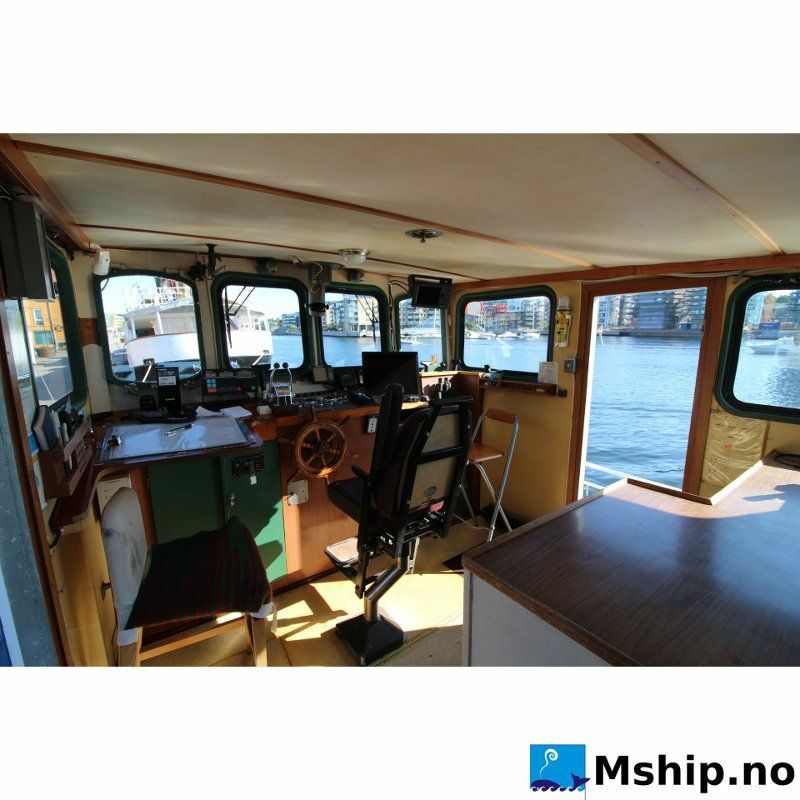 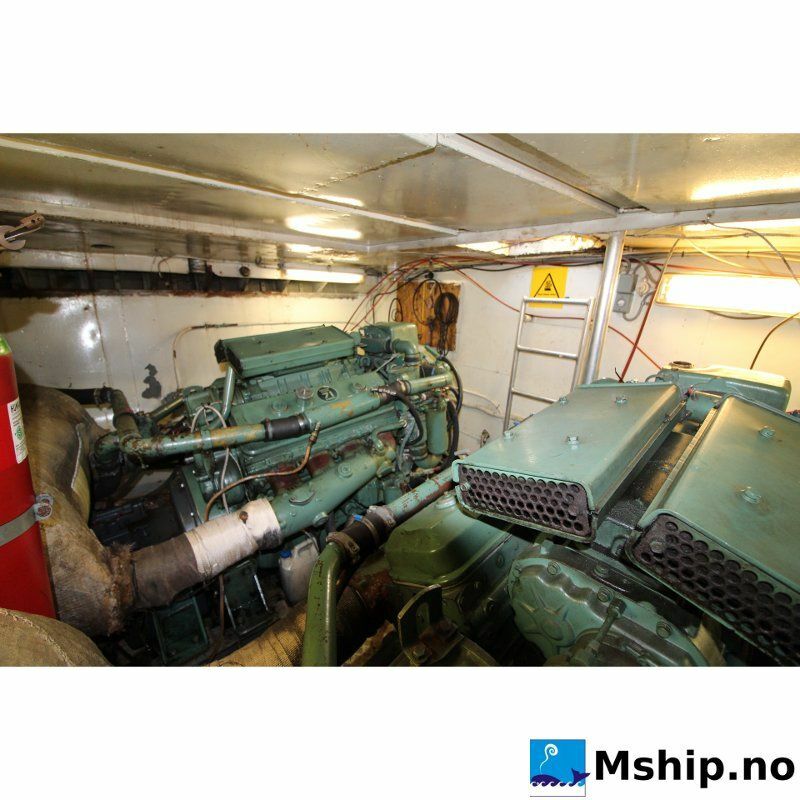 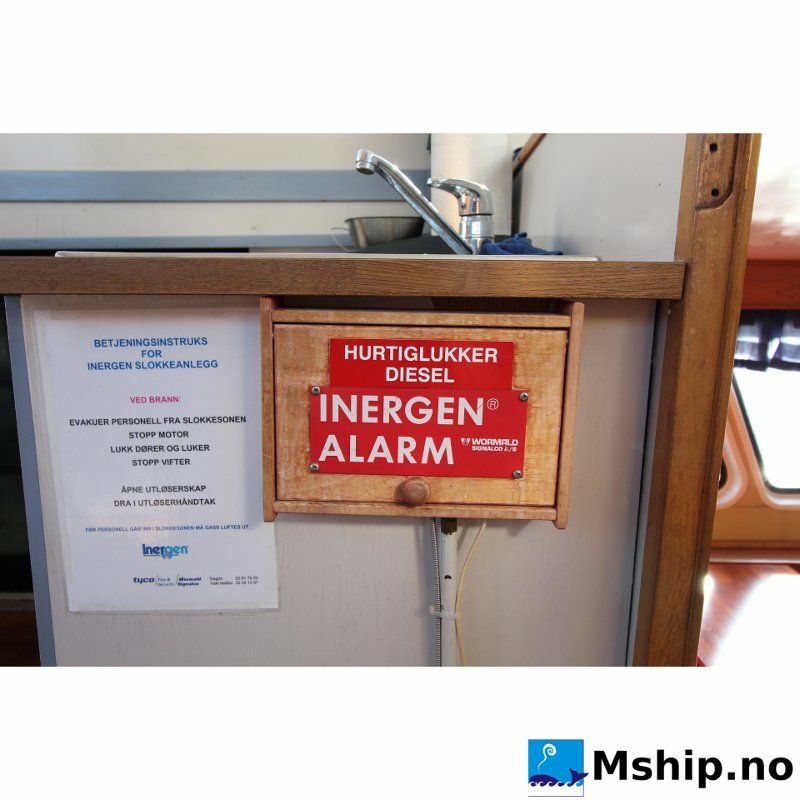 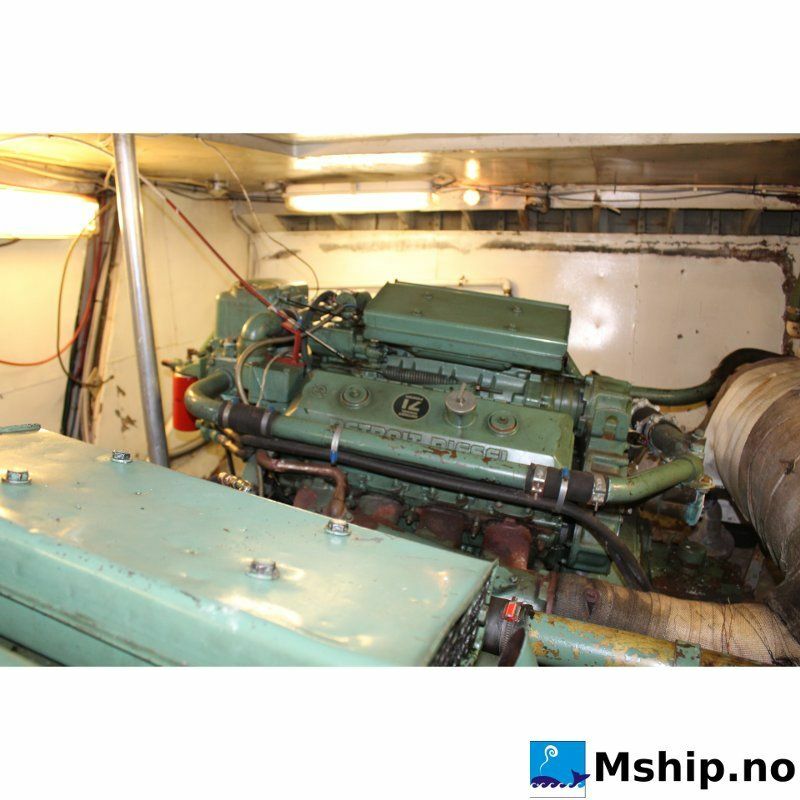 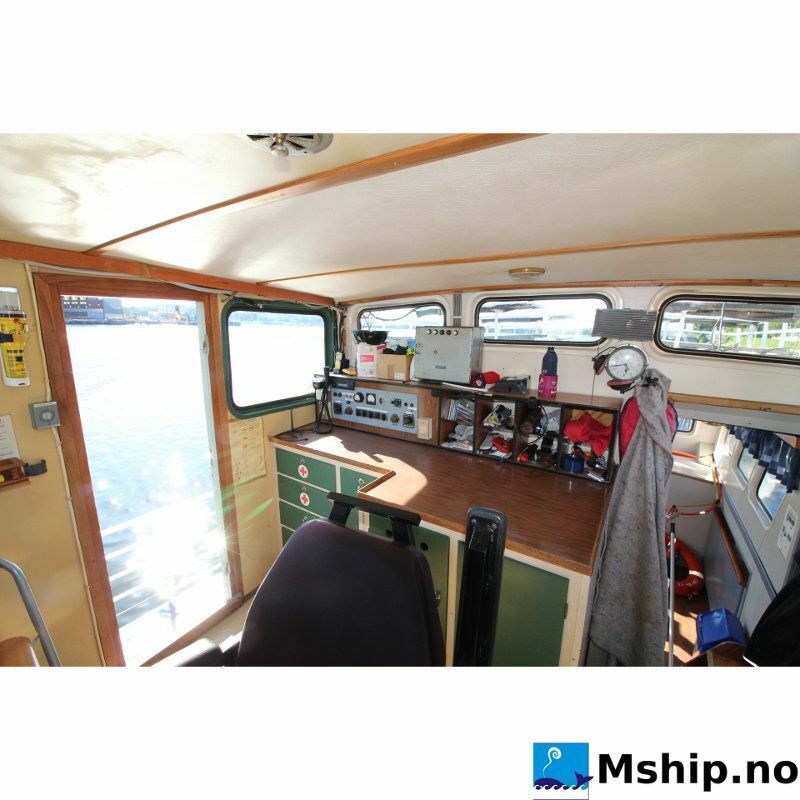 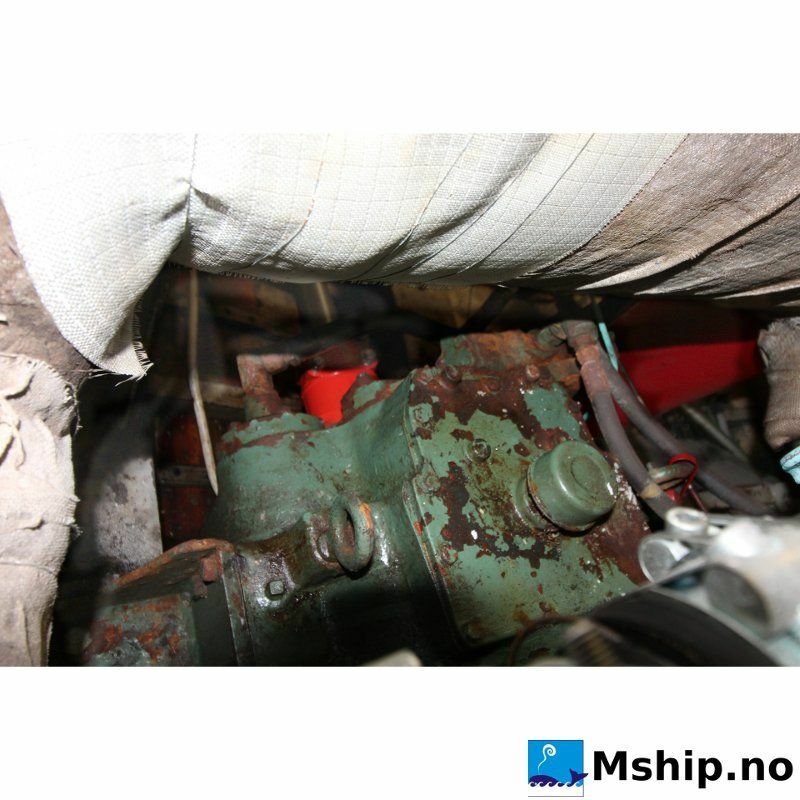 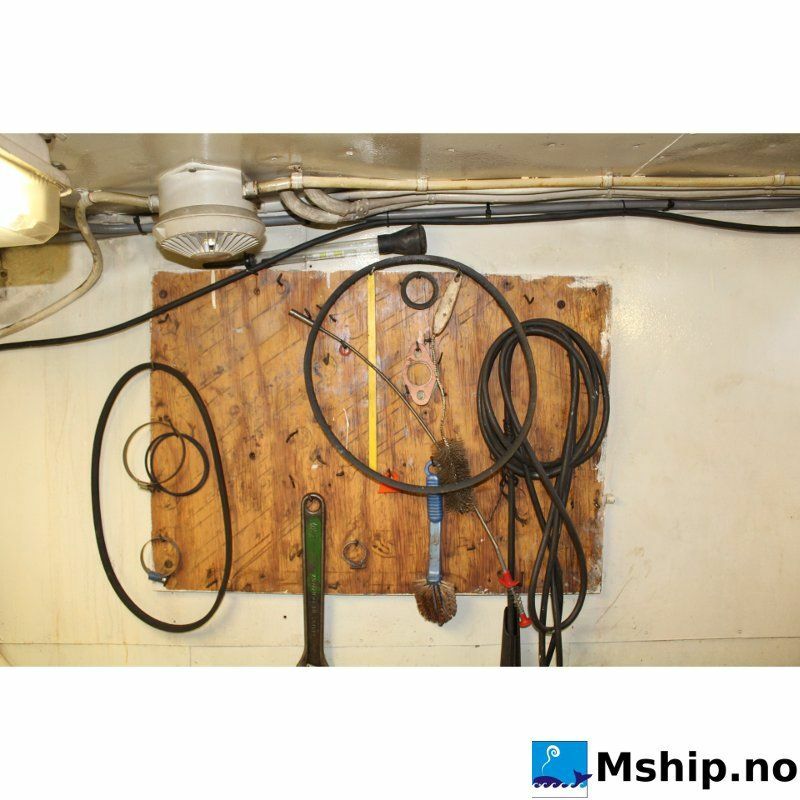 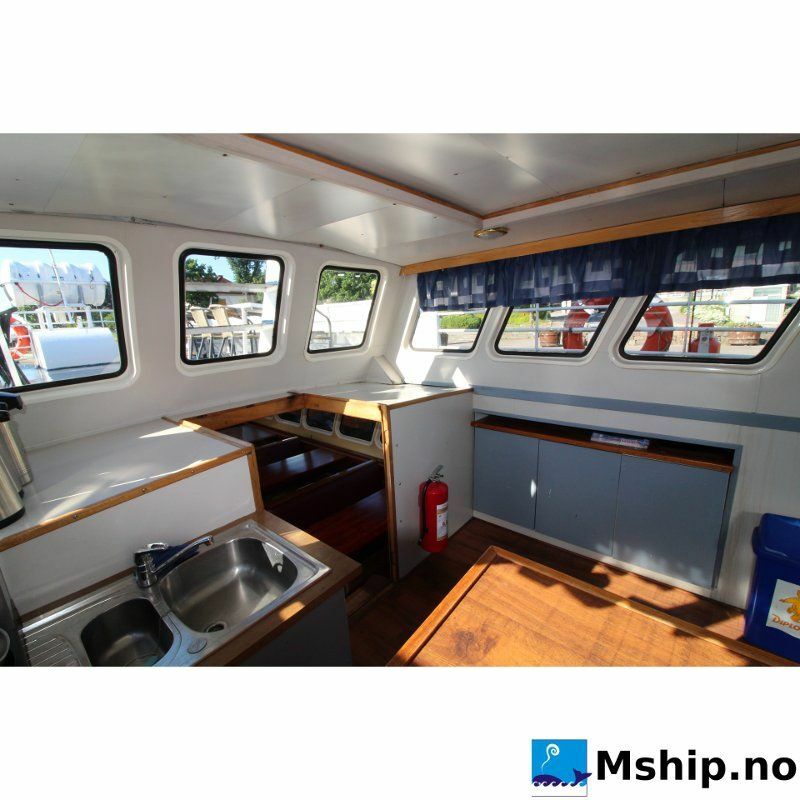 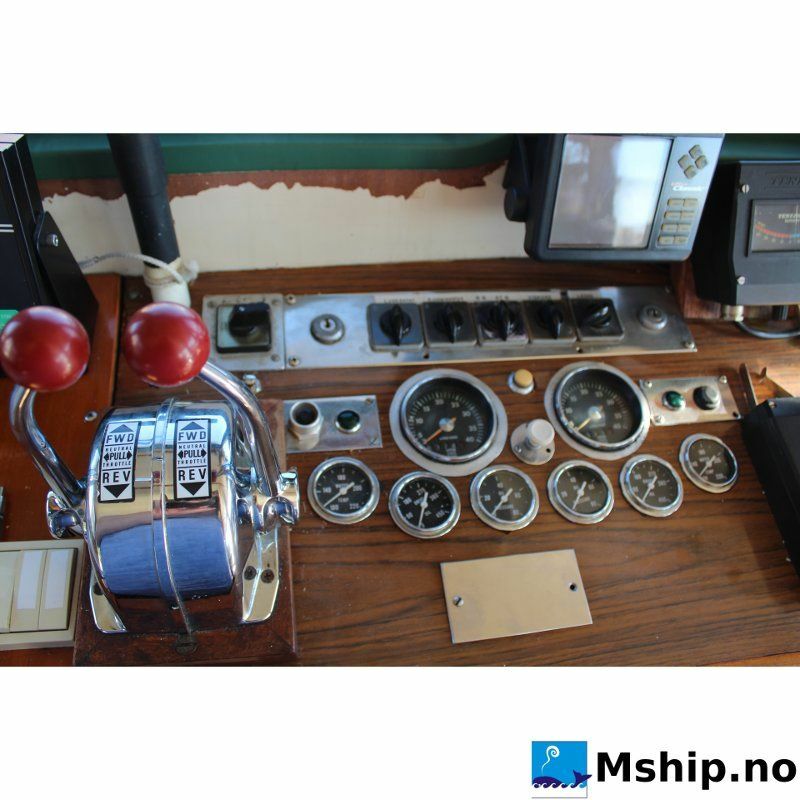 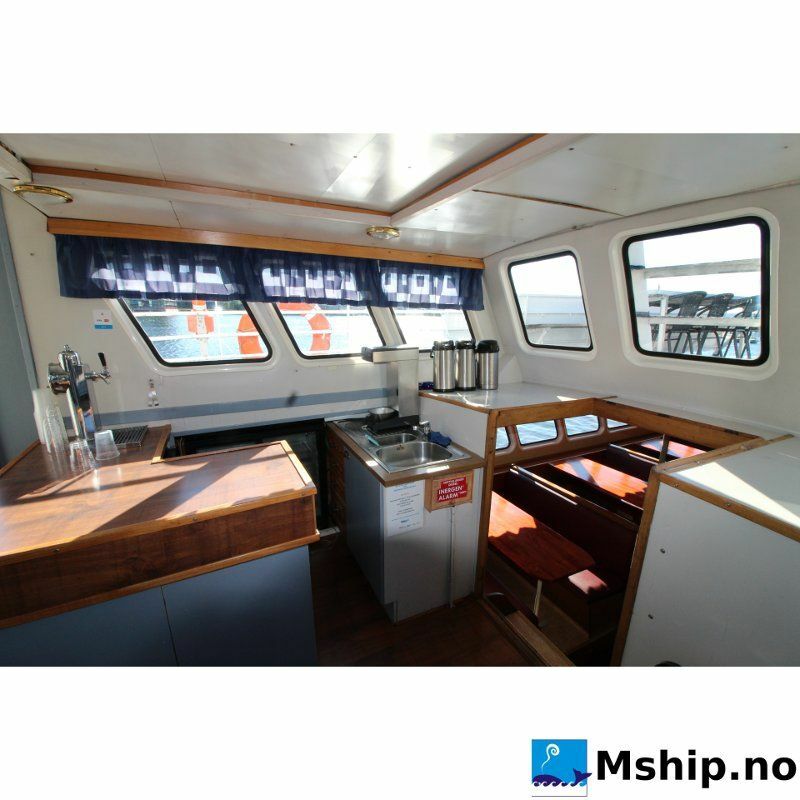 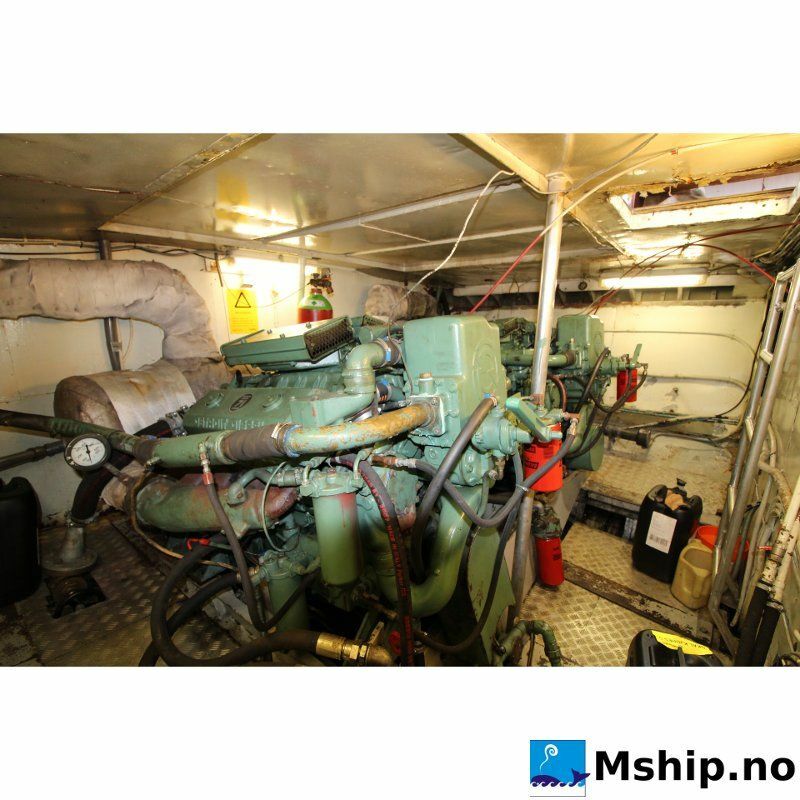 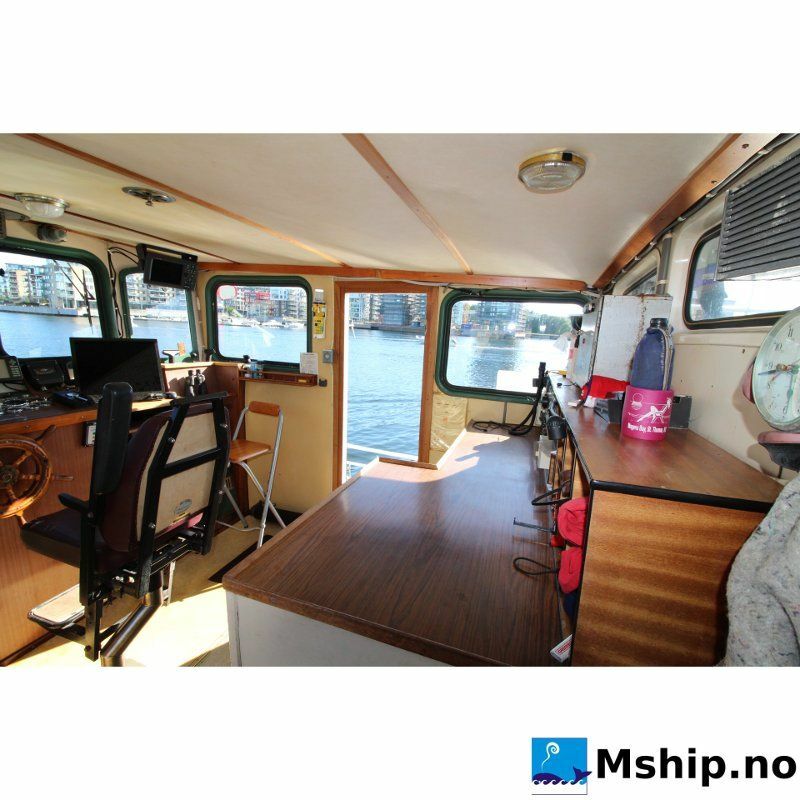 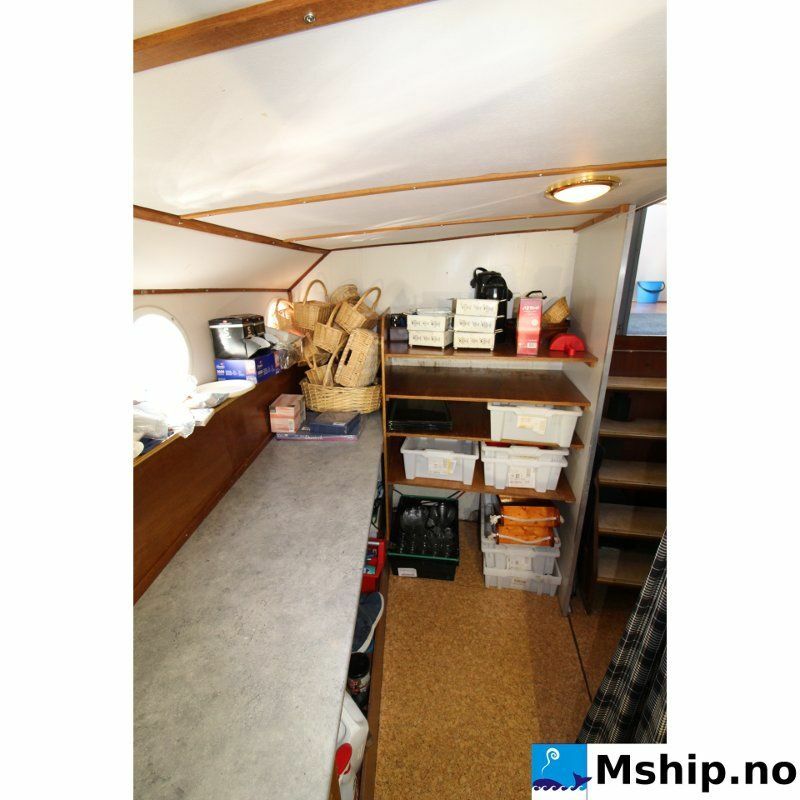 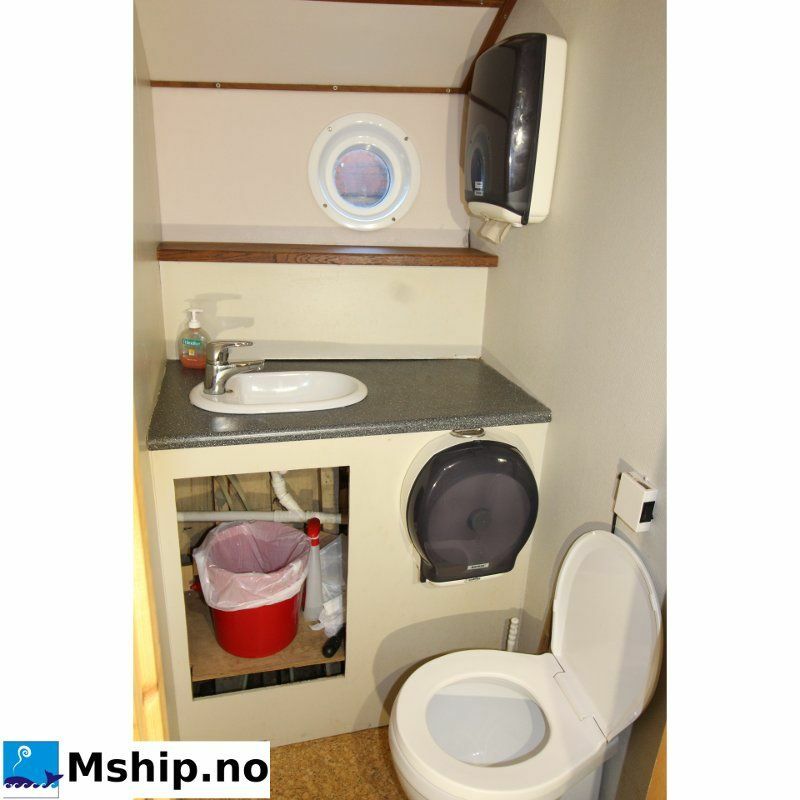 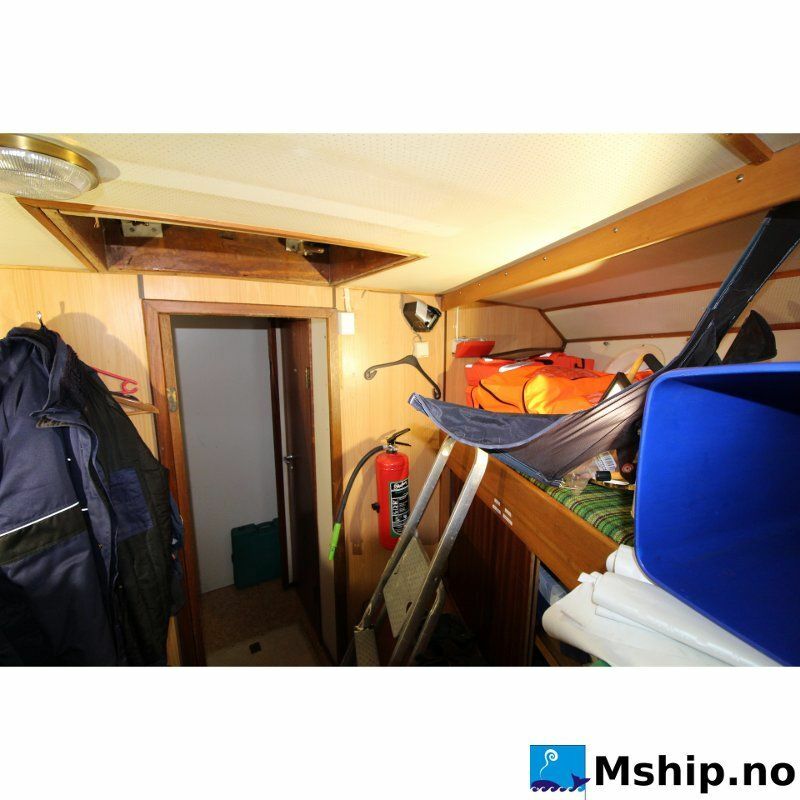 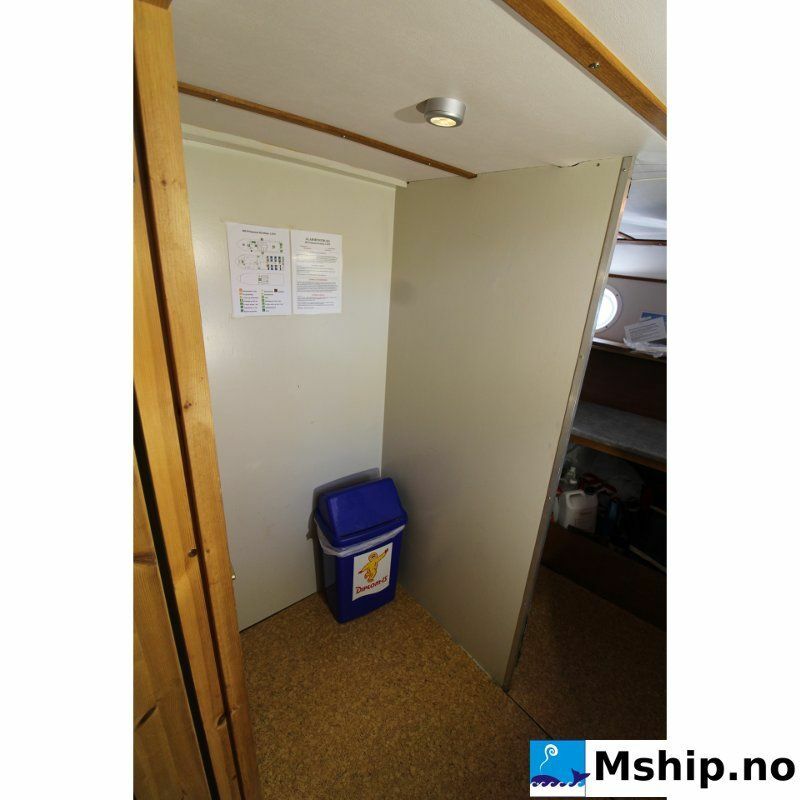 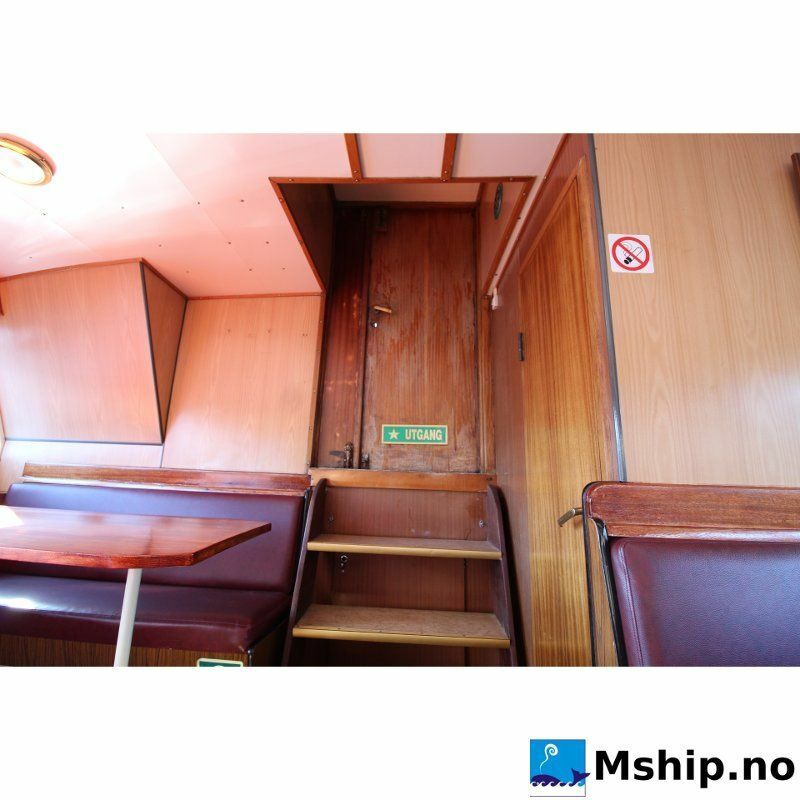 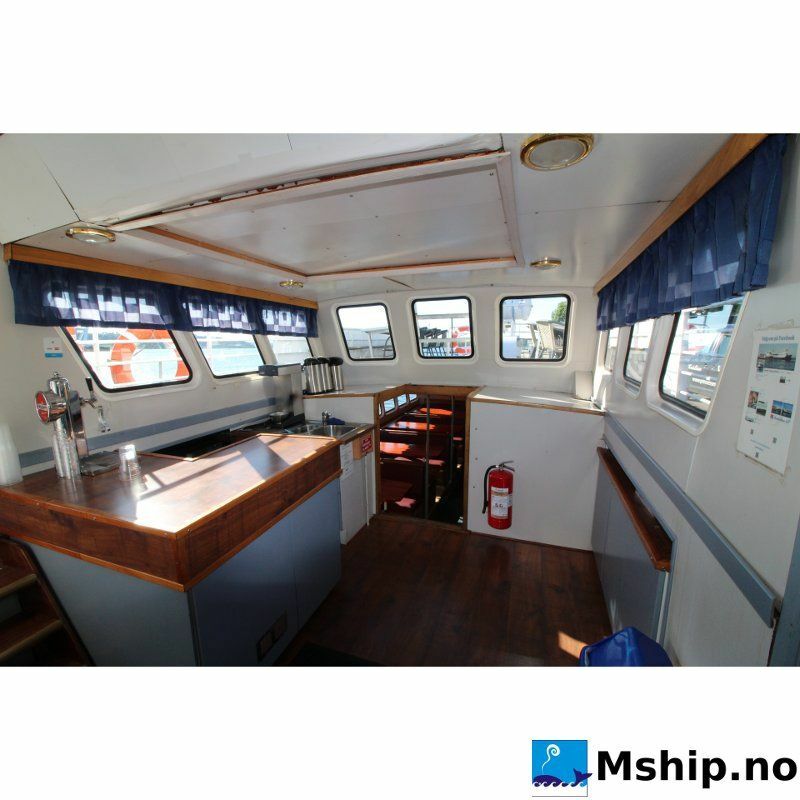 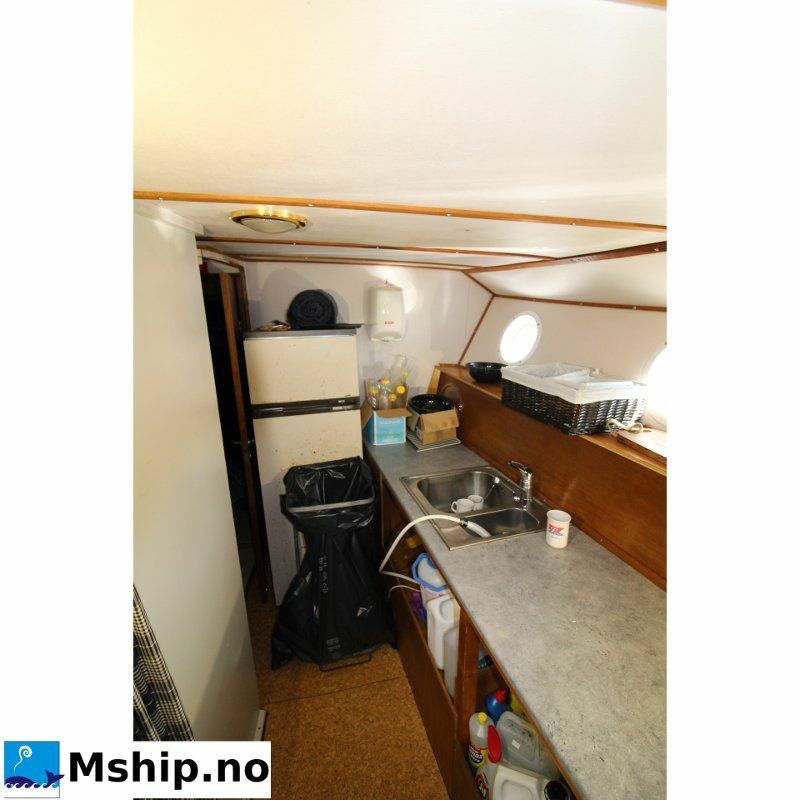 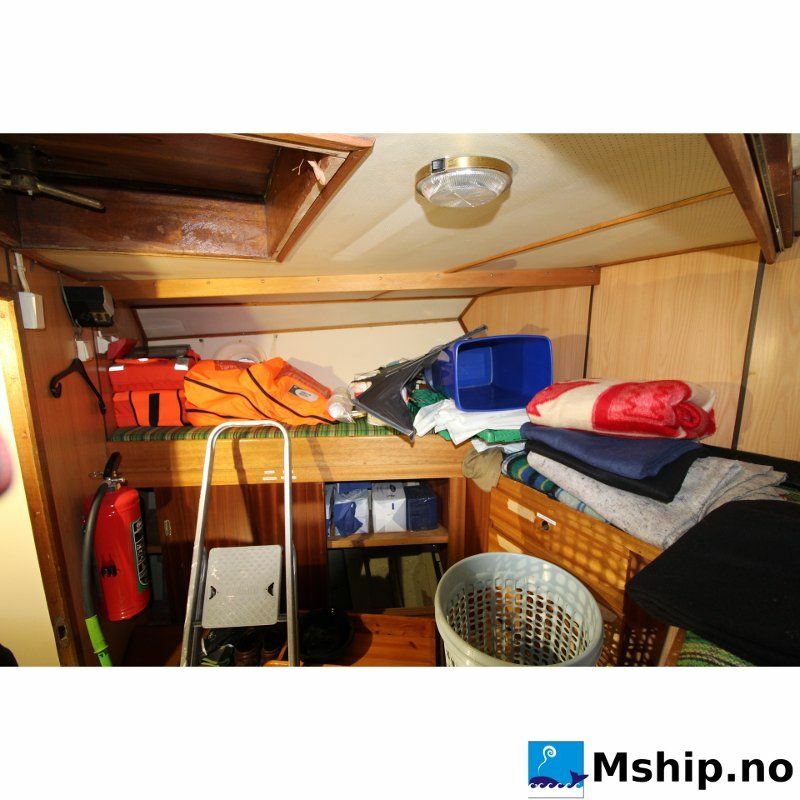 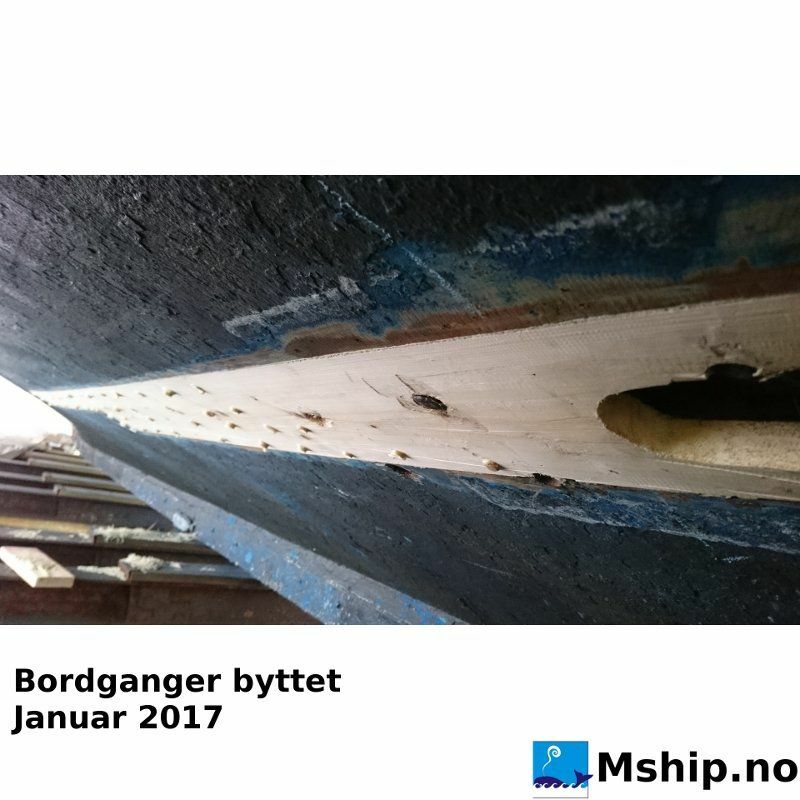 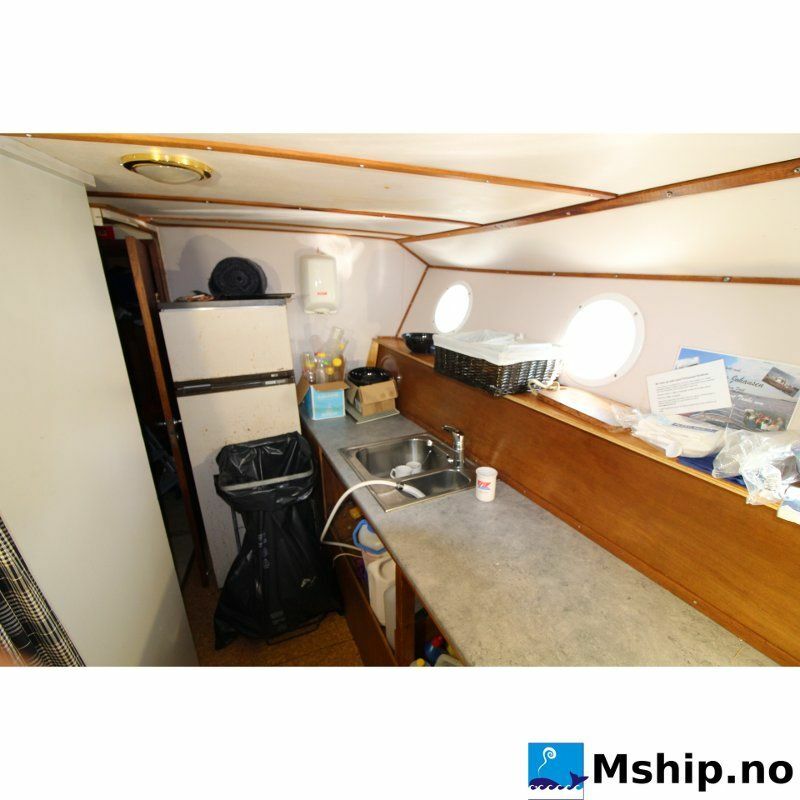 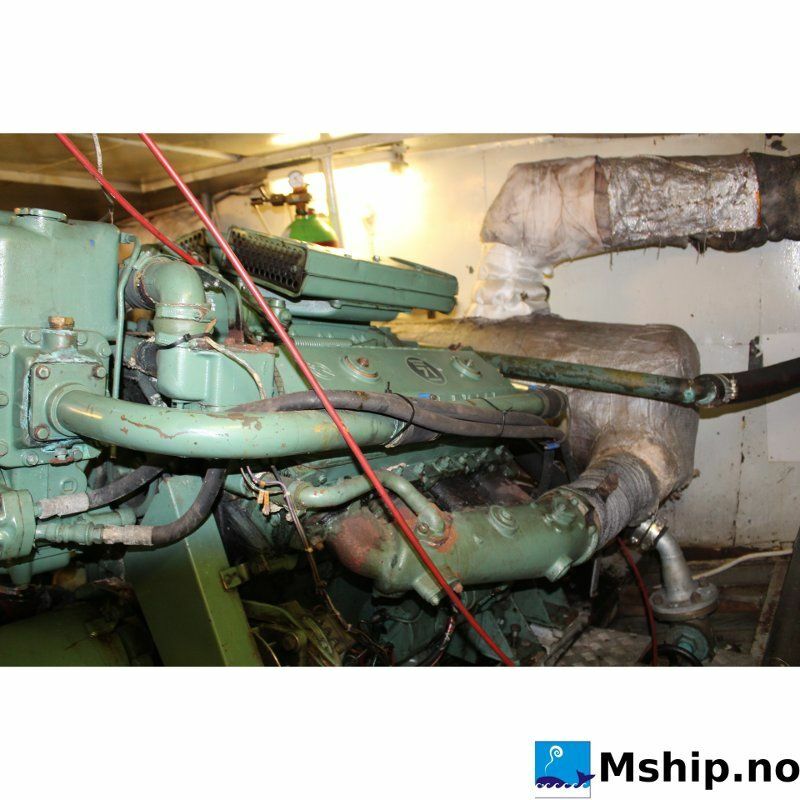 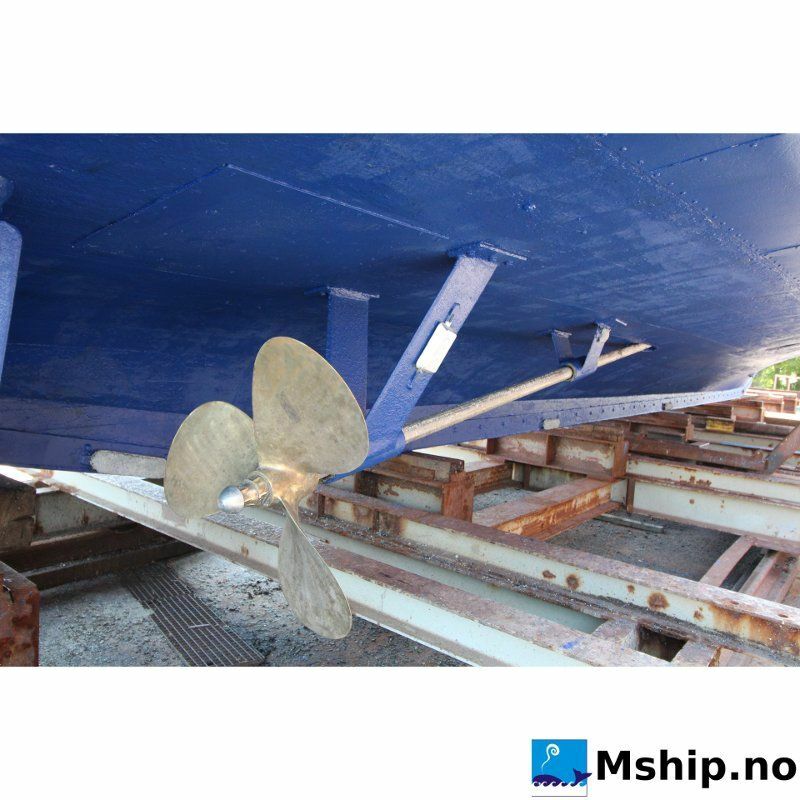 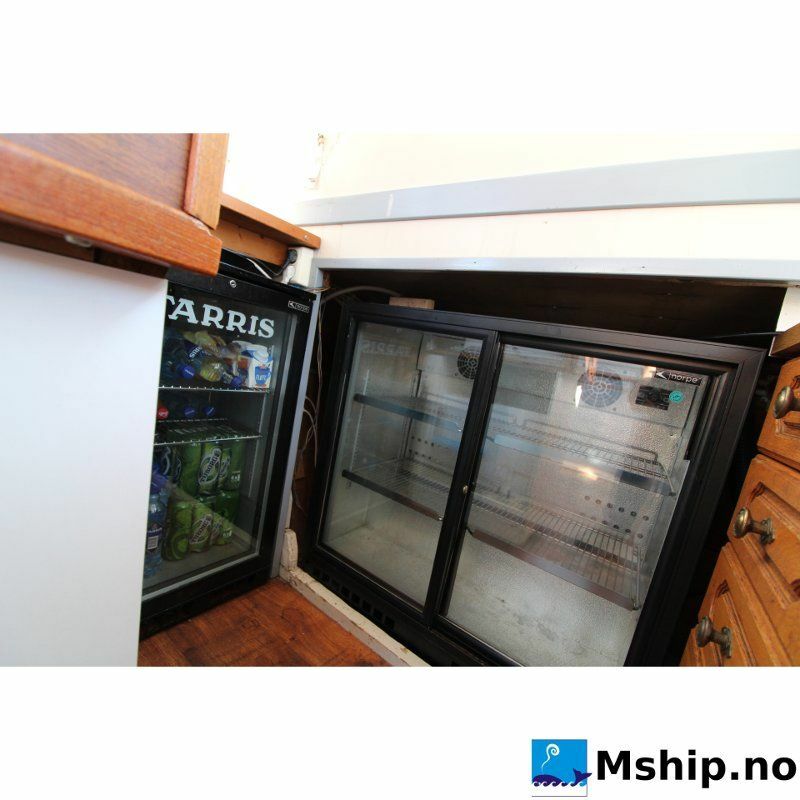 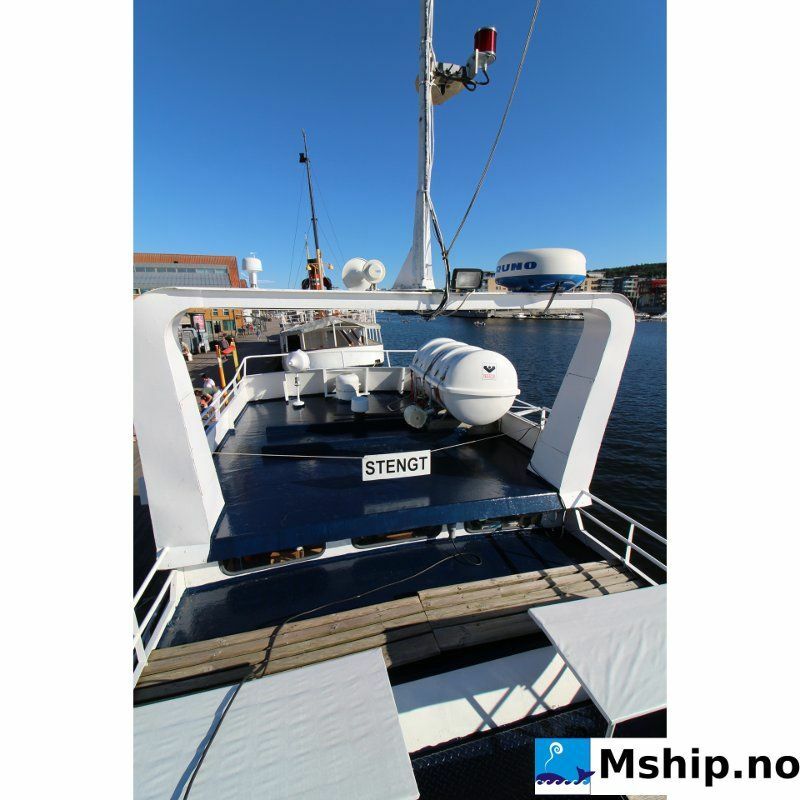 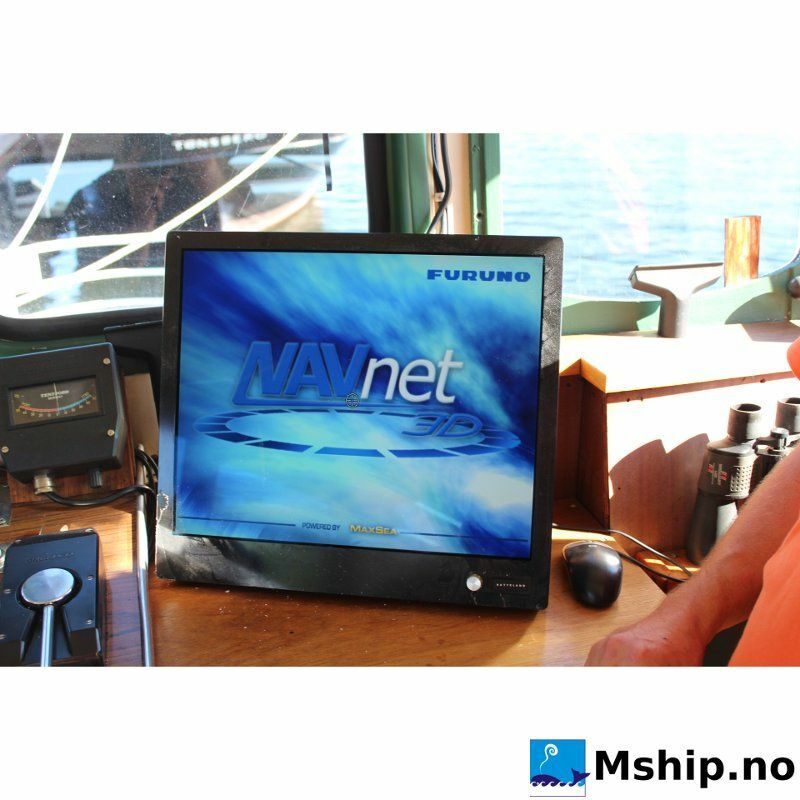 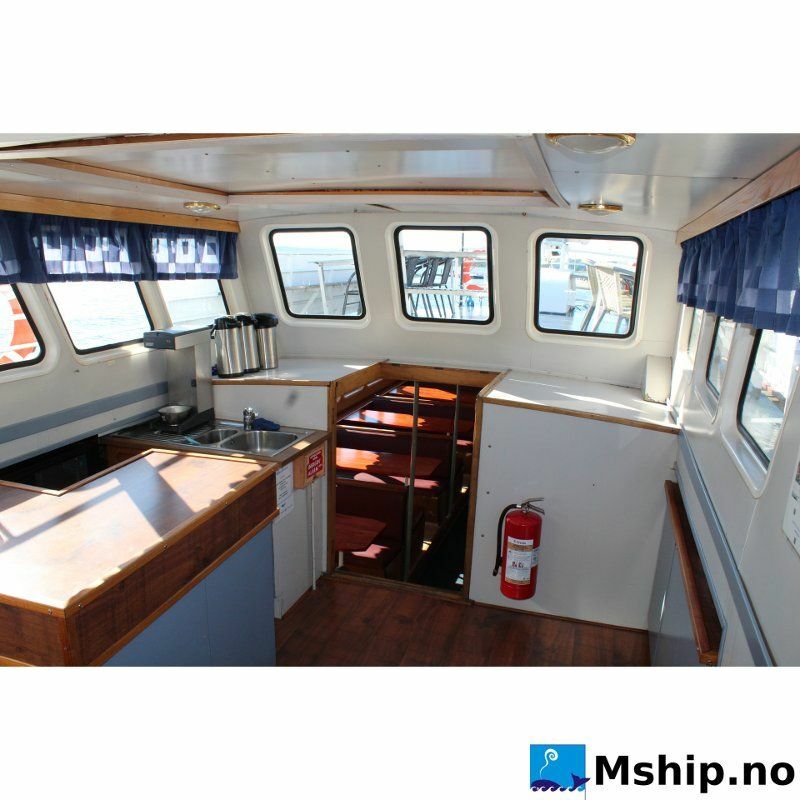 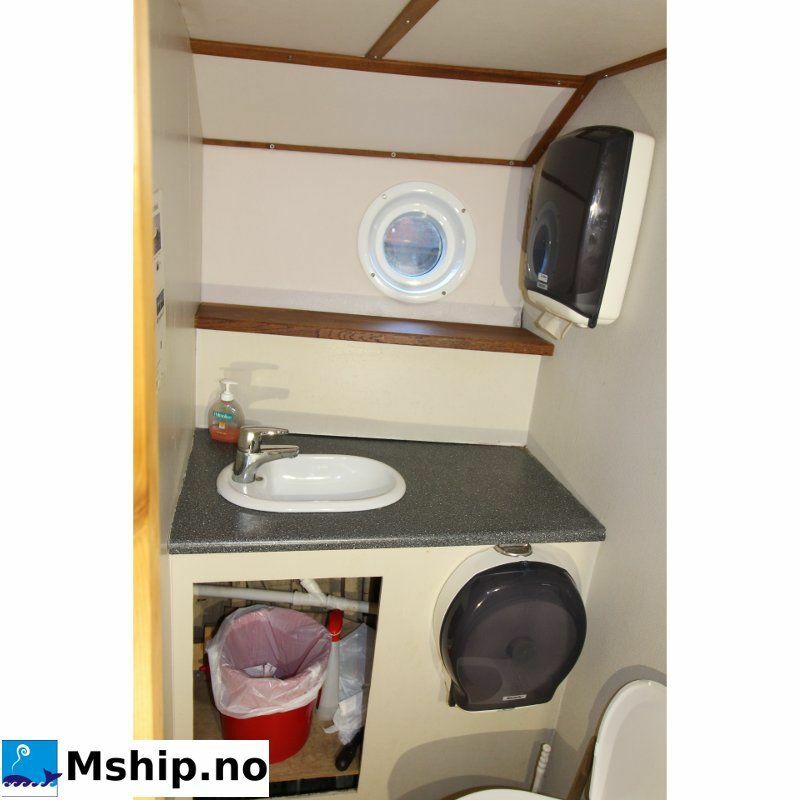 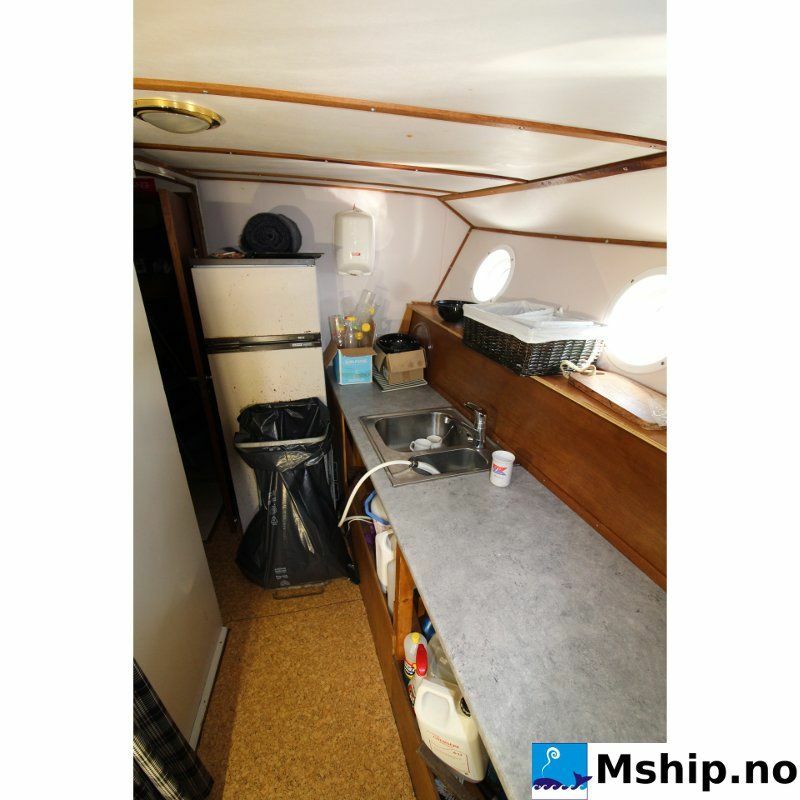 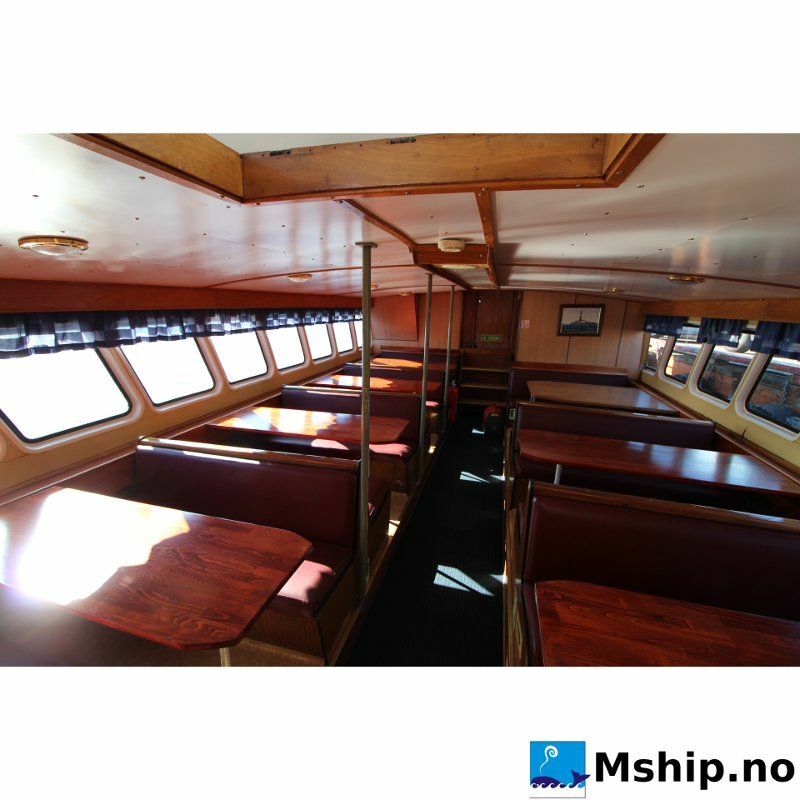 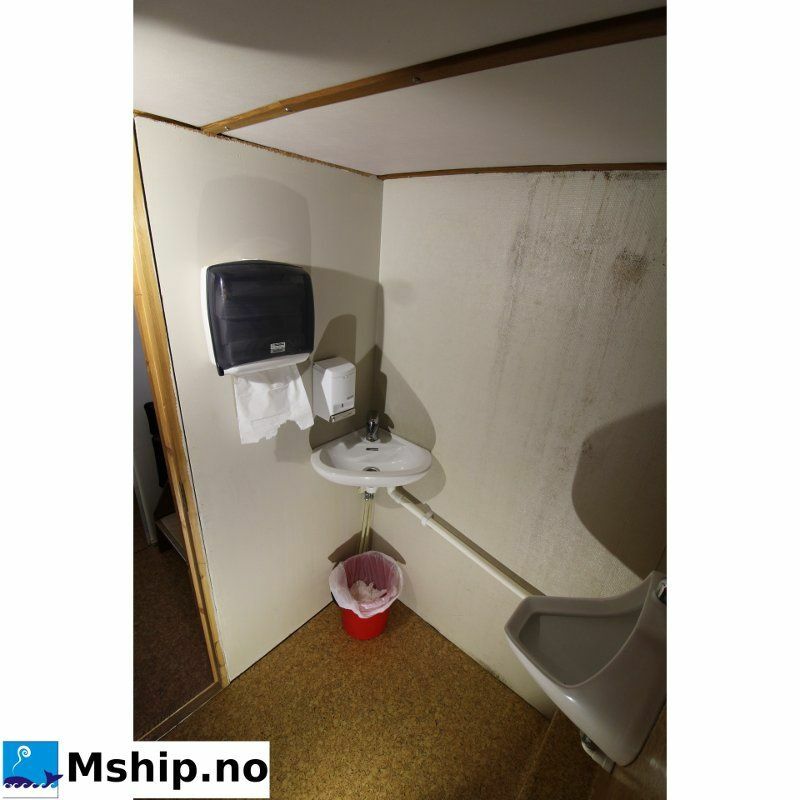 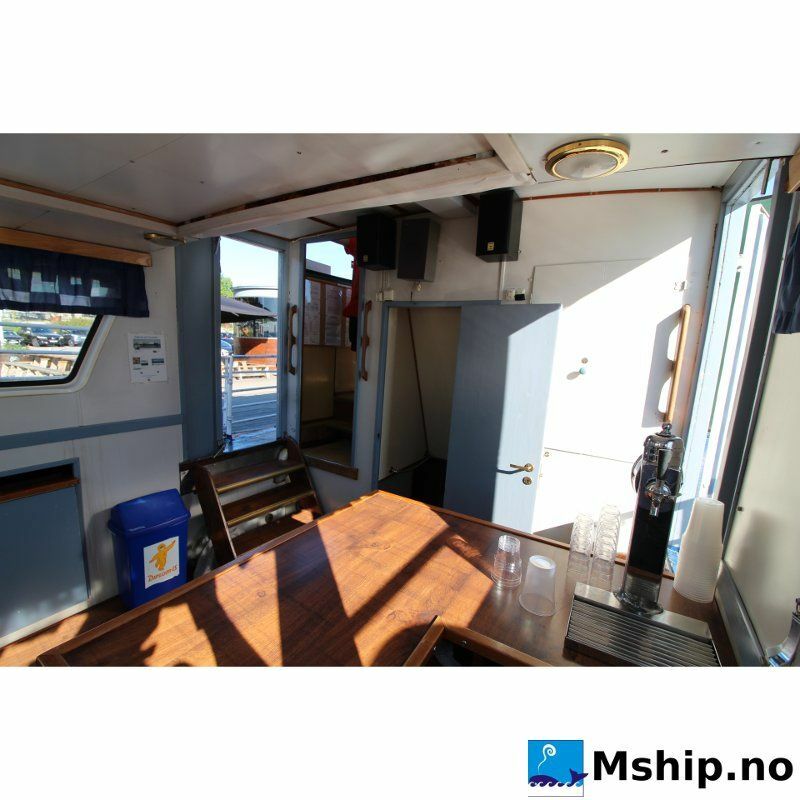 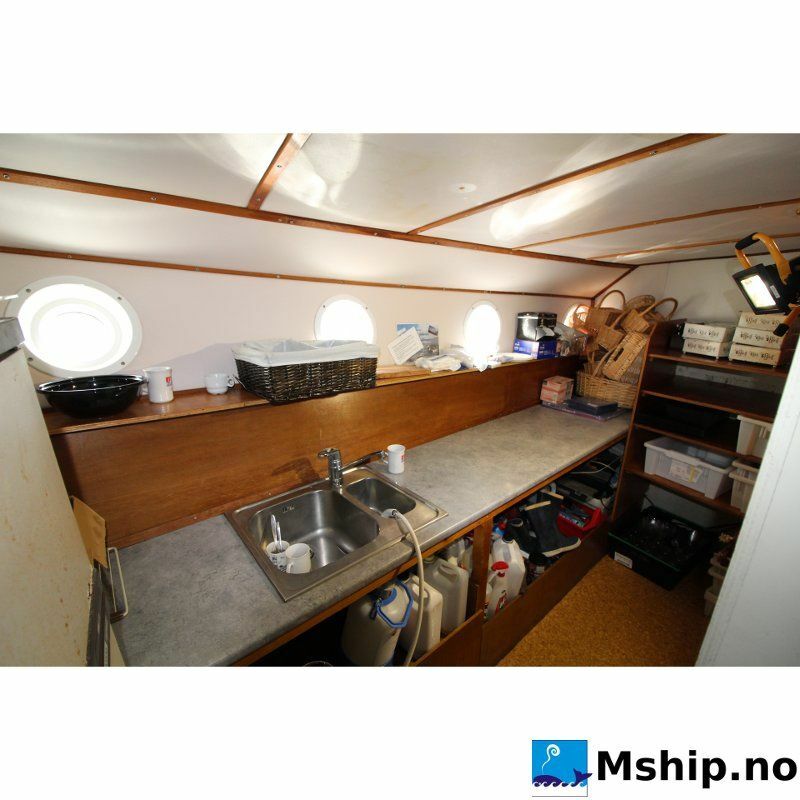 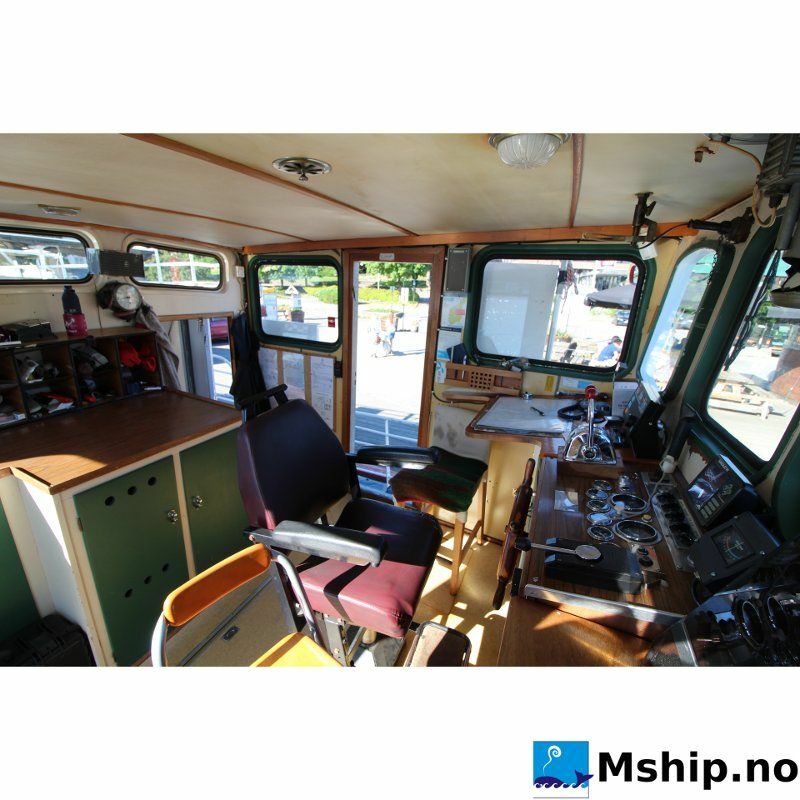 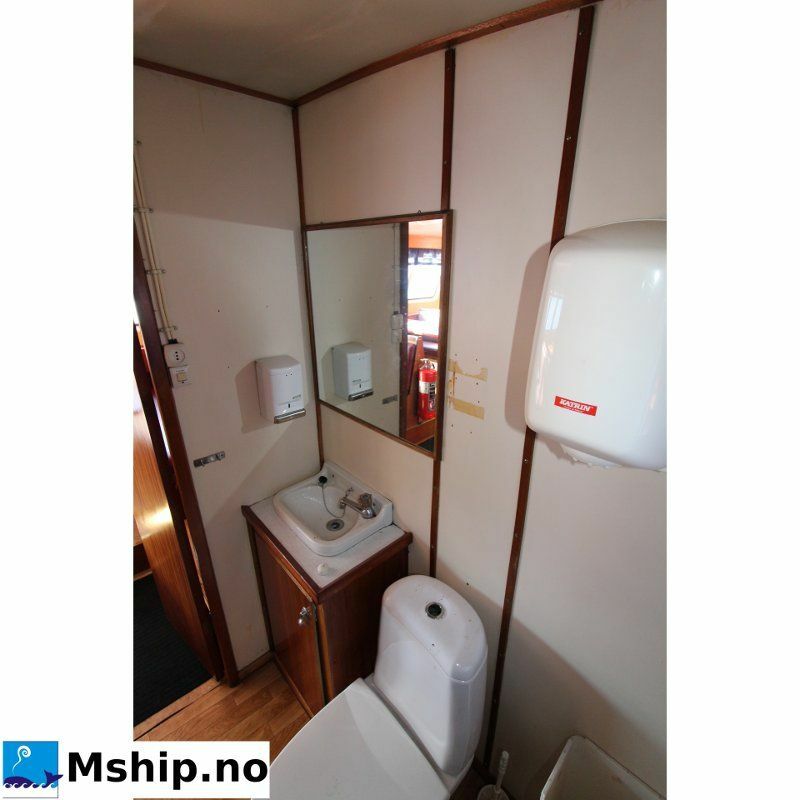 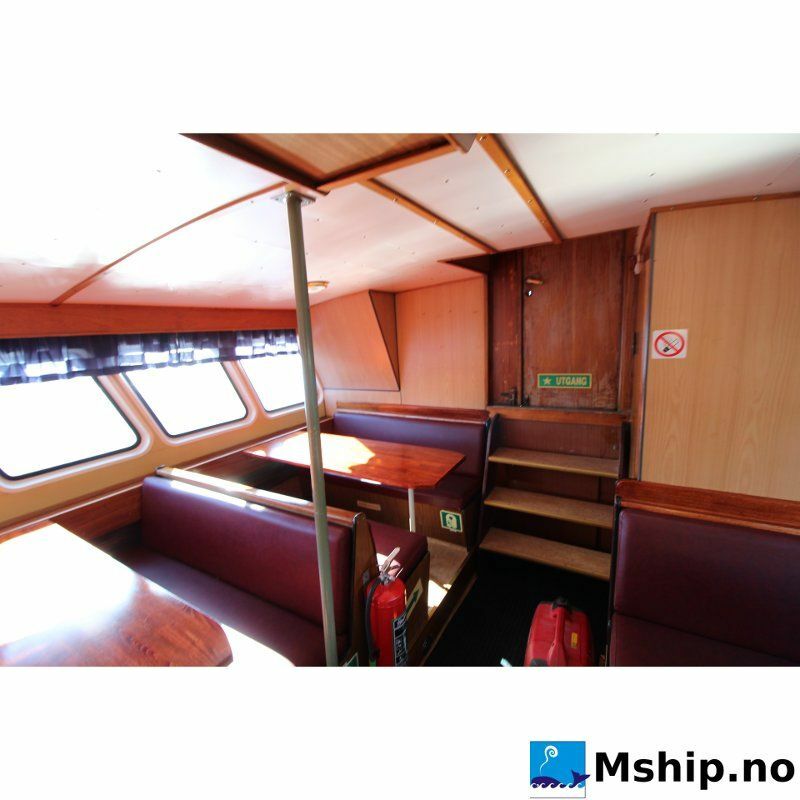 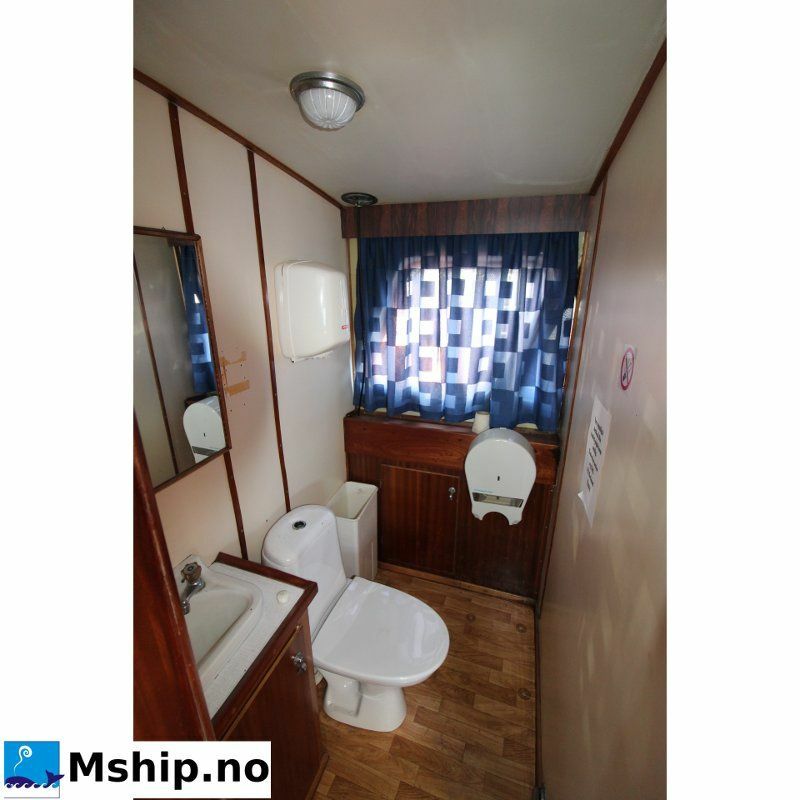 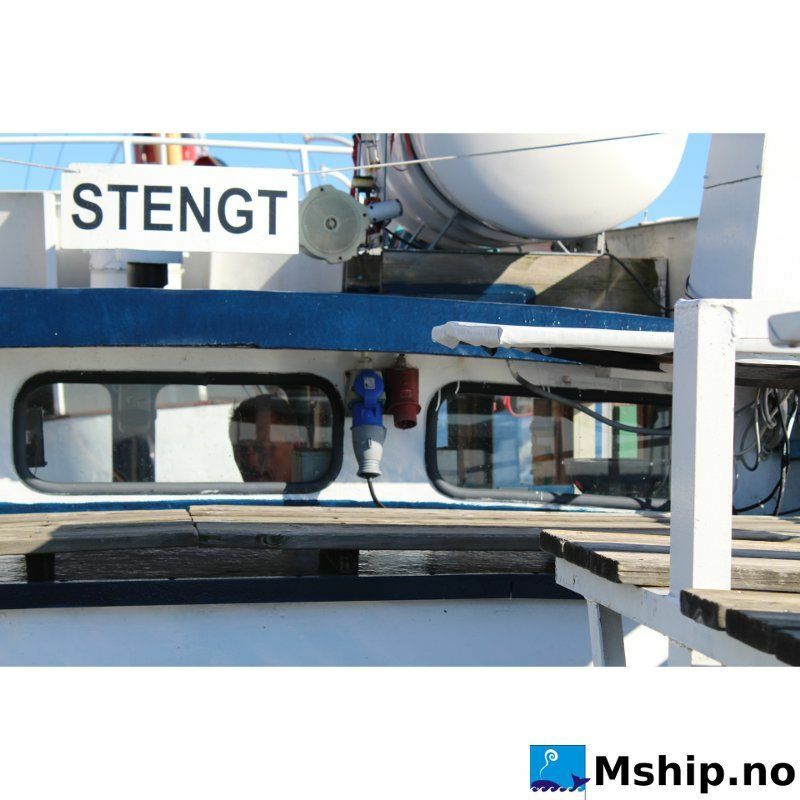 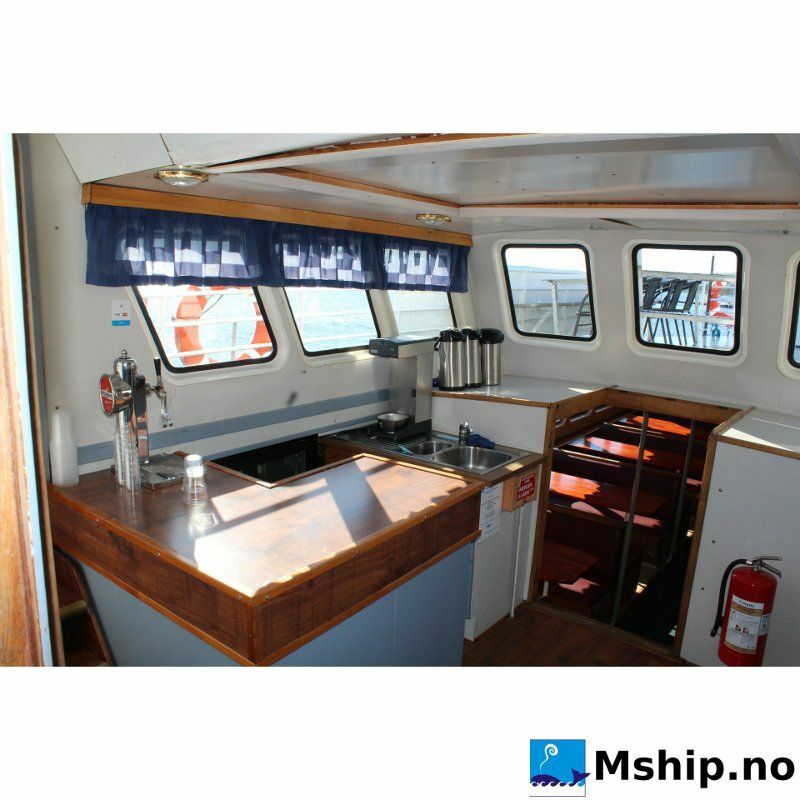 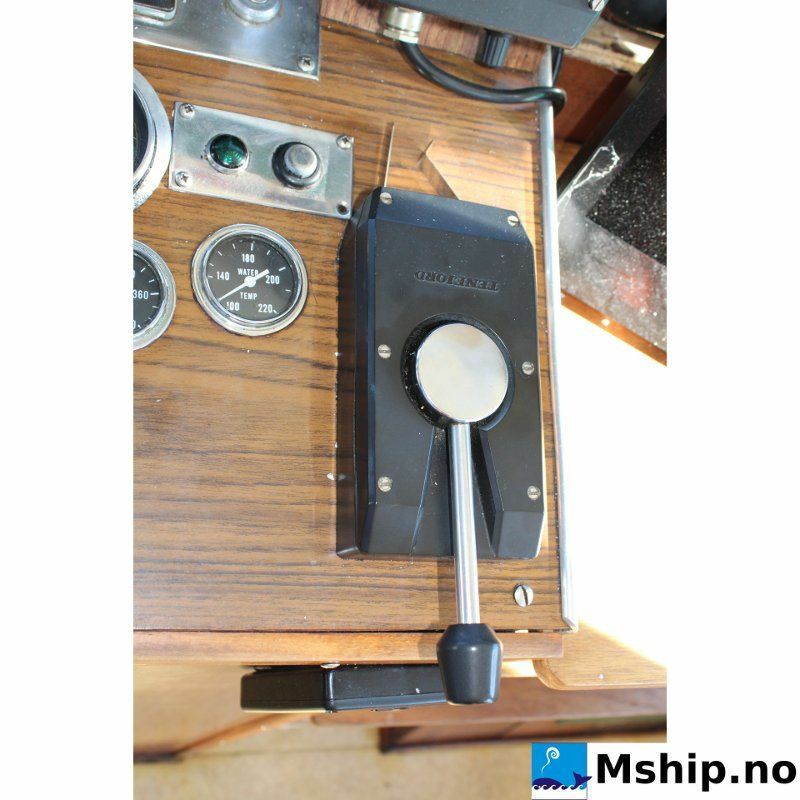 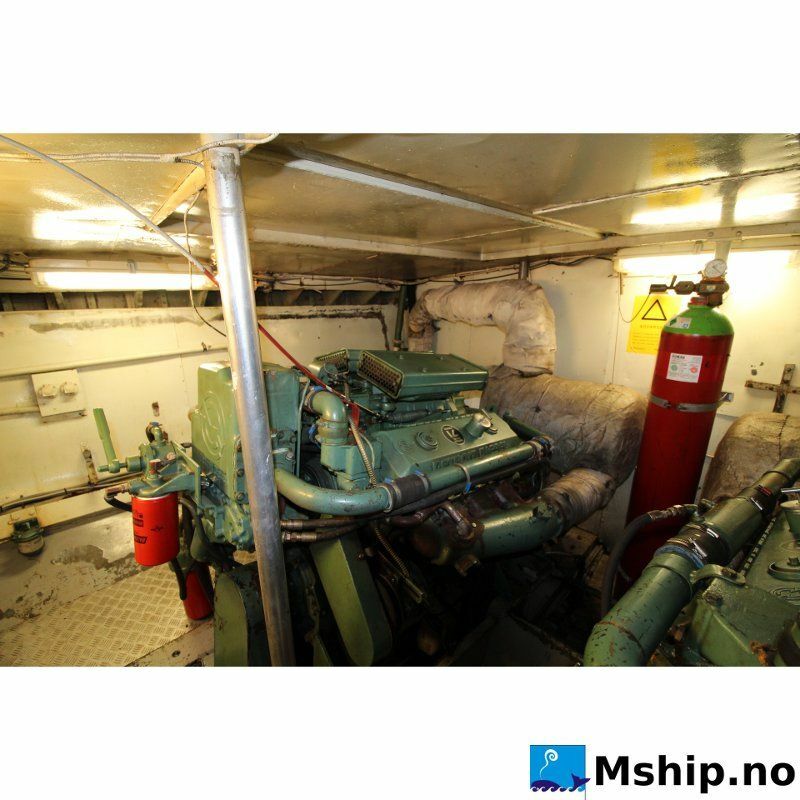 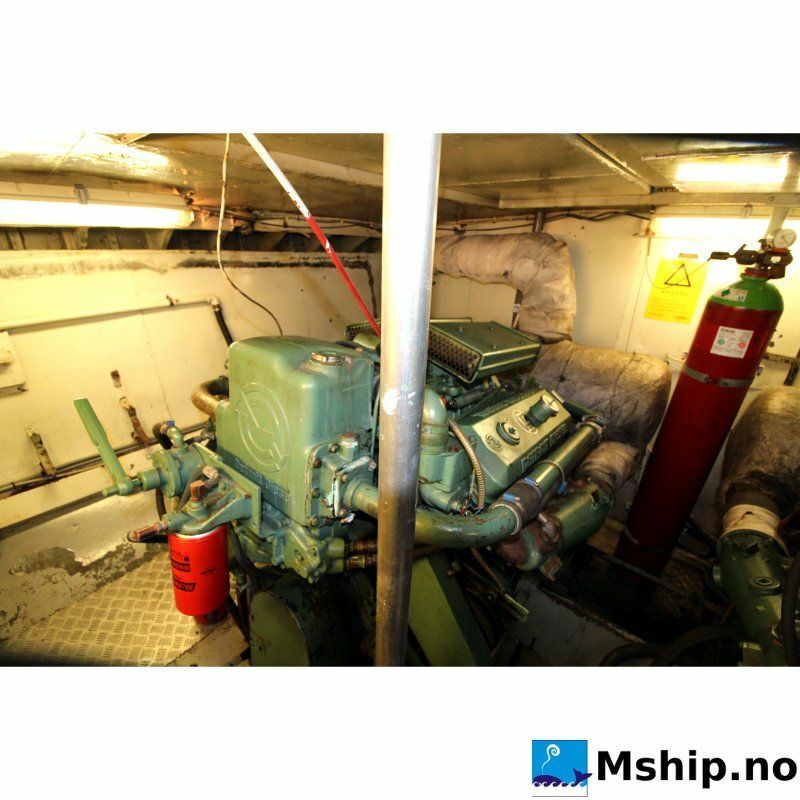 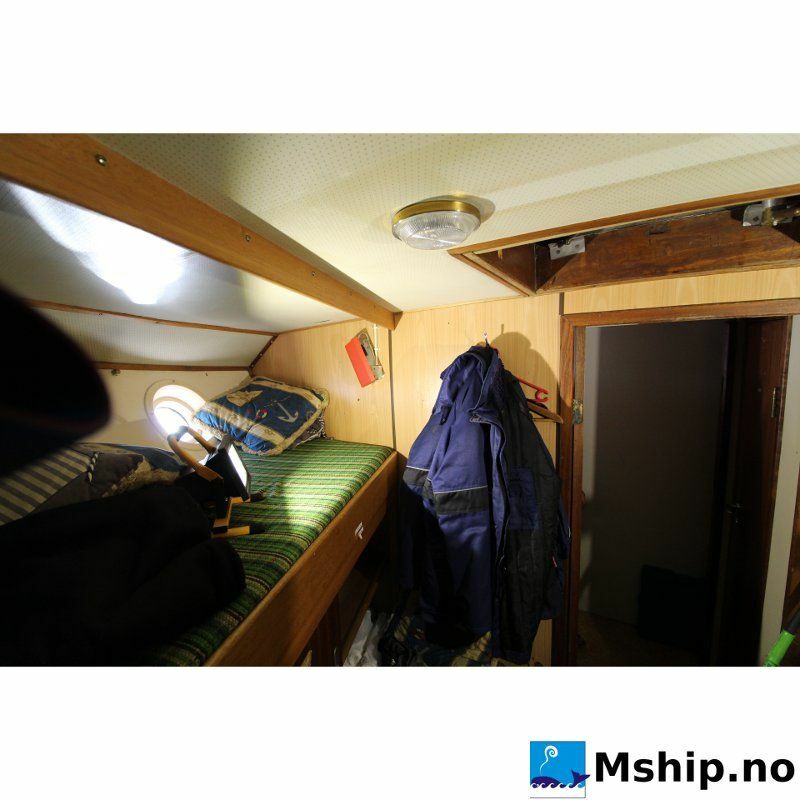 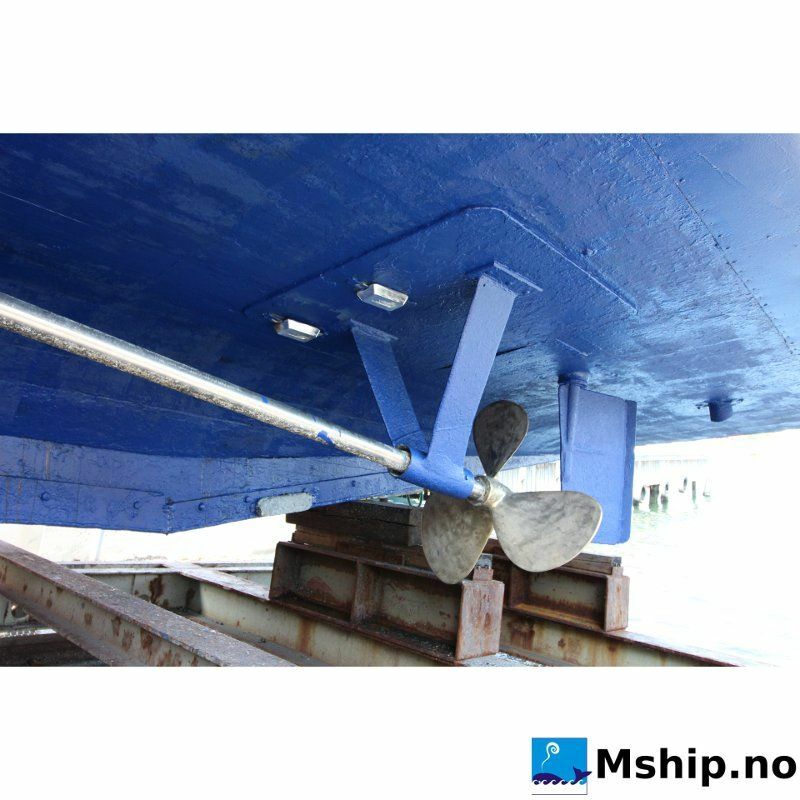 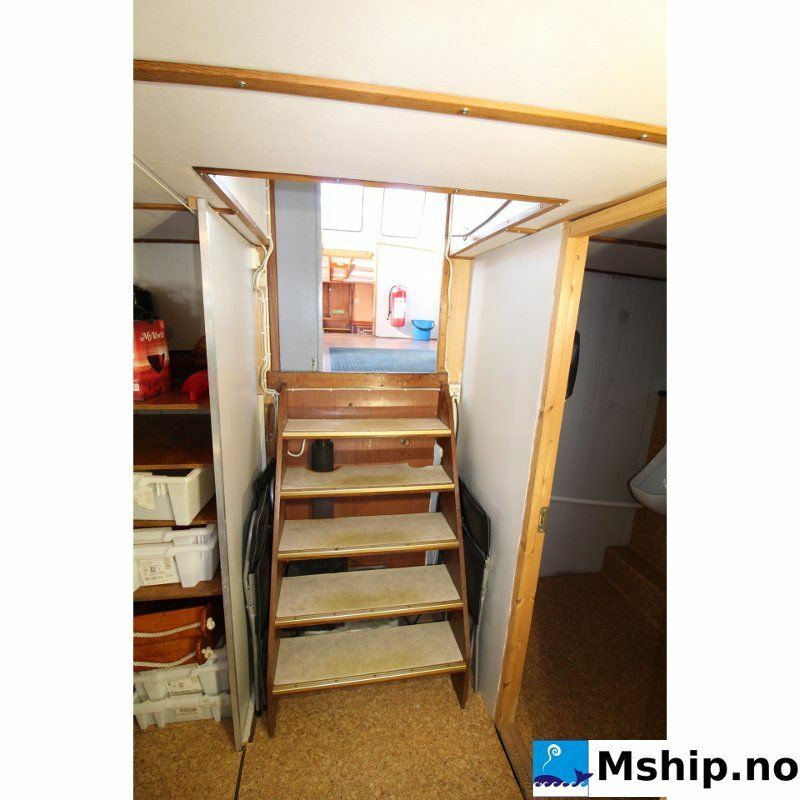 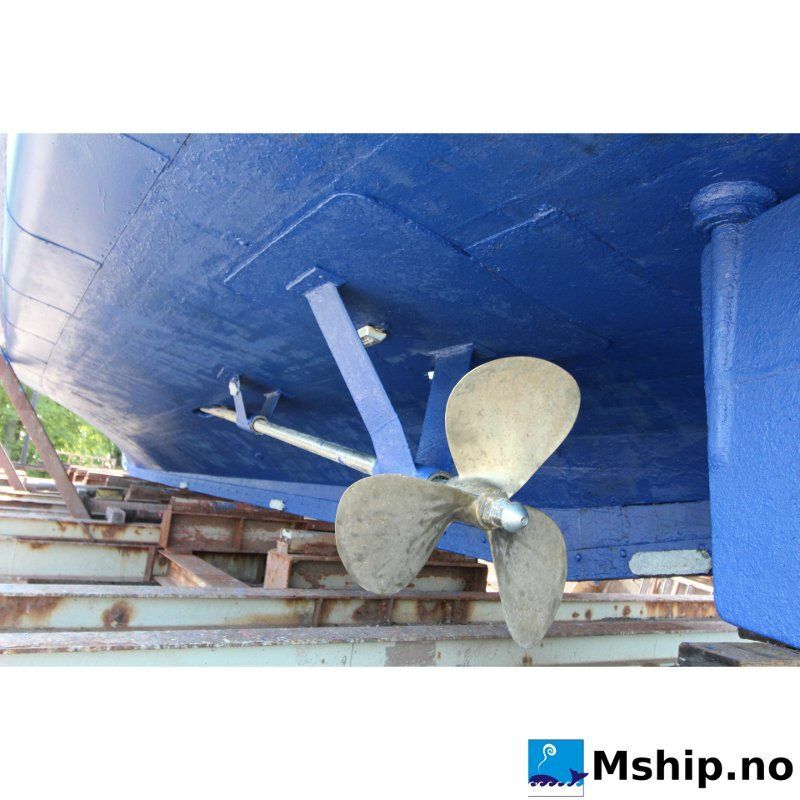 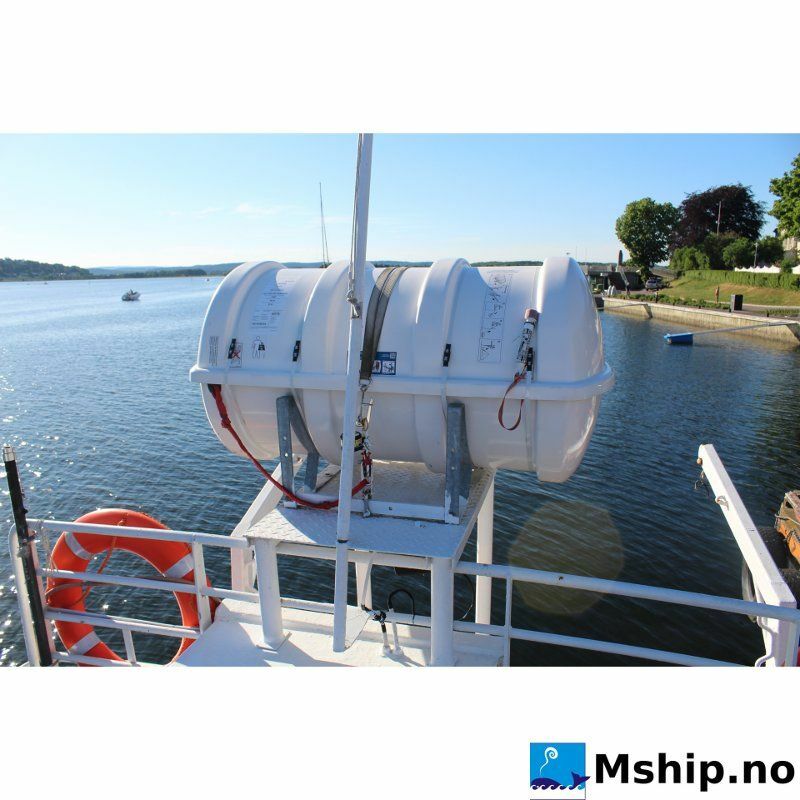 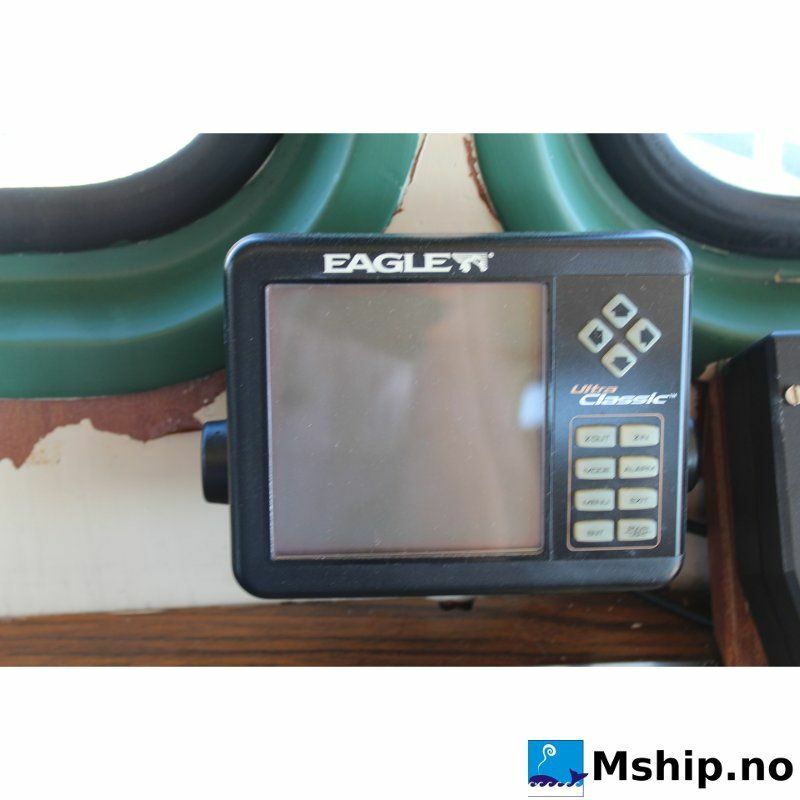 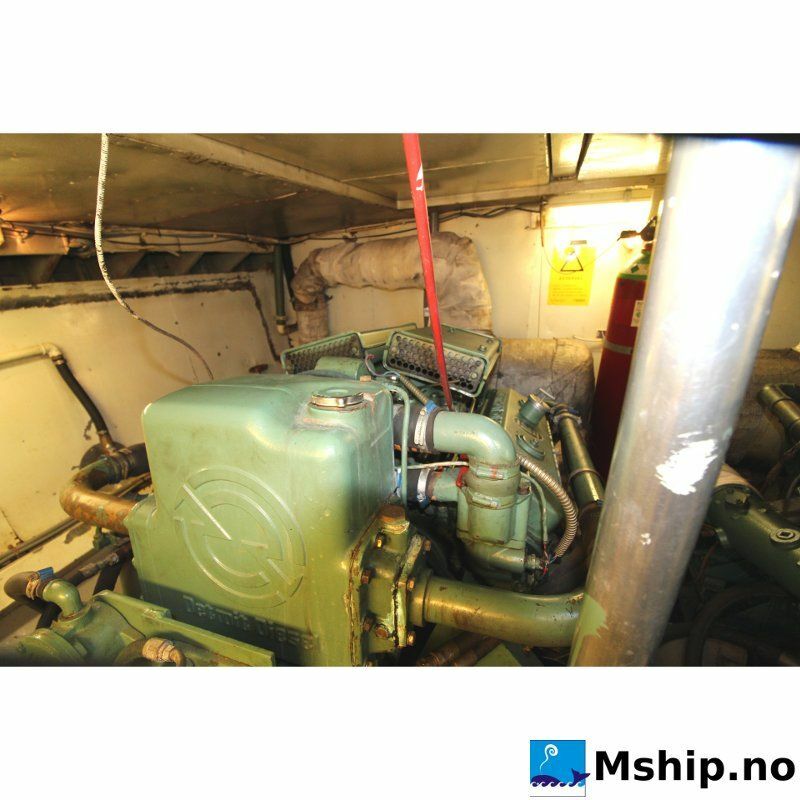 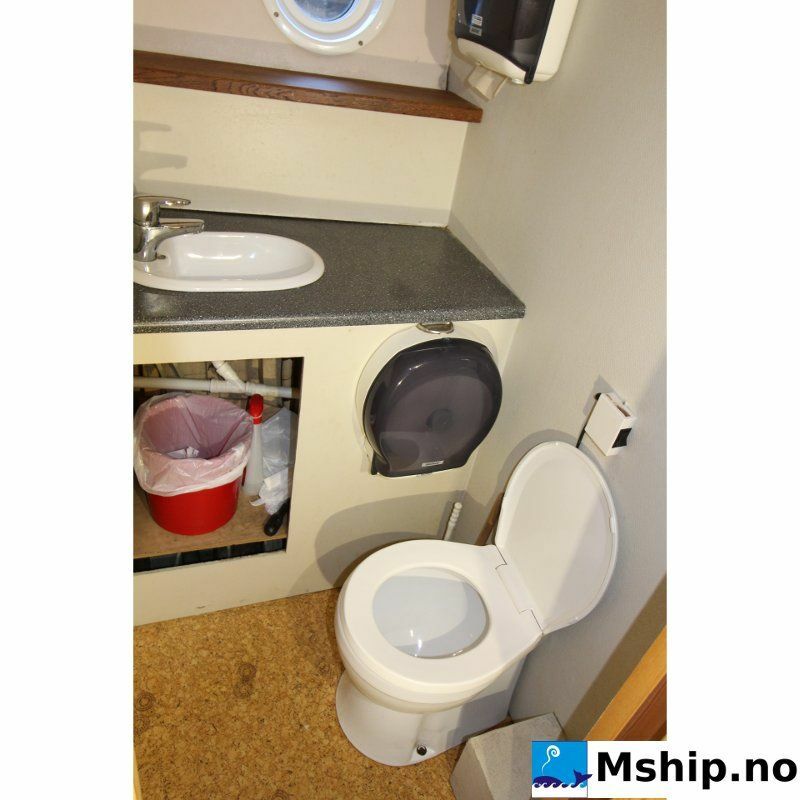 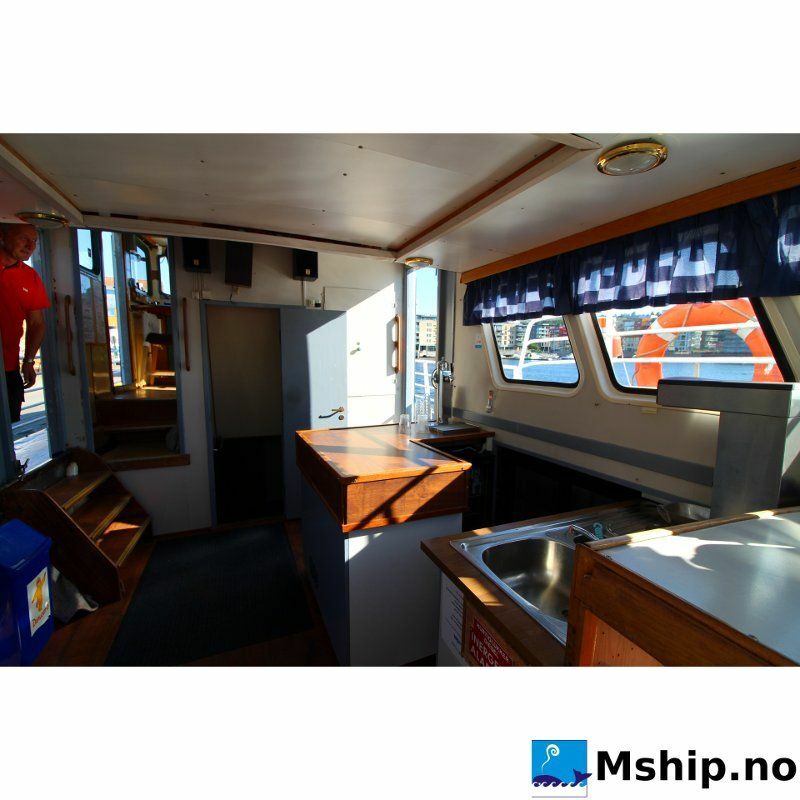 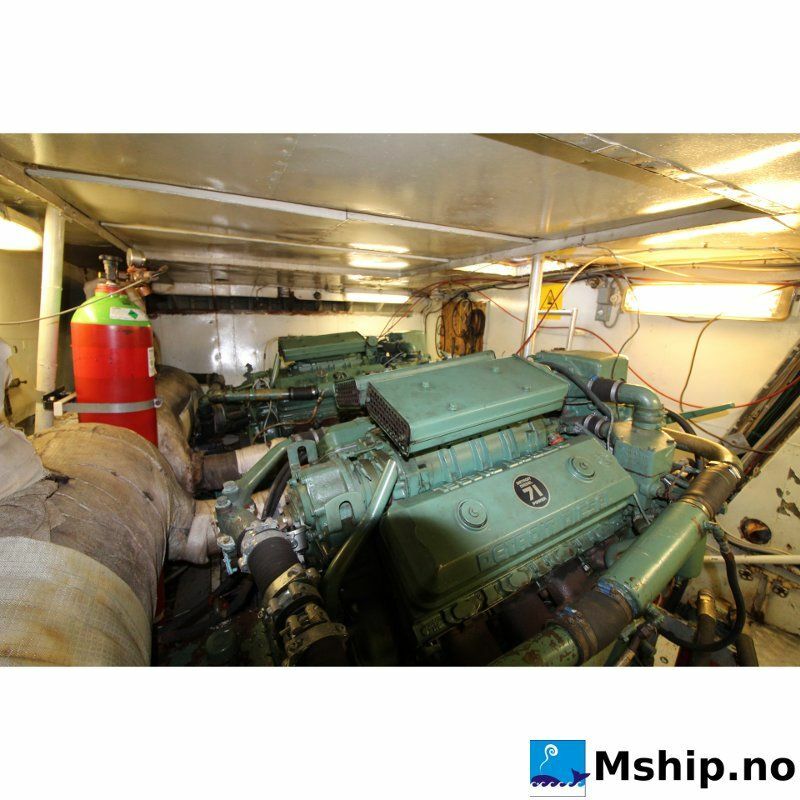 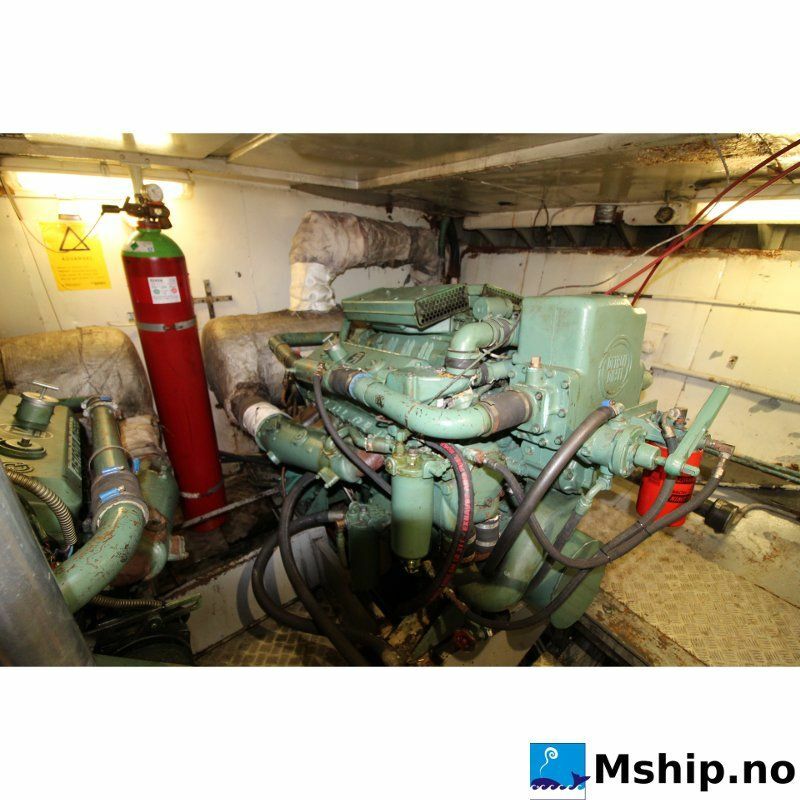 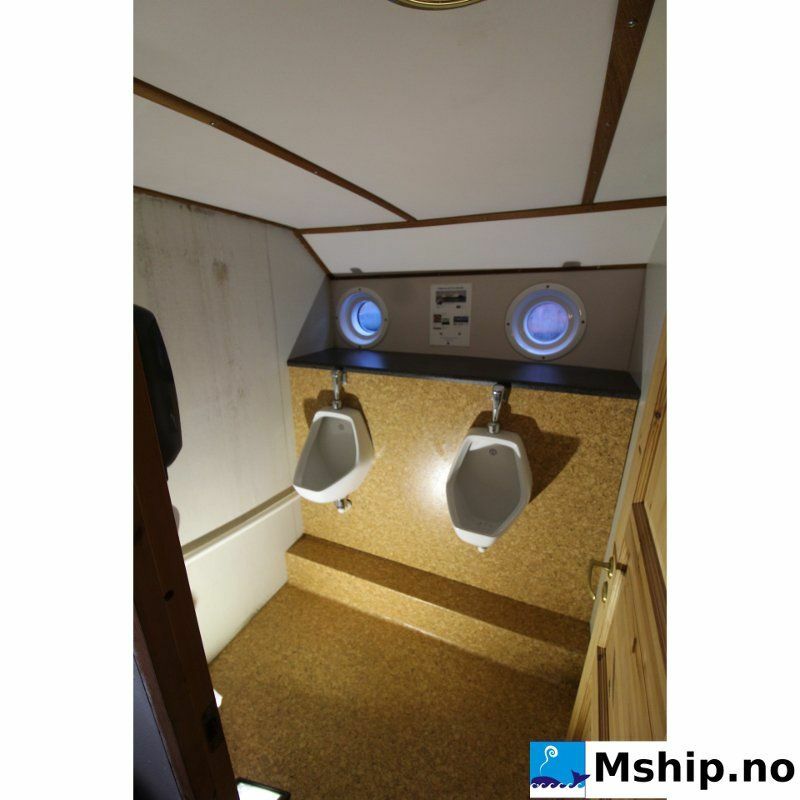 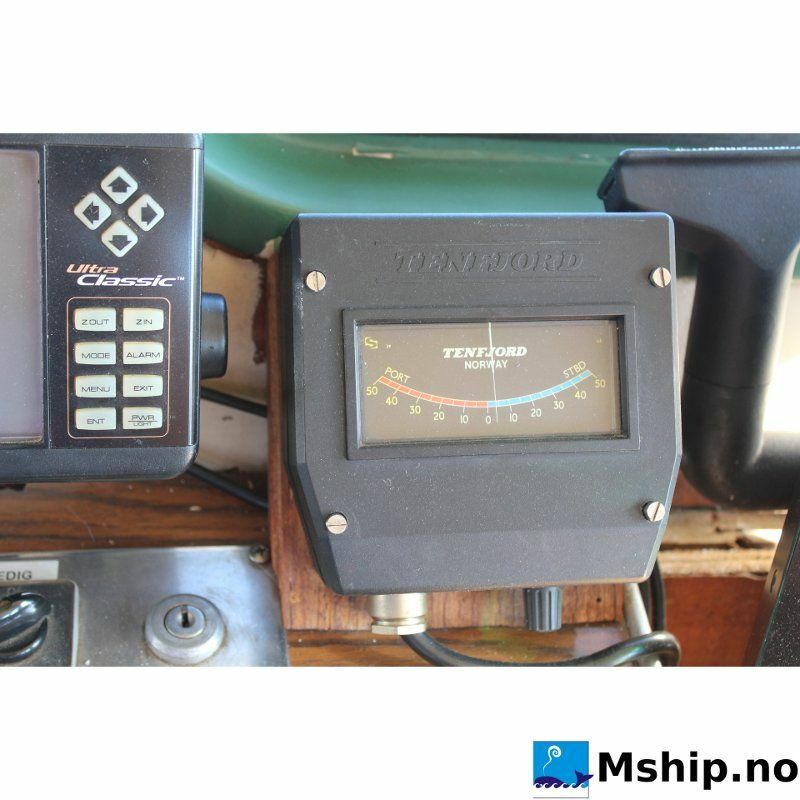 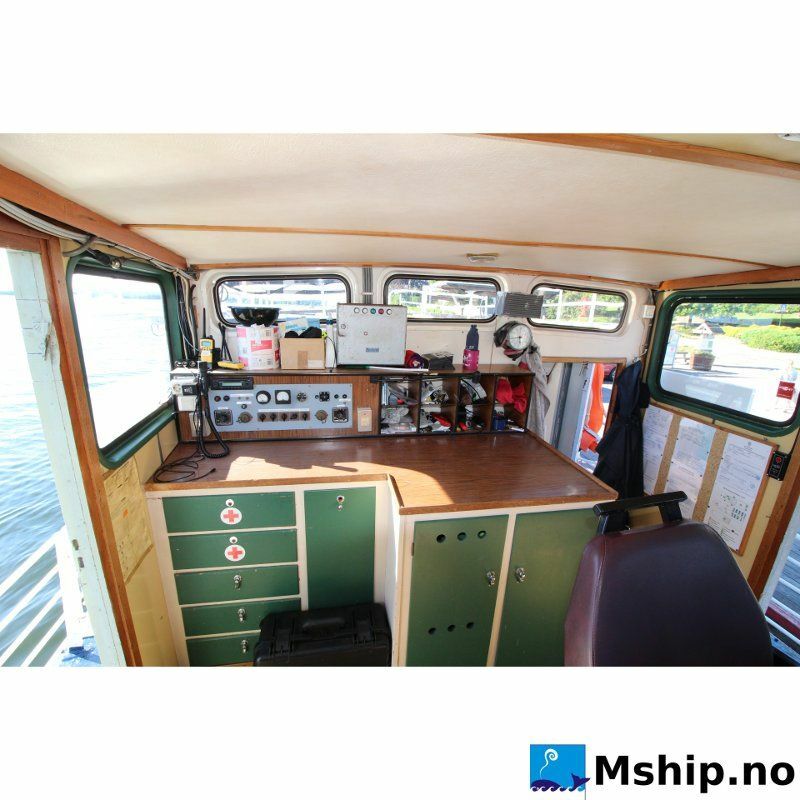 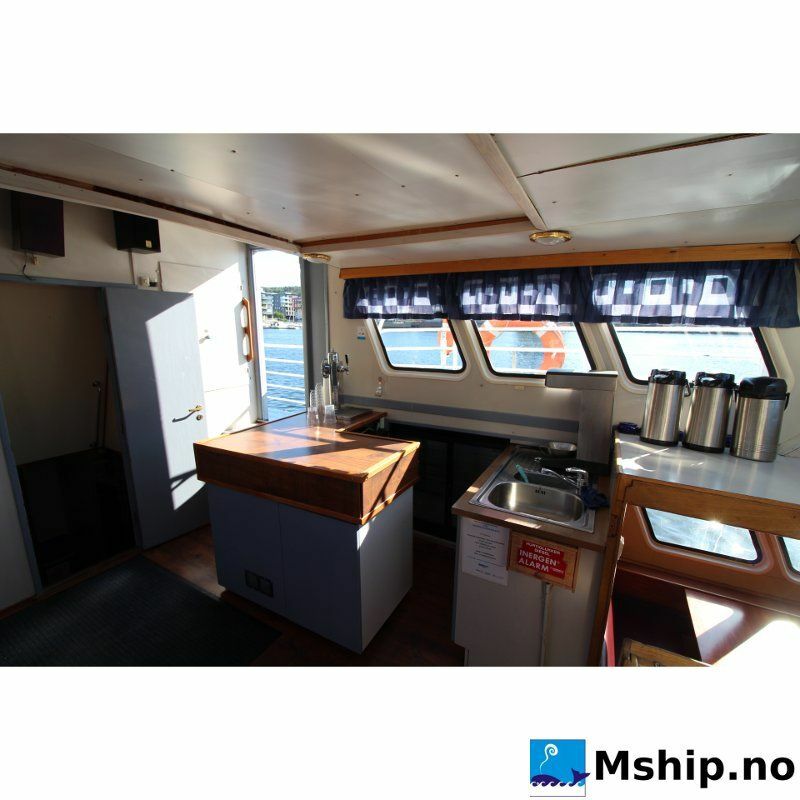 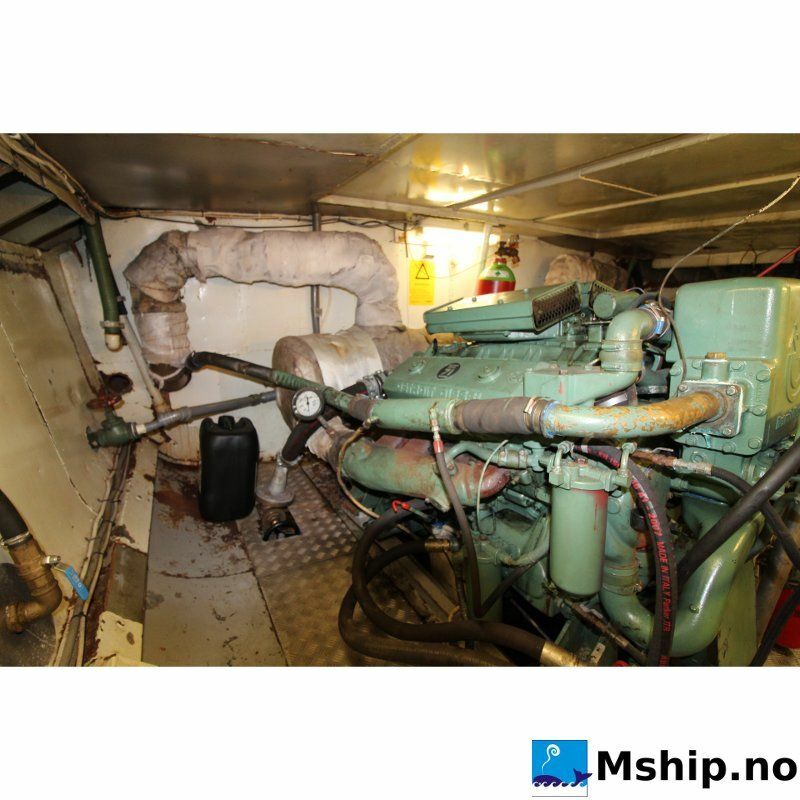 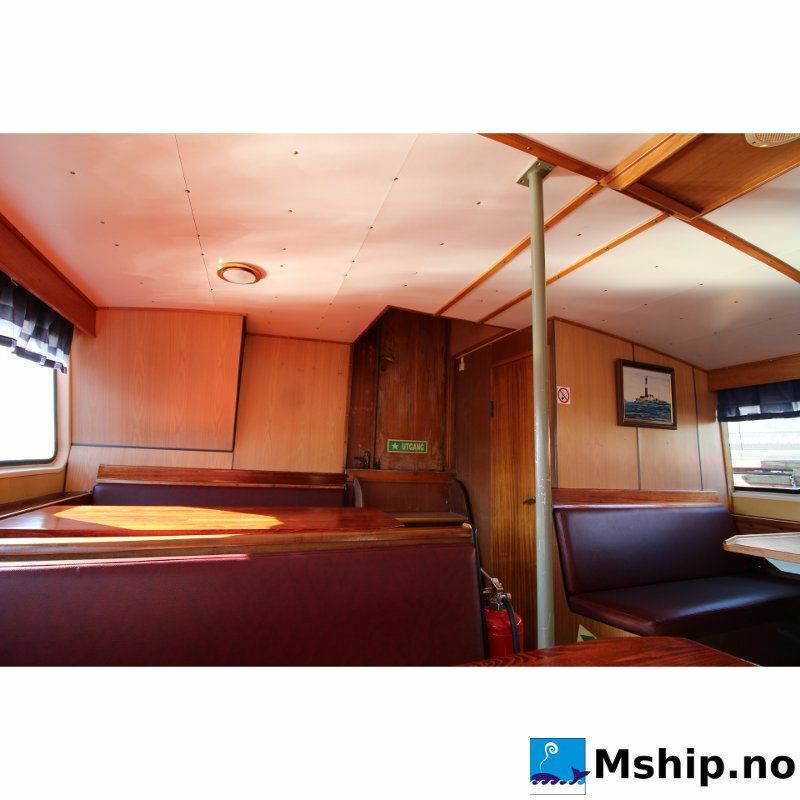 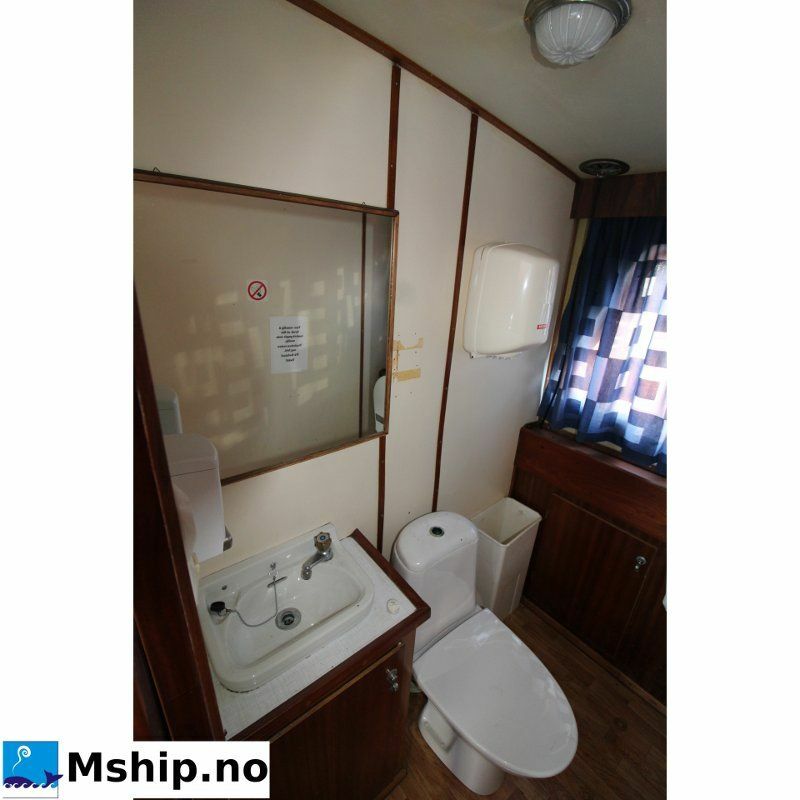 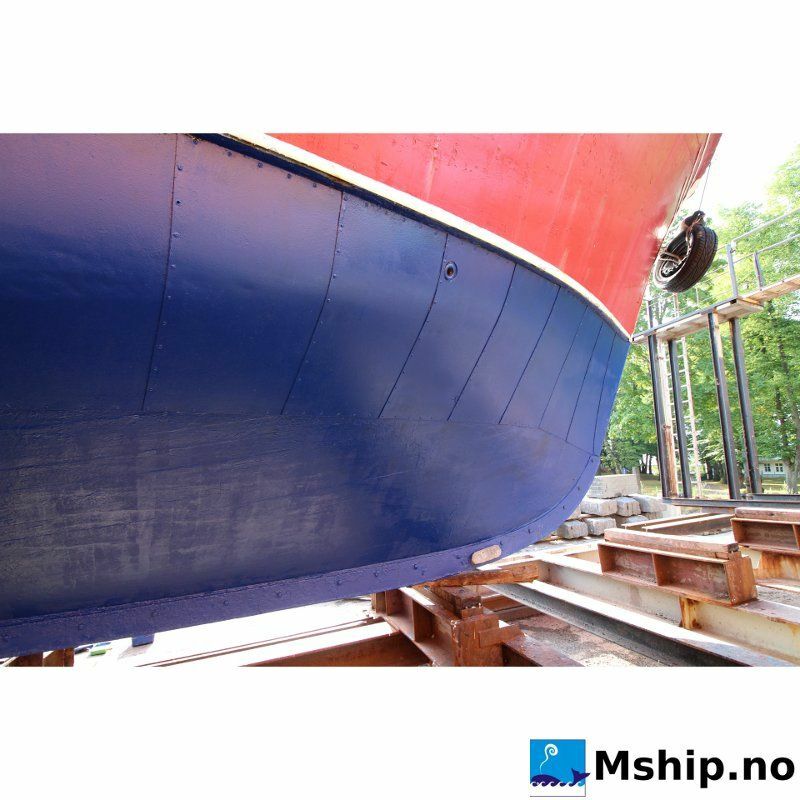 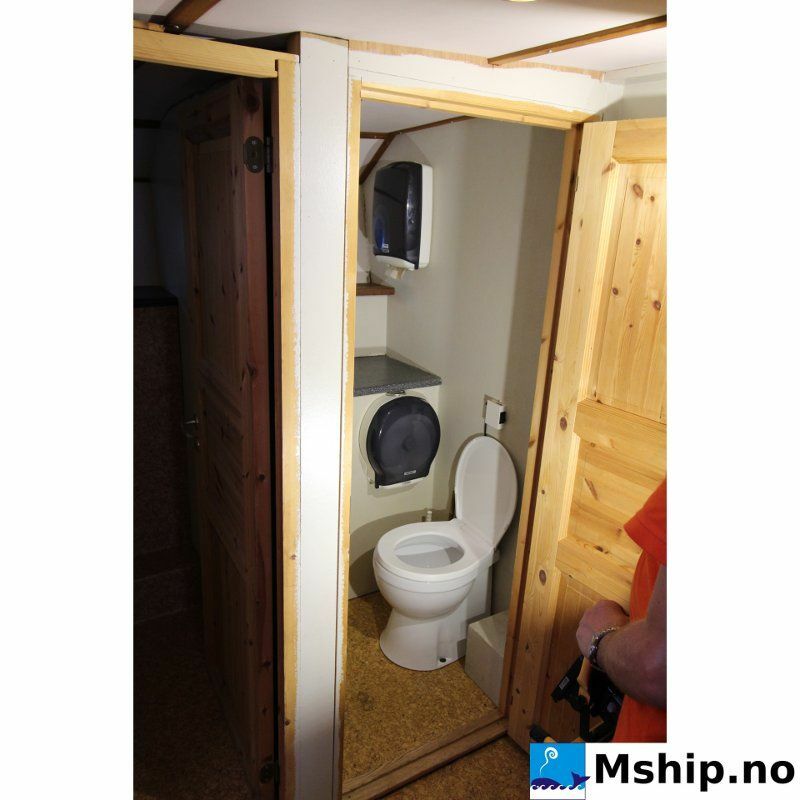 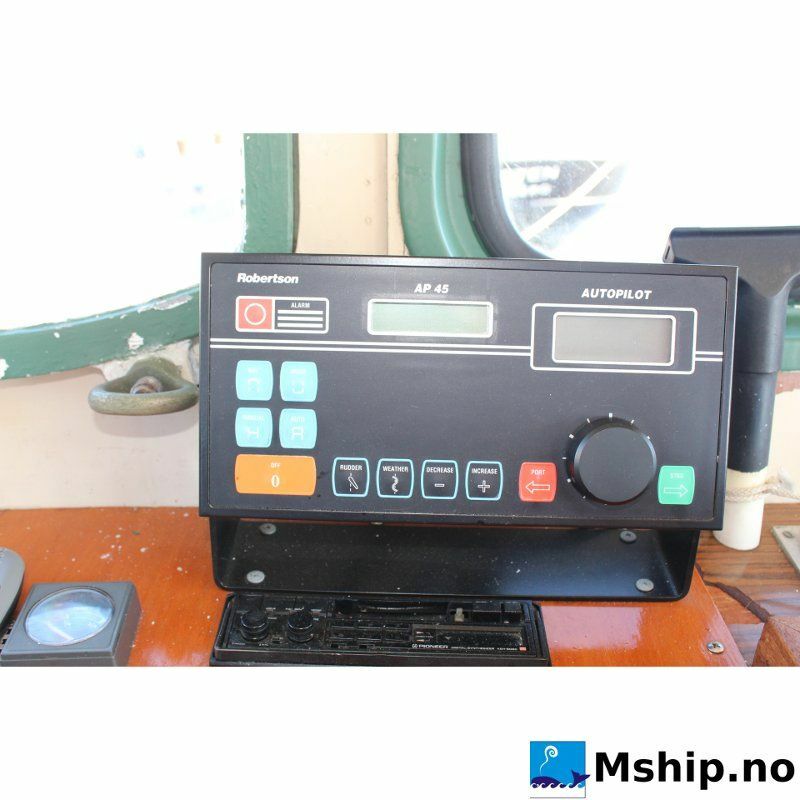 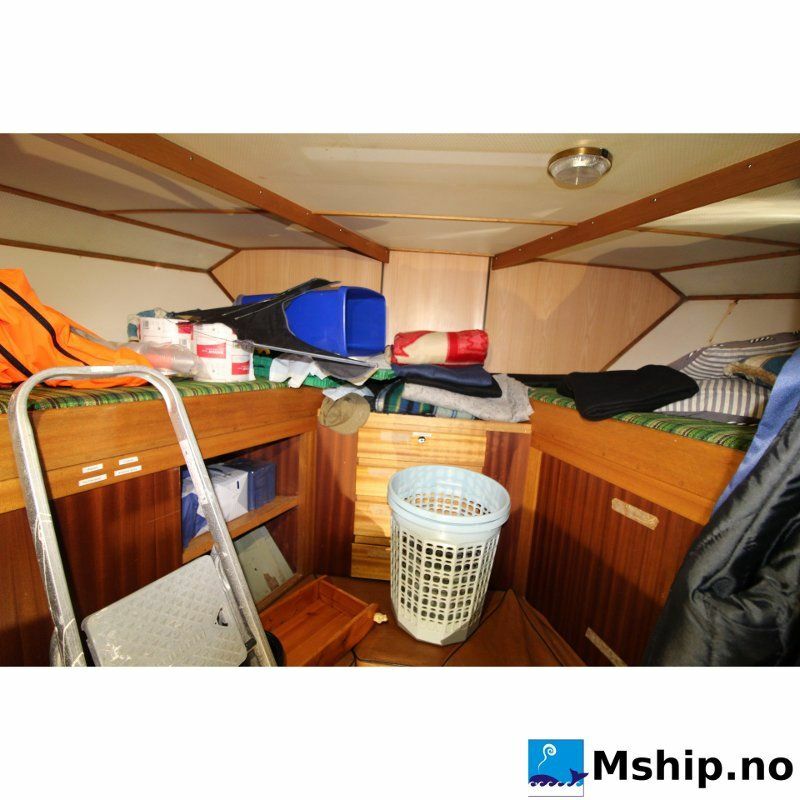 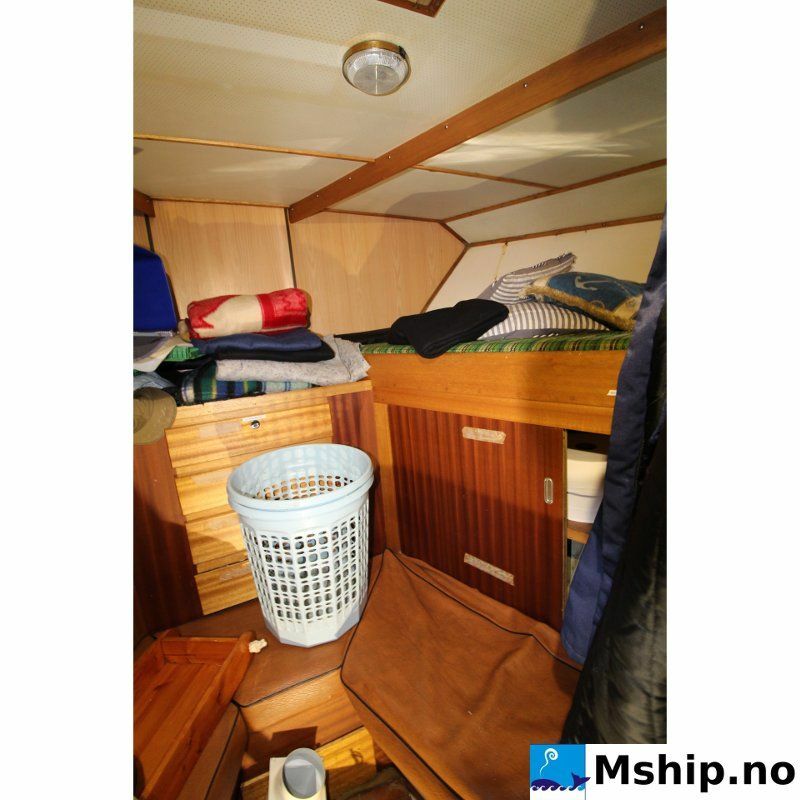 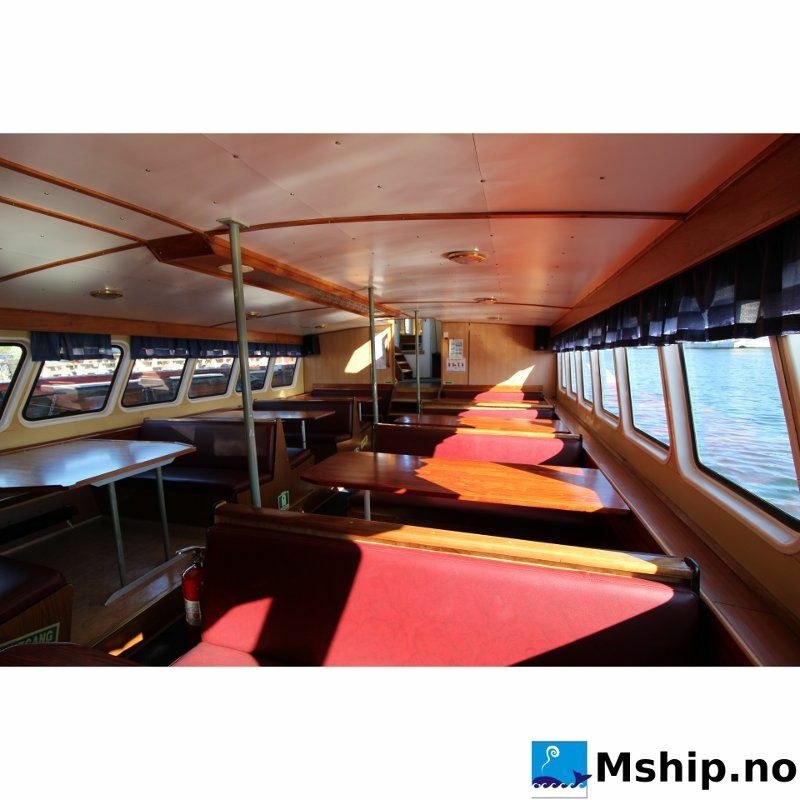 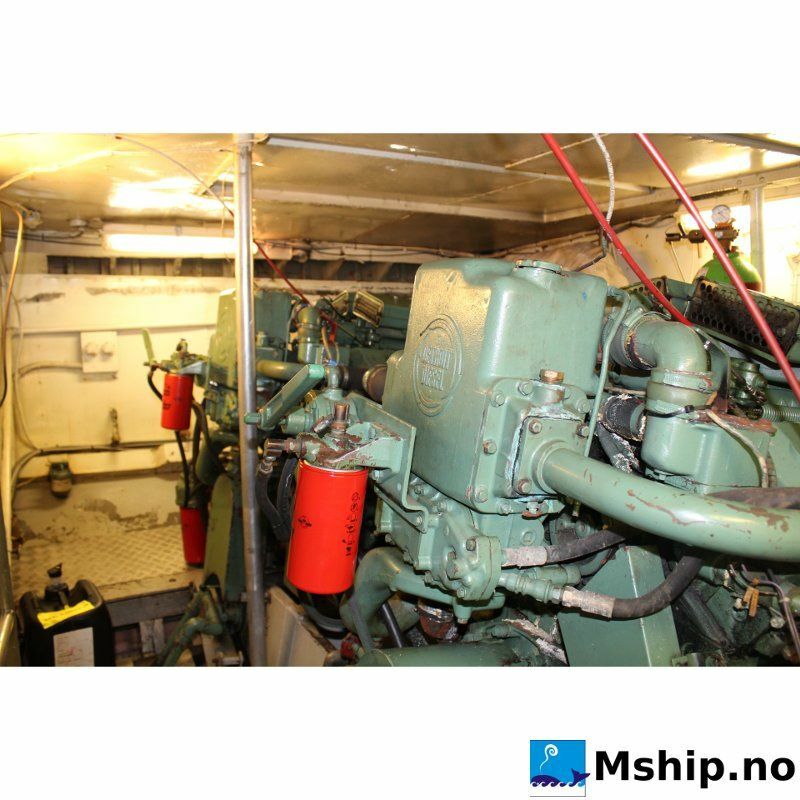 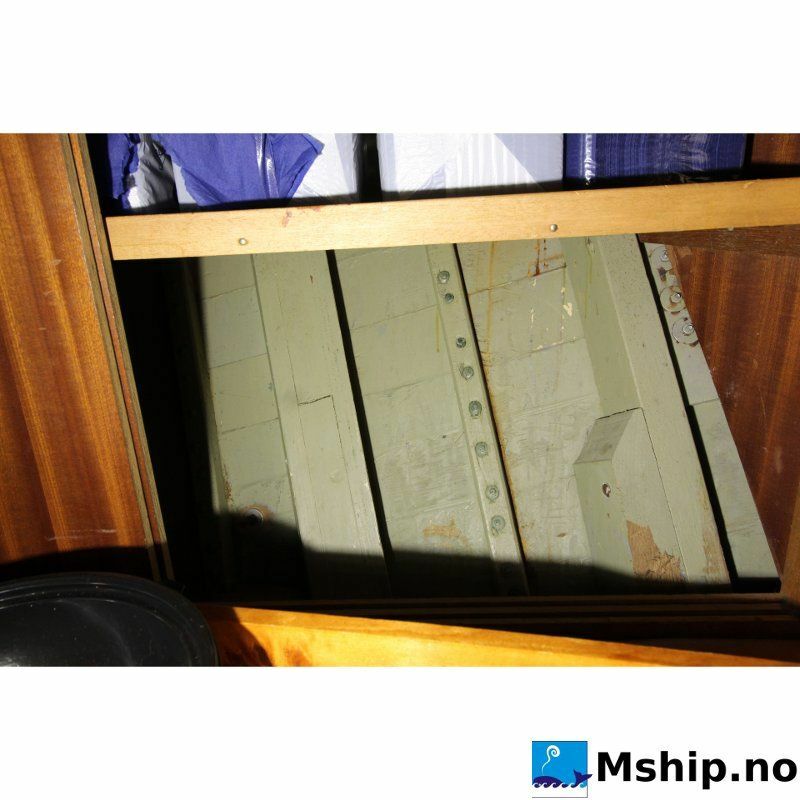 She has a galley suited for serving seafood and shrimps. 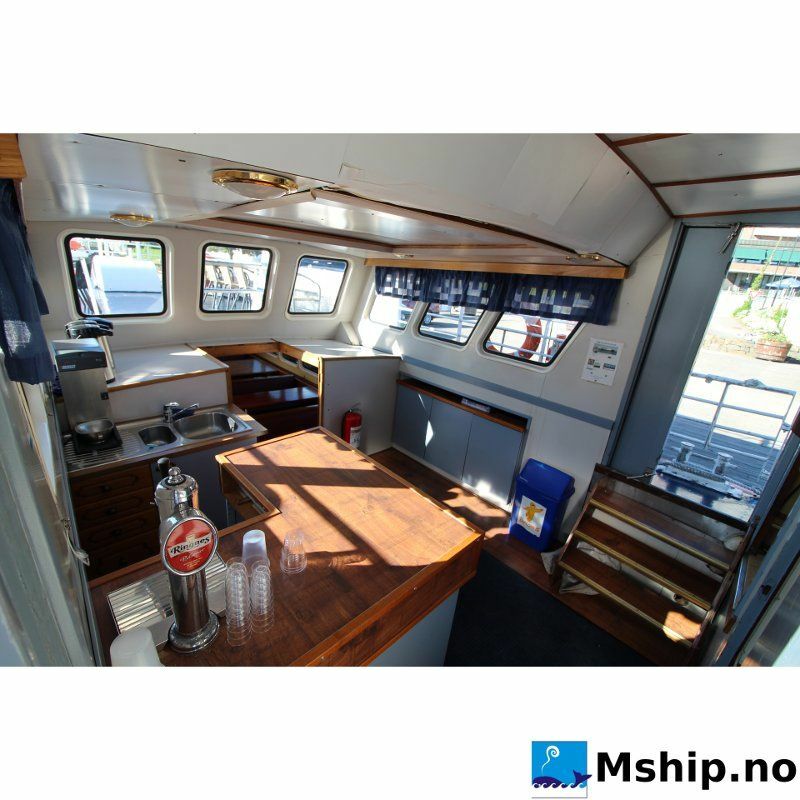 In the bar area there is refrigerators and facilities for cold beverage in bottles and Draft beer. 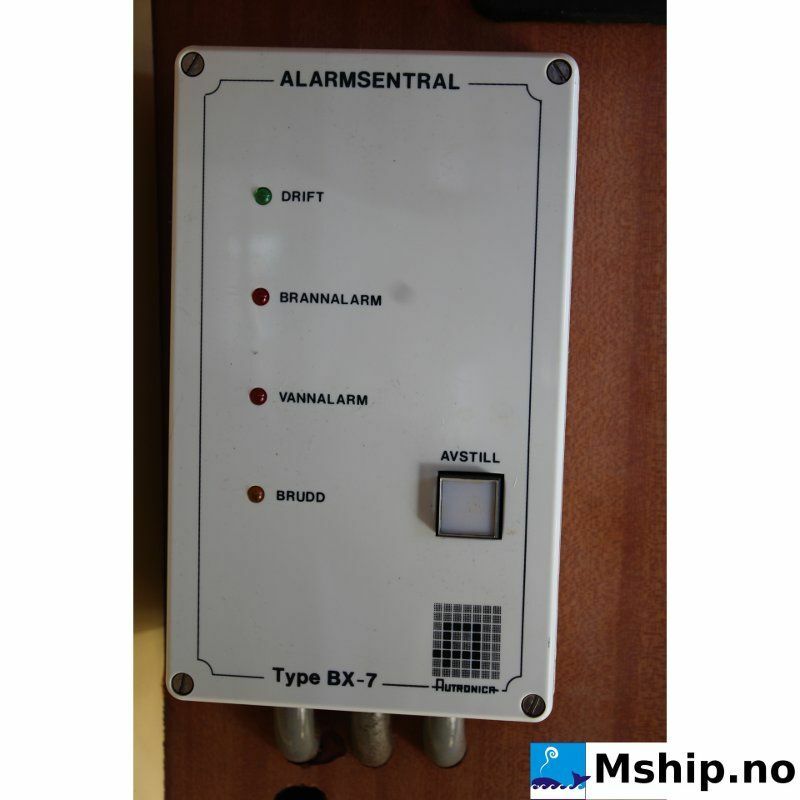 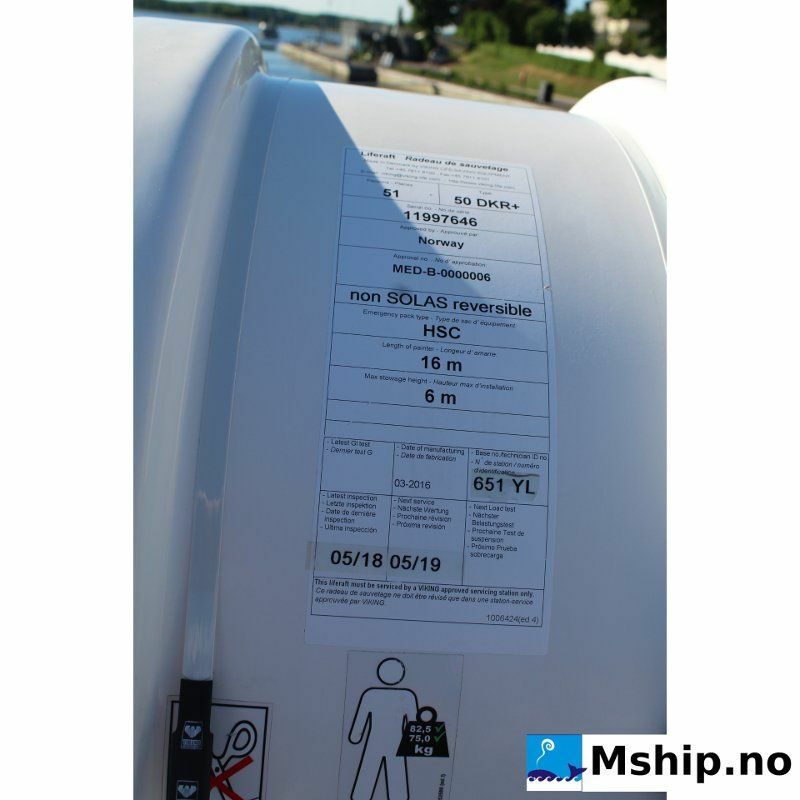 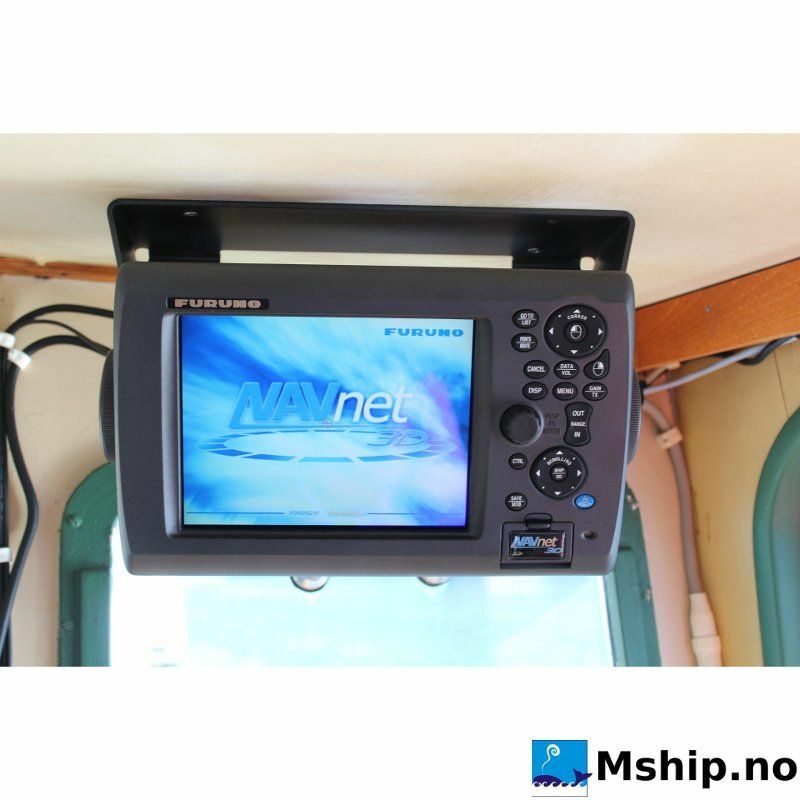 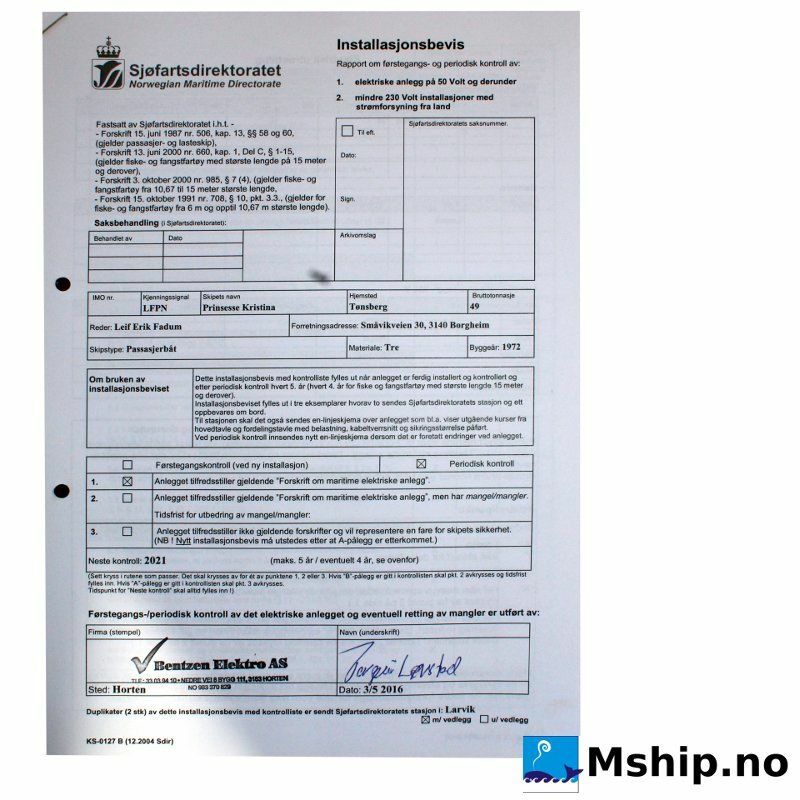 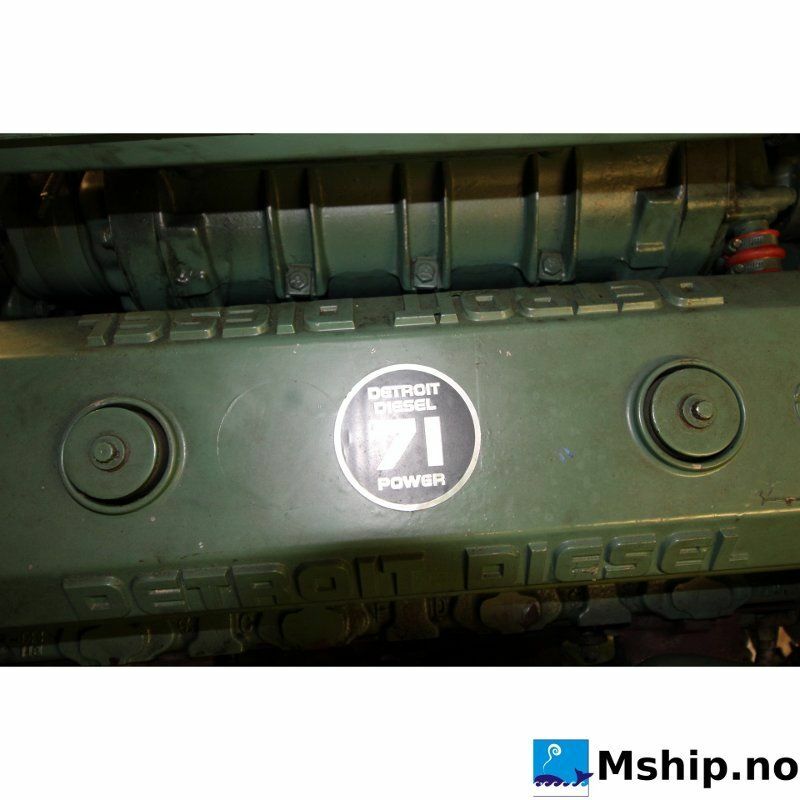 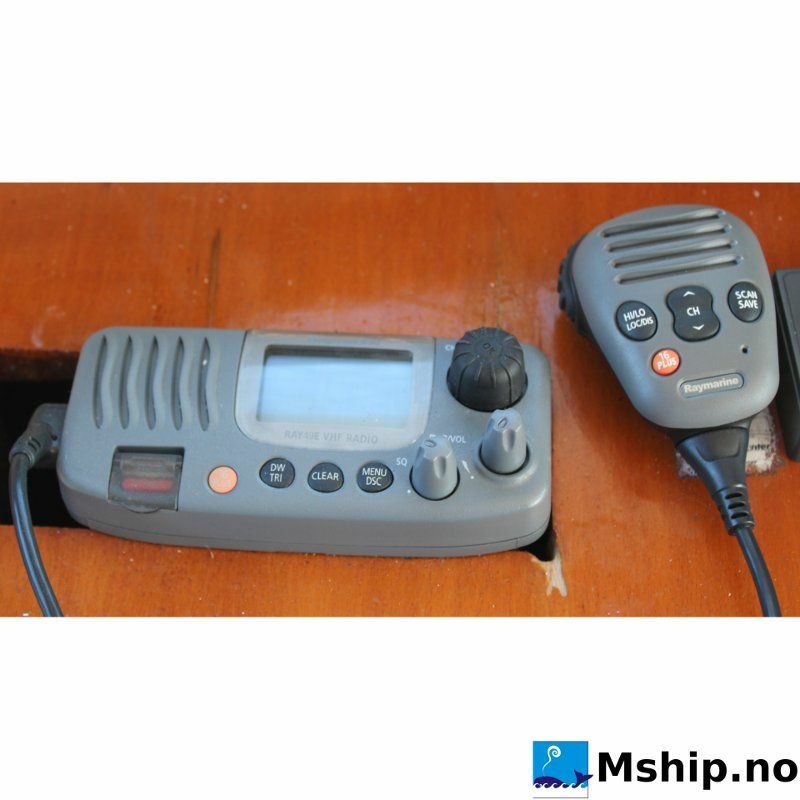 Very attractive crewing requirements with 1 man operation up to 17 passengers and 2 men up to 48 passengers.